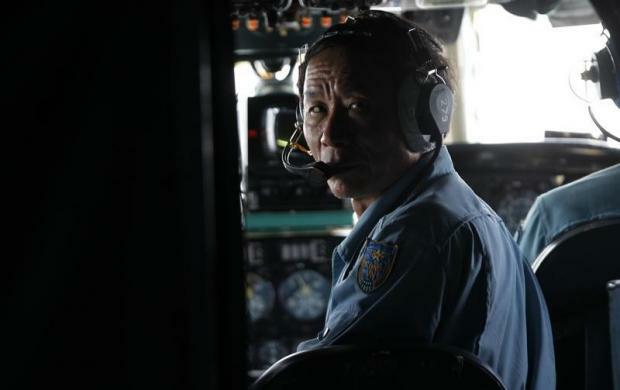 He stood ramrod straight and spoke with little emotion. 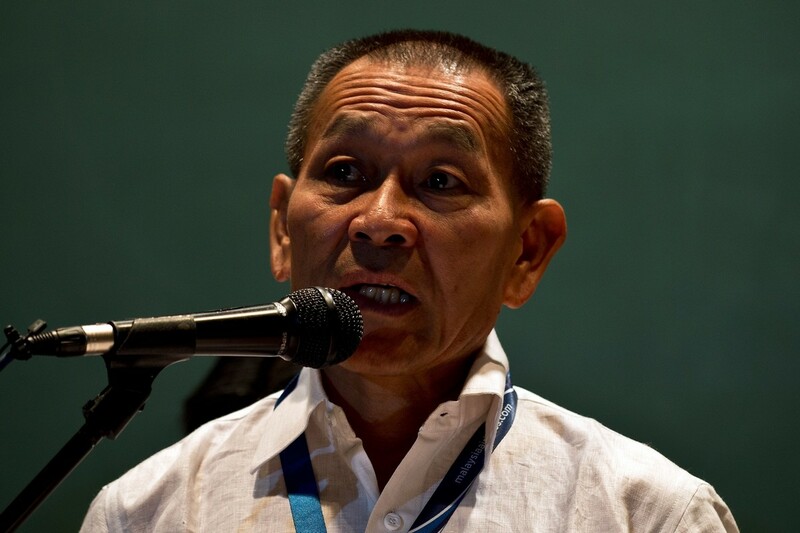 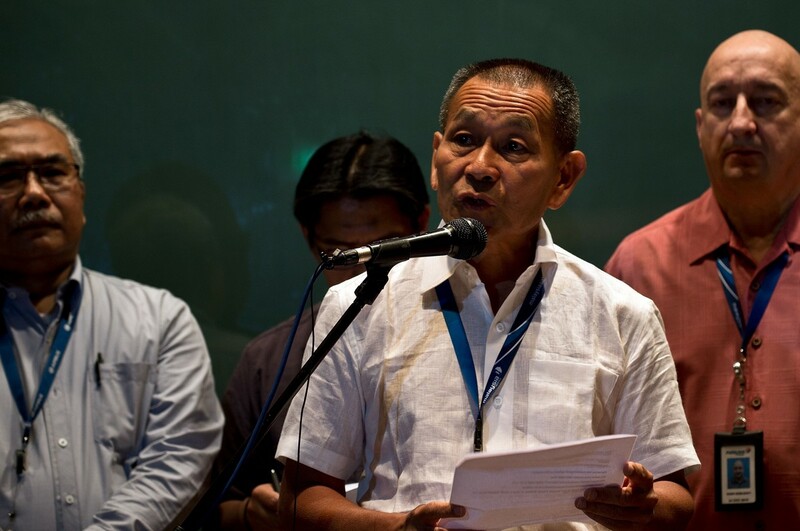 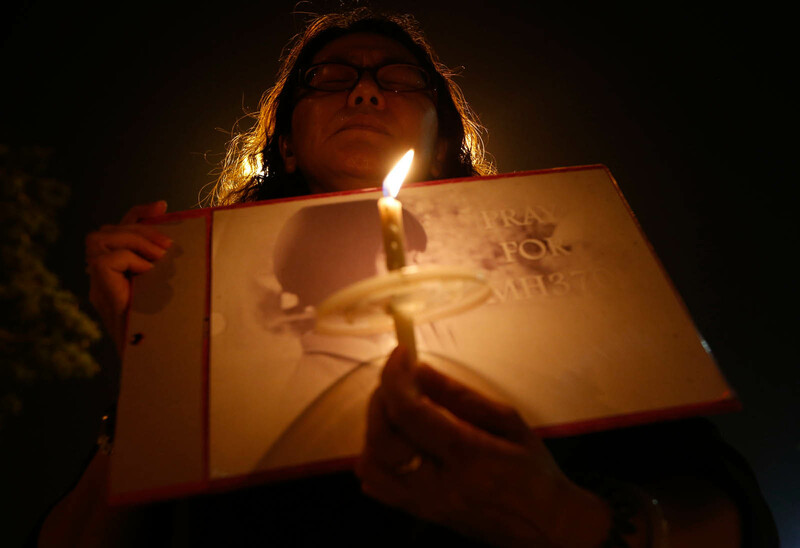 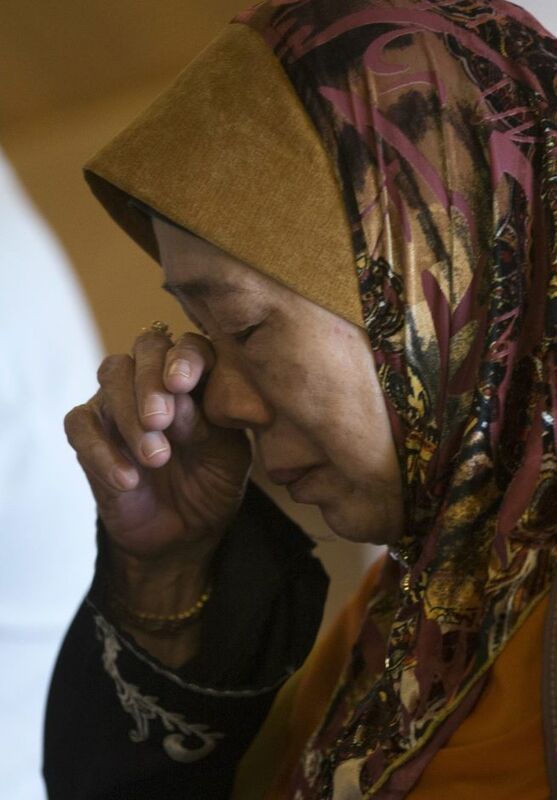 But the words of the elderly man sent a shiver down the spines of the relatives of Chinese passengers on board Malaysia Airlines Flight MH370. 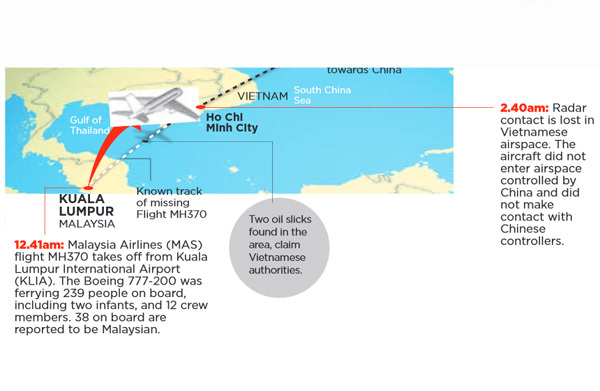 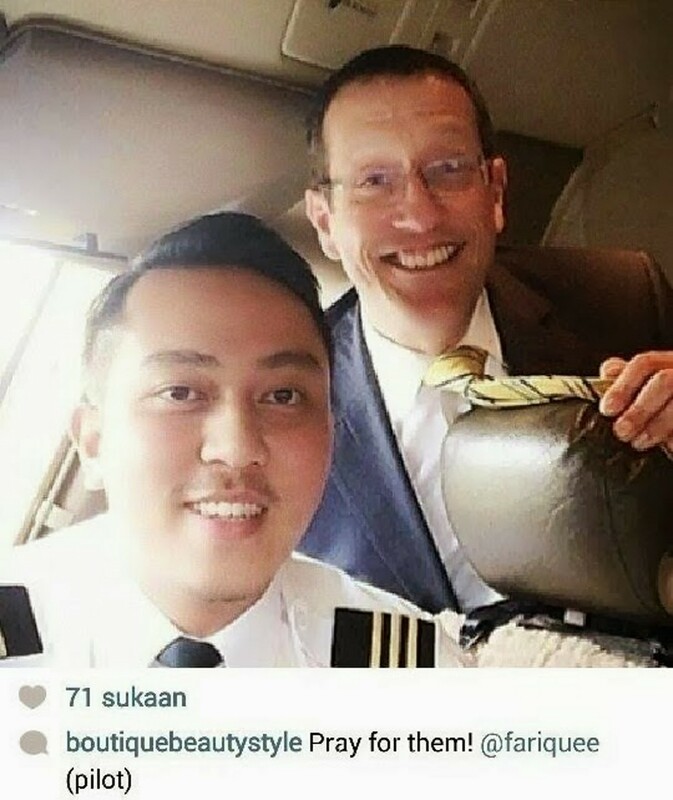 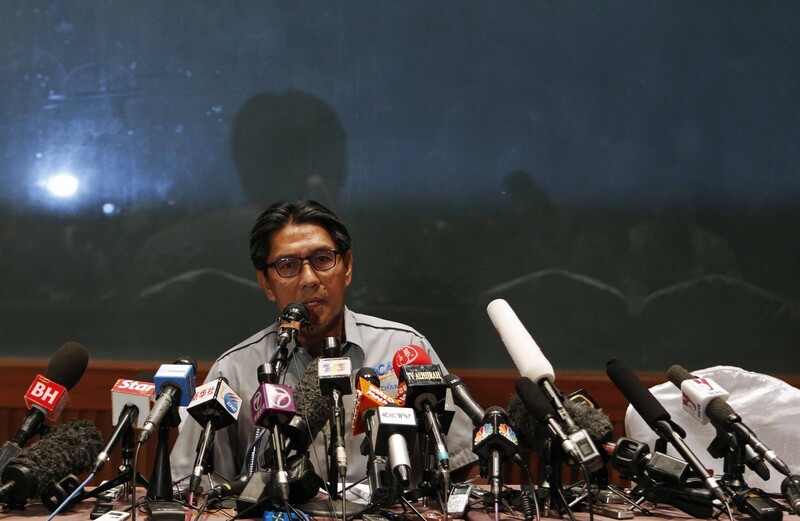 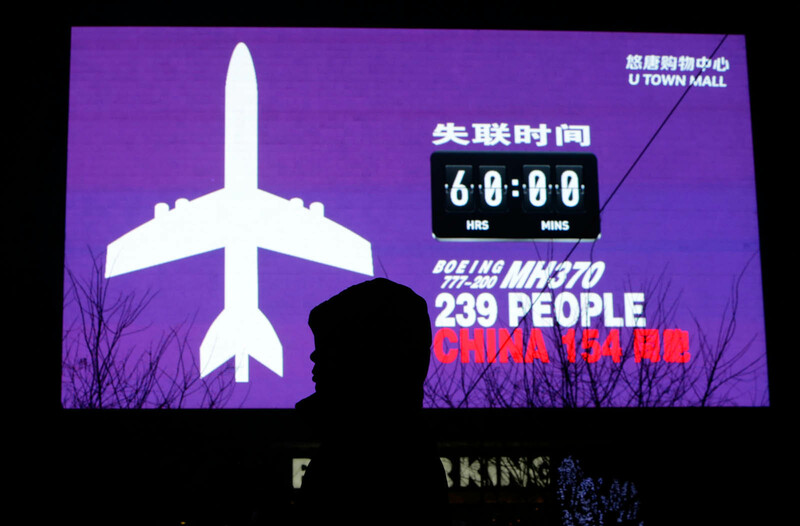 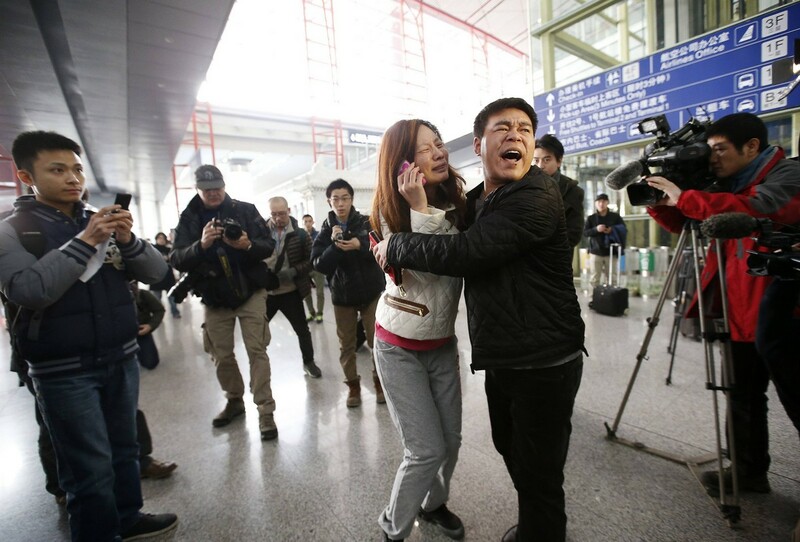 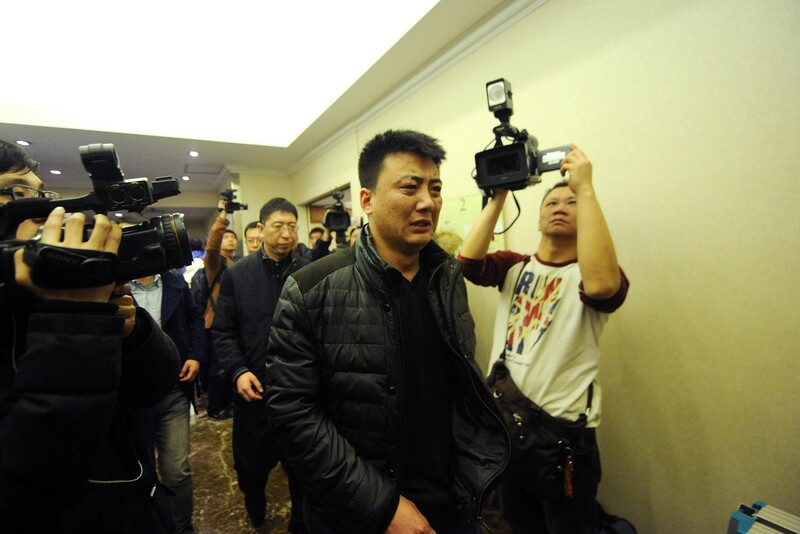 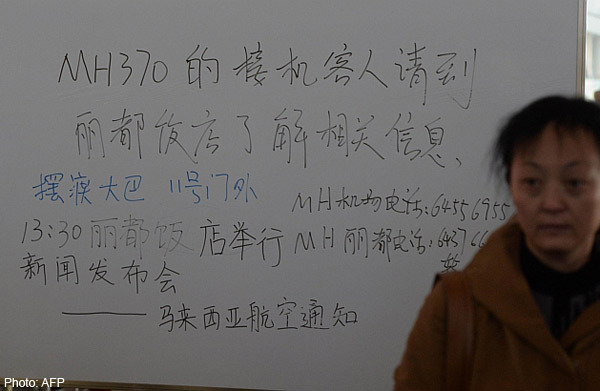 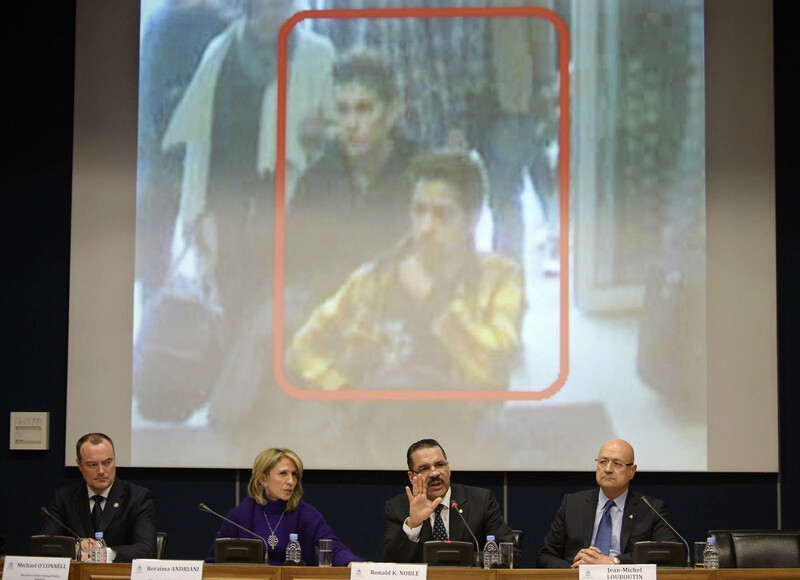 Plaintively detailing how his son's social media account remained active after the plane disappeared last Saturday, the man said he believed the 239 people on board - 153 of them Chinese nationals - were still alive. 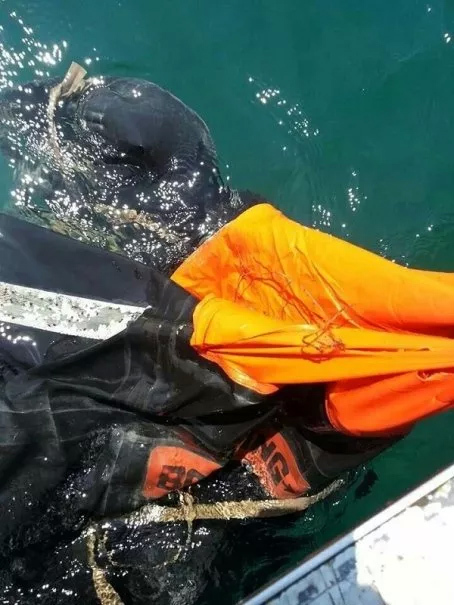 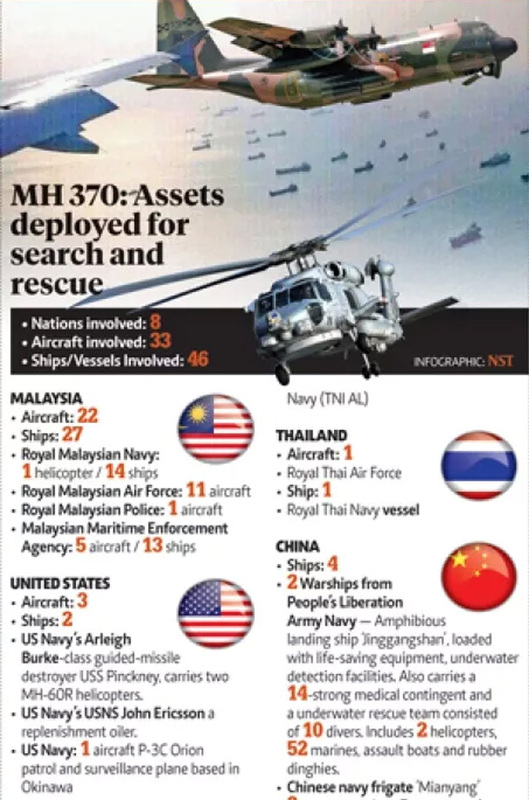 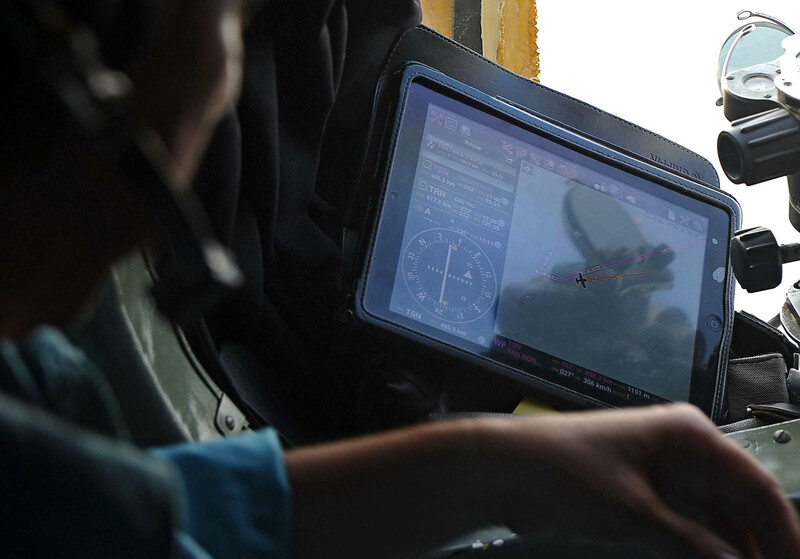 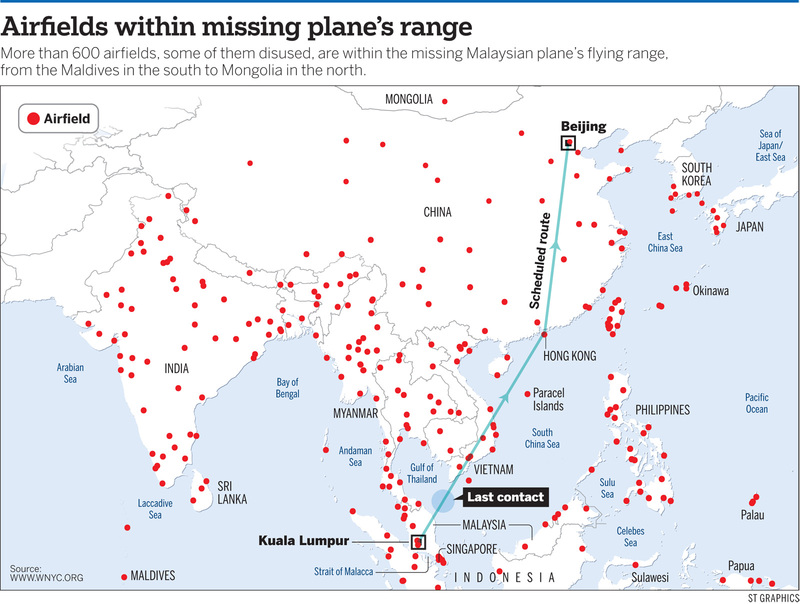 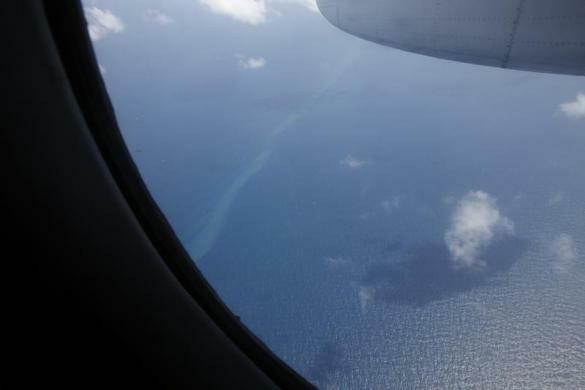 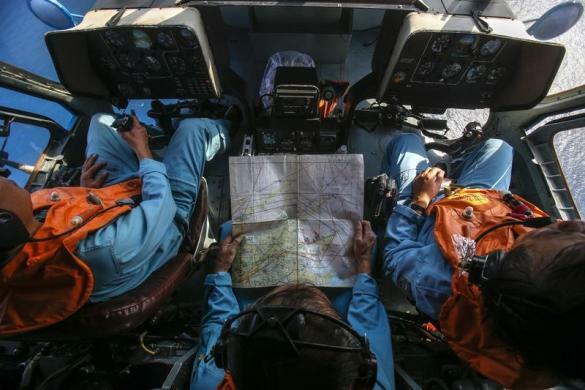 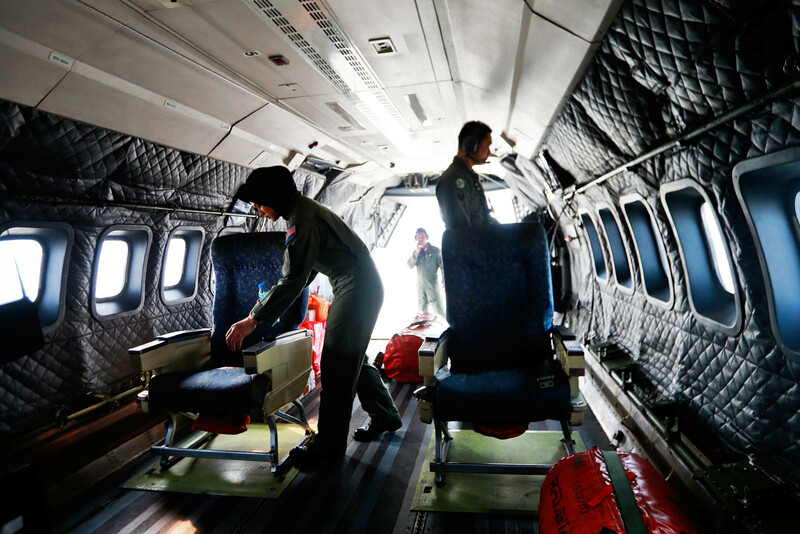 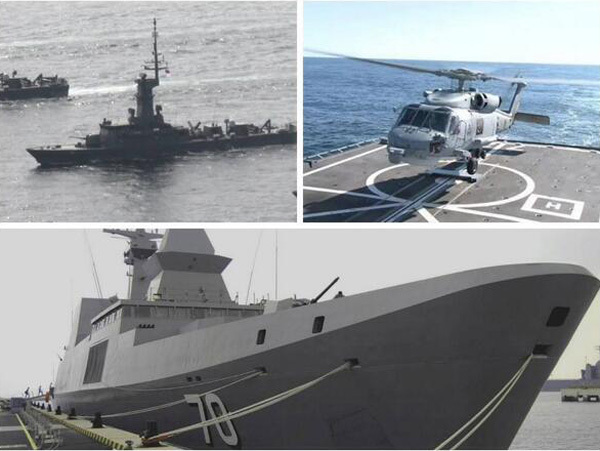 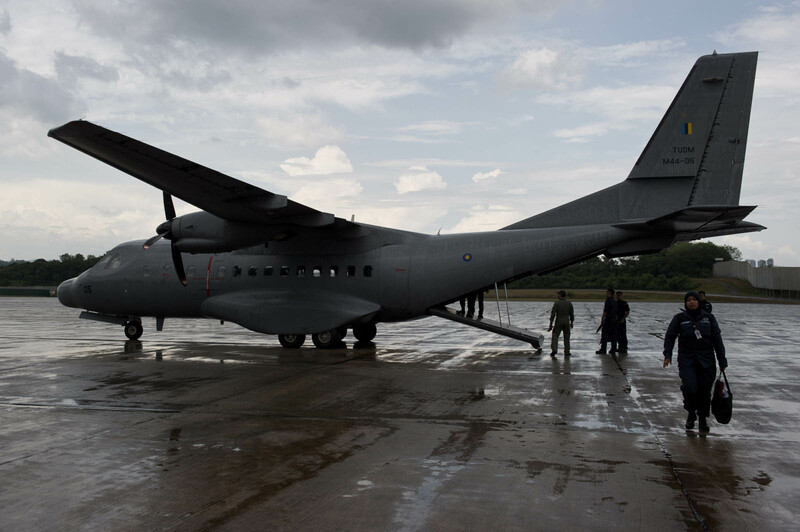 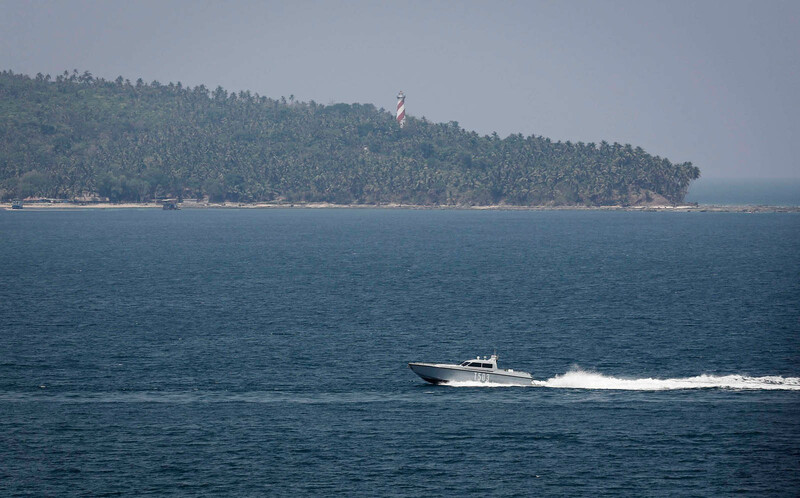 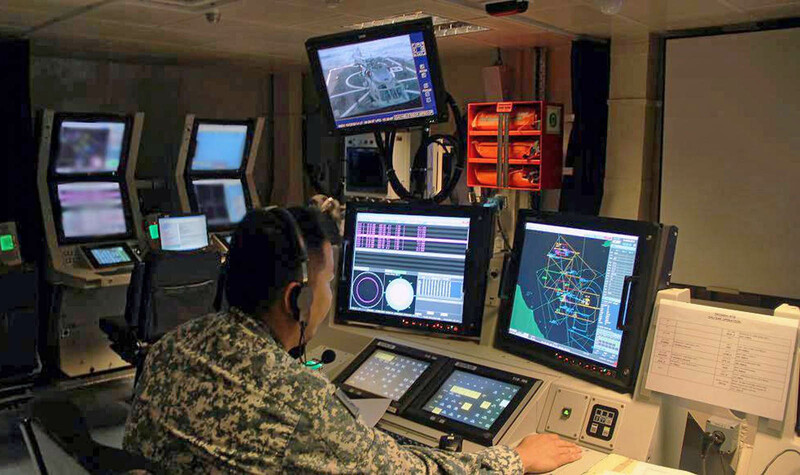 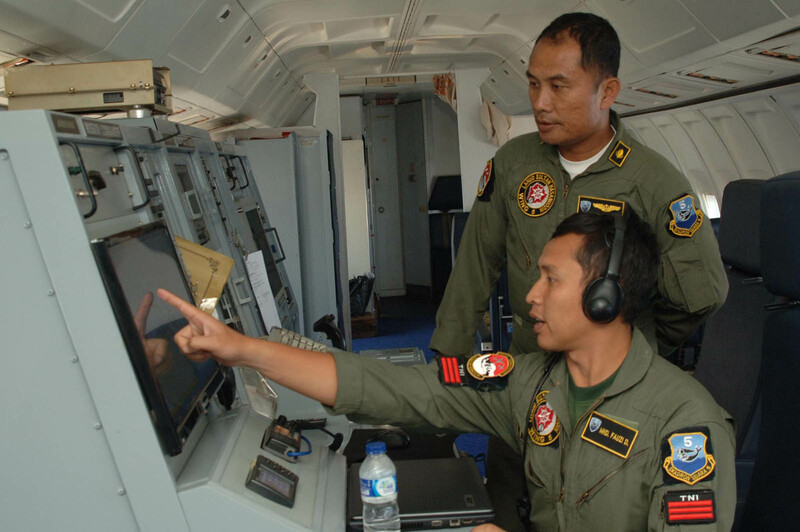 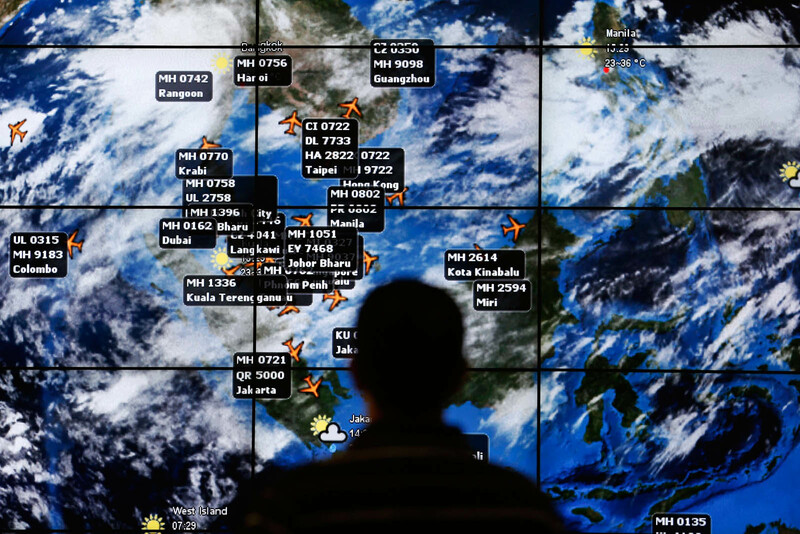 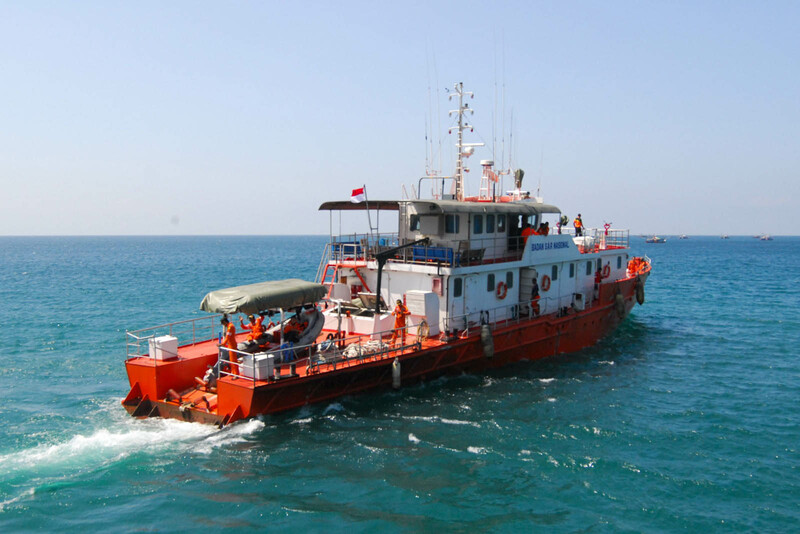 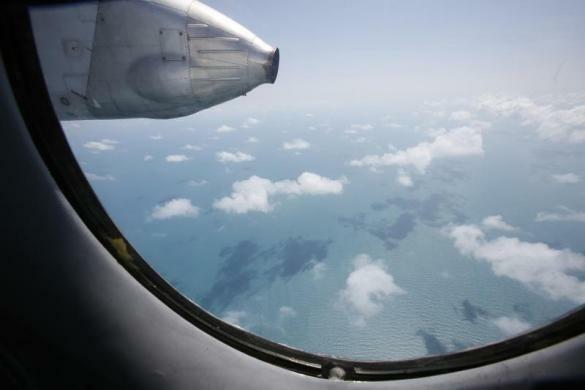 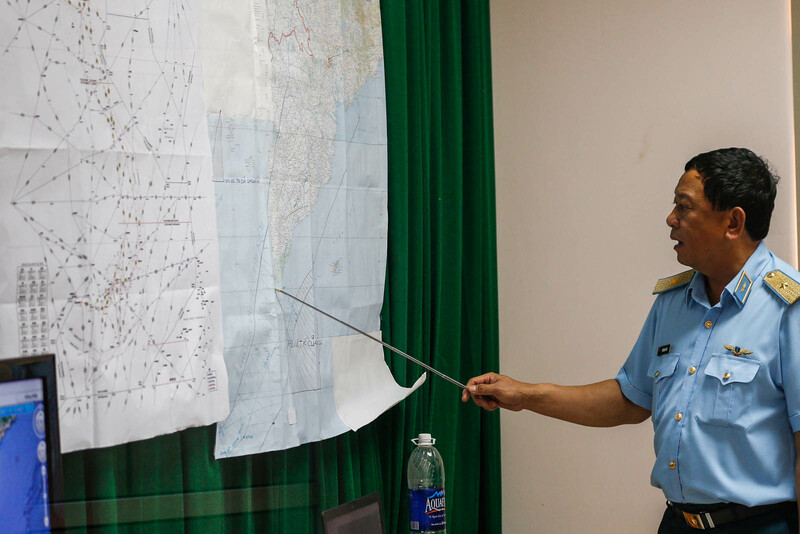 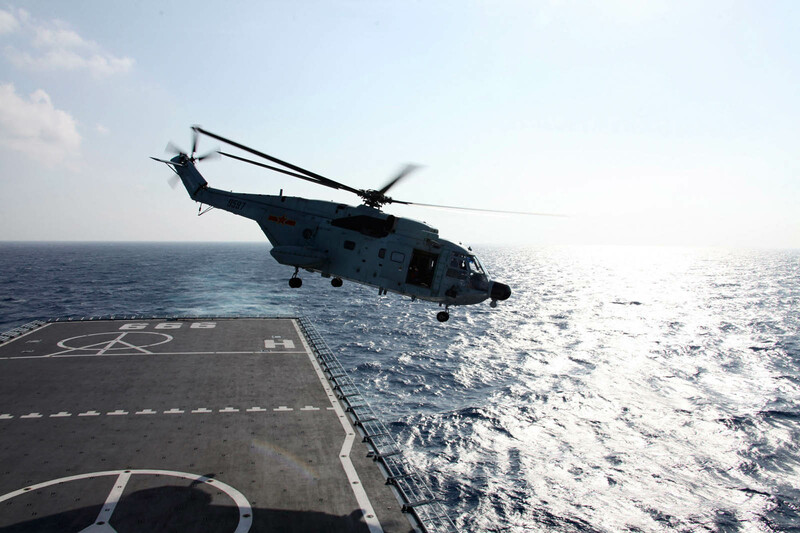 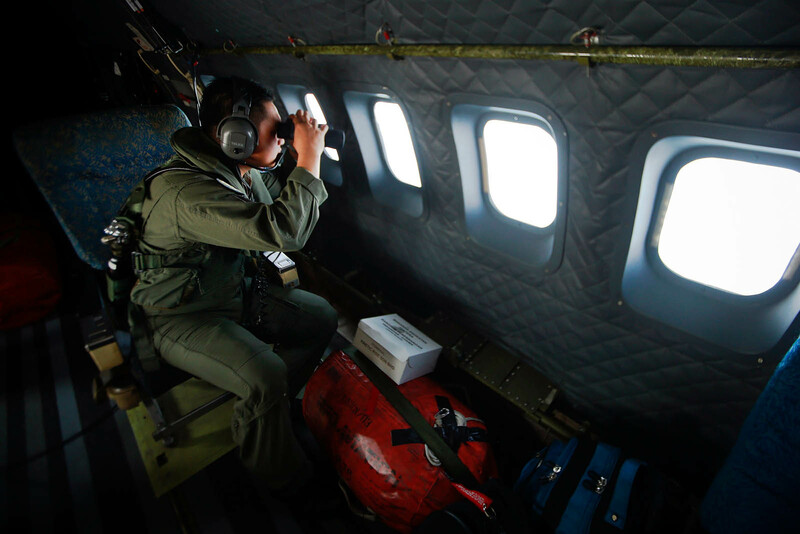 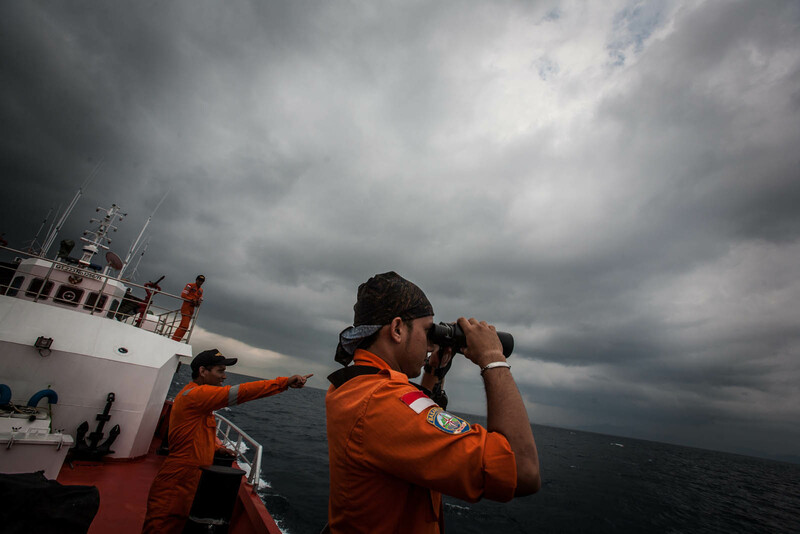 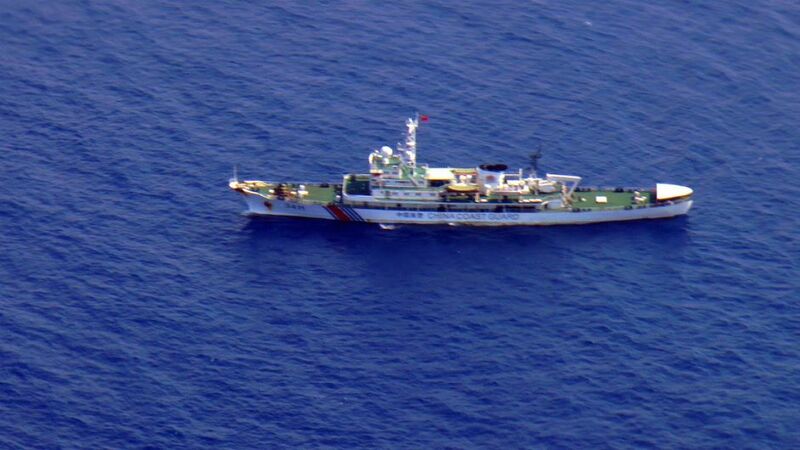 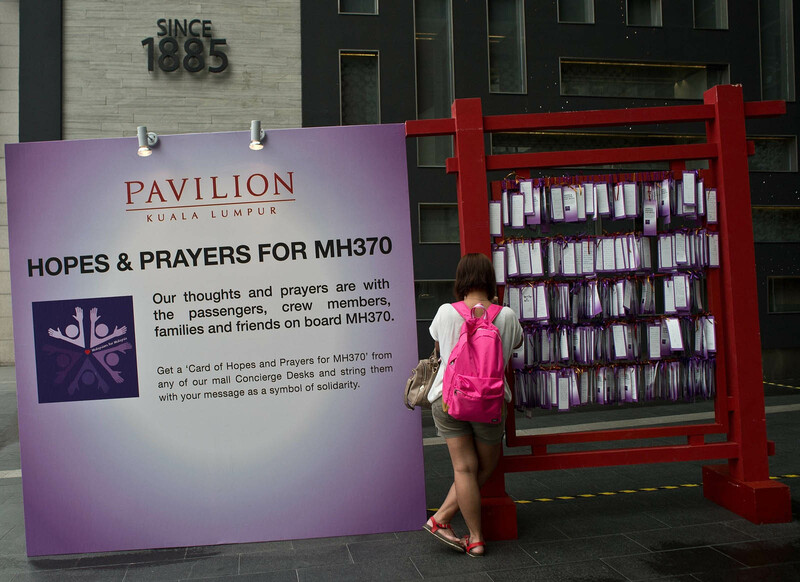 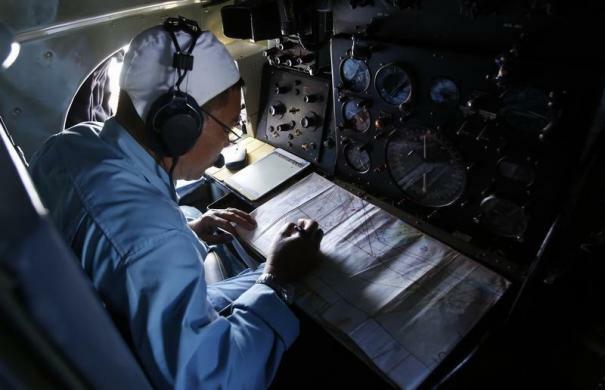 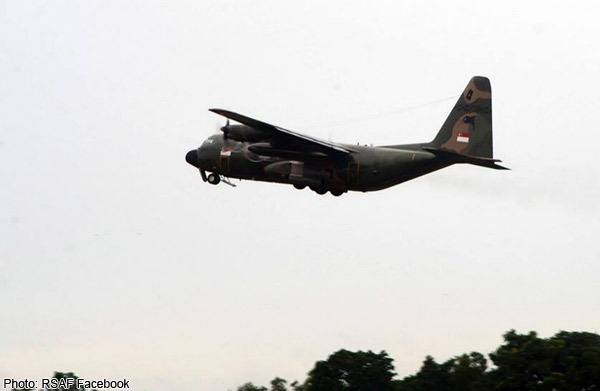 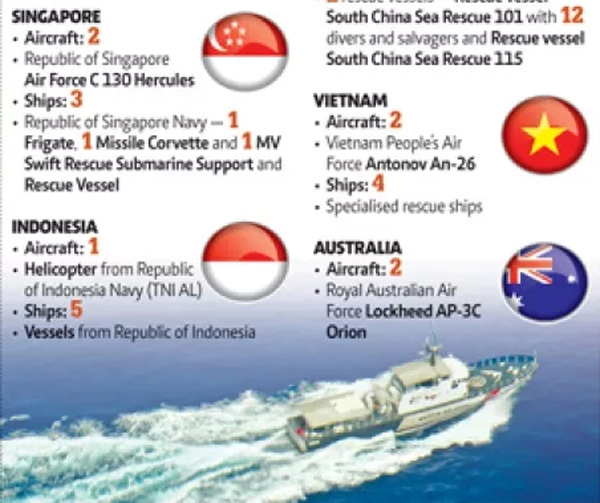 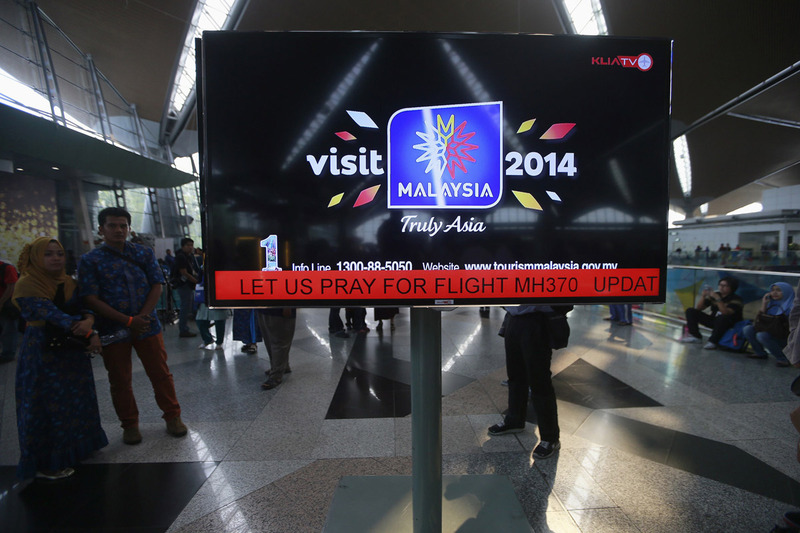 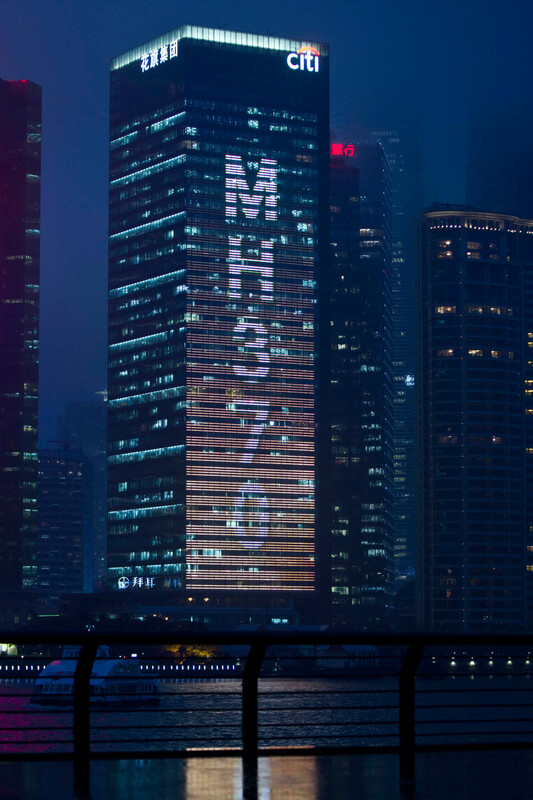 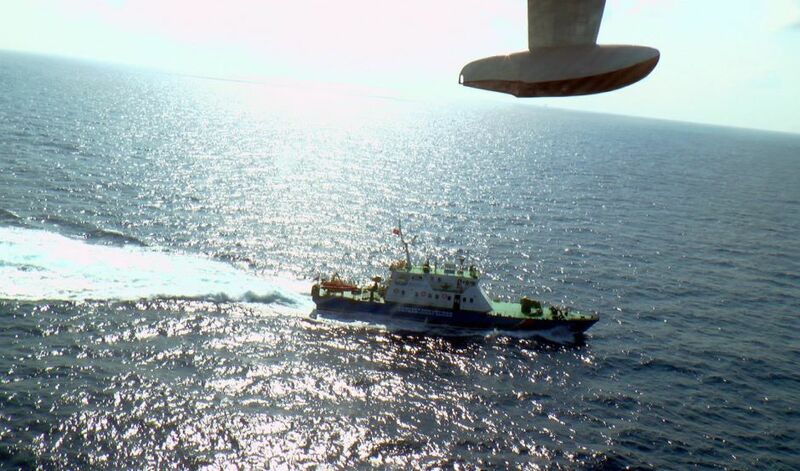 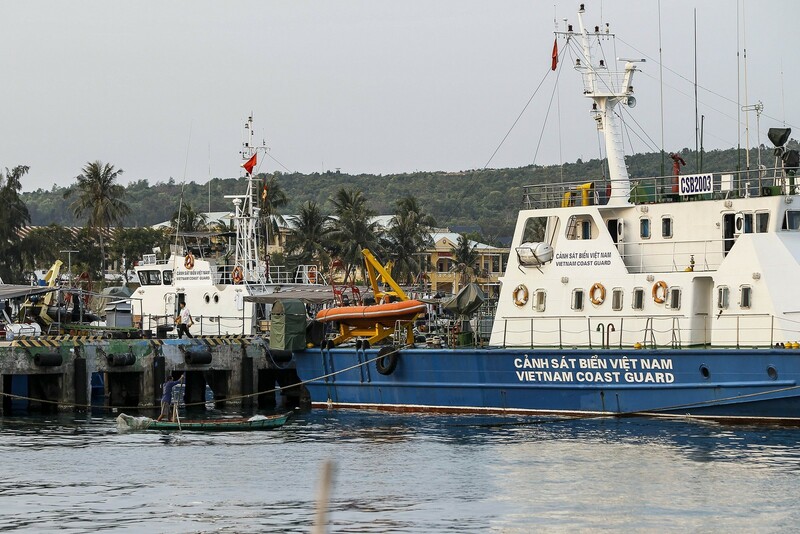 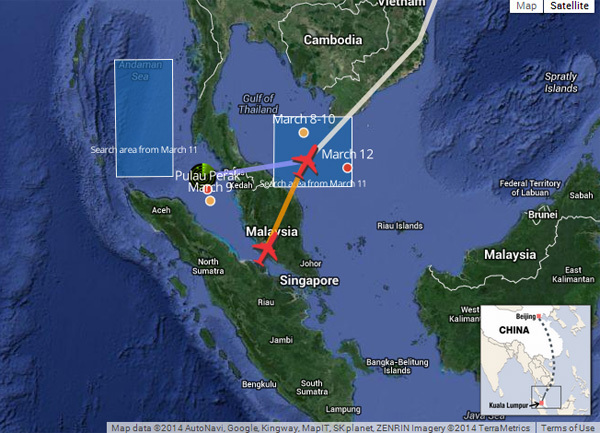 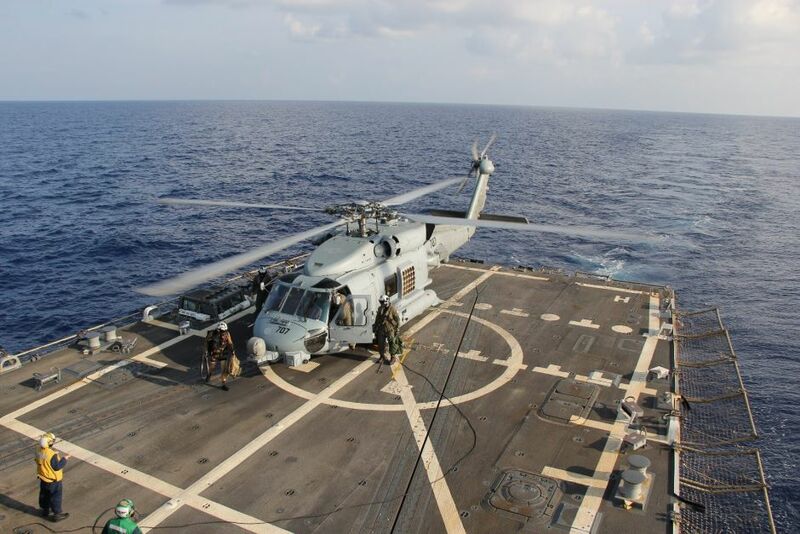 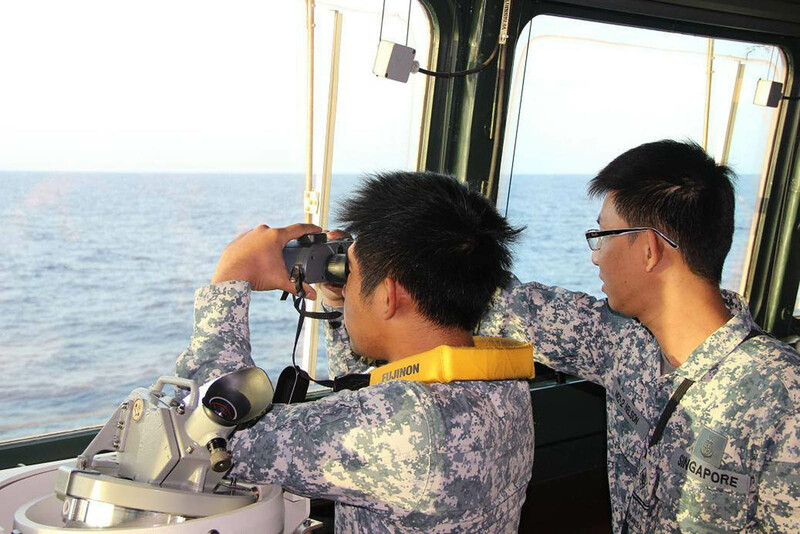 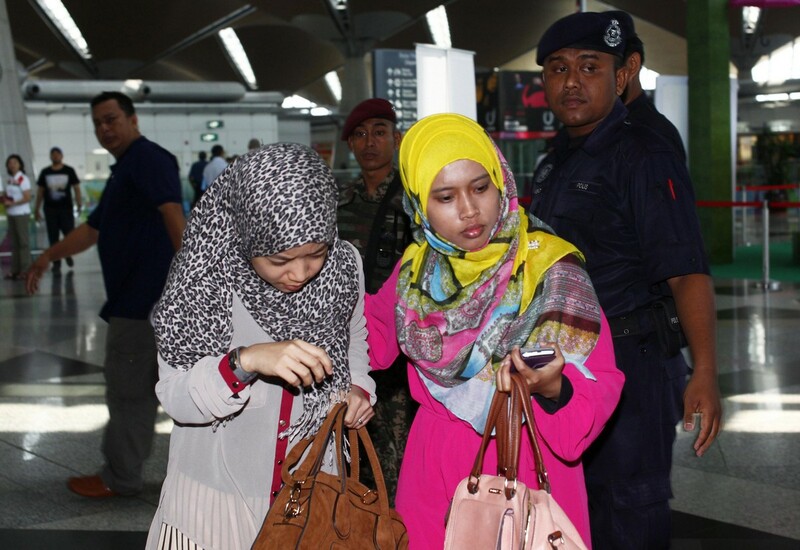 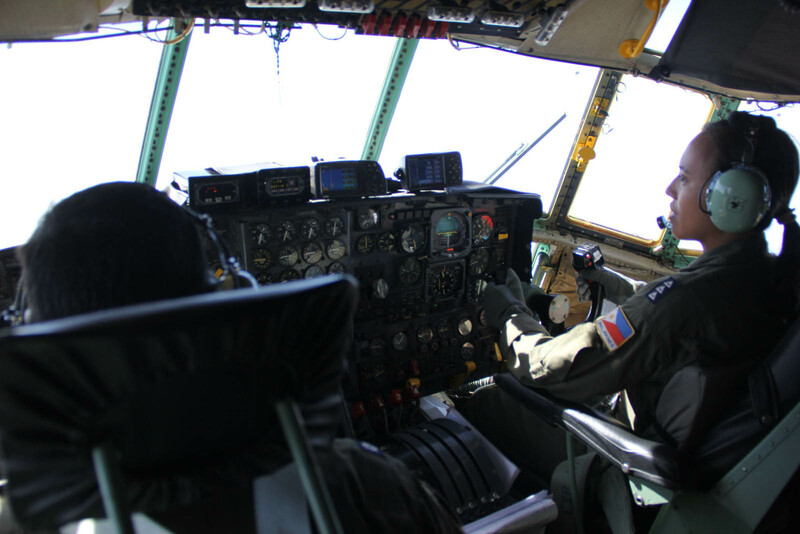 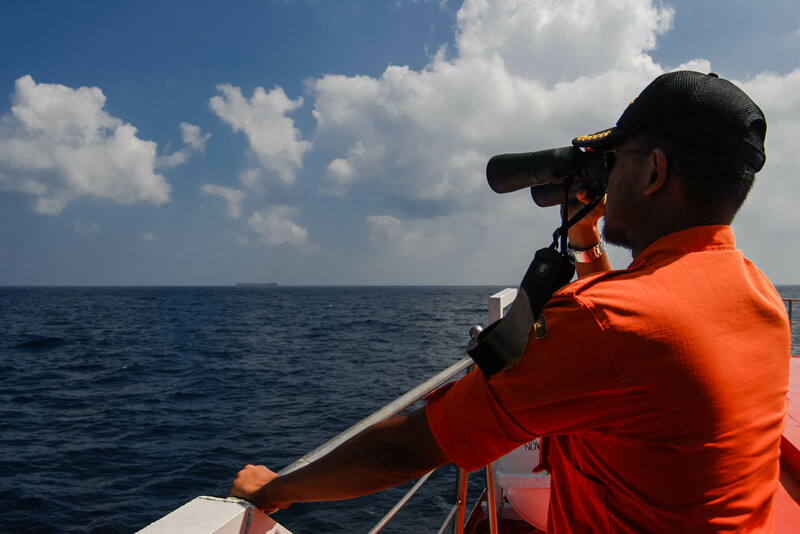 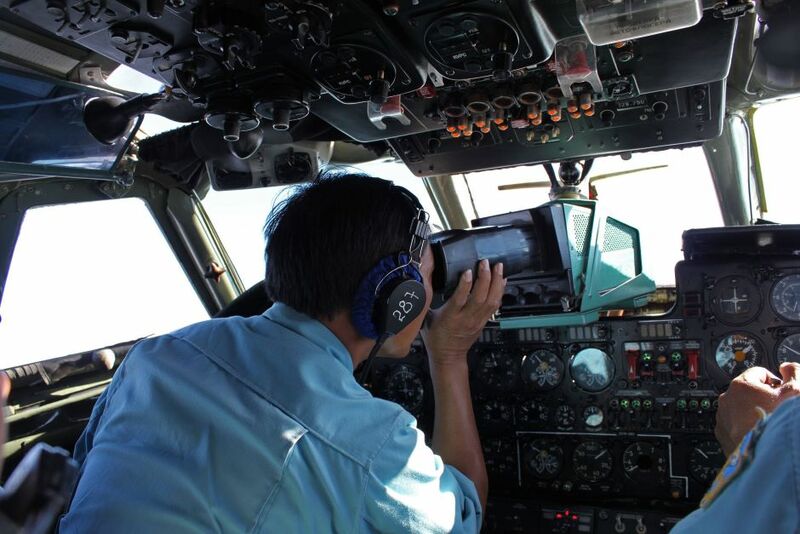 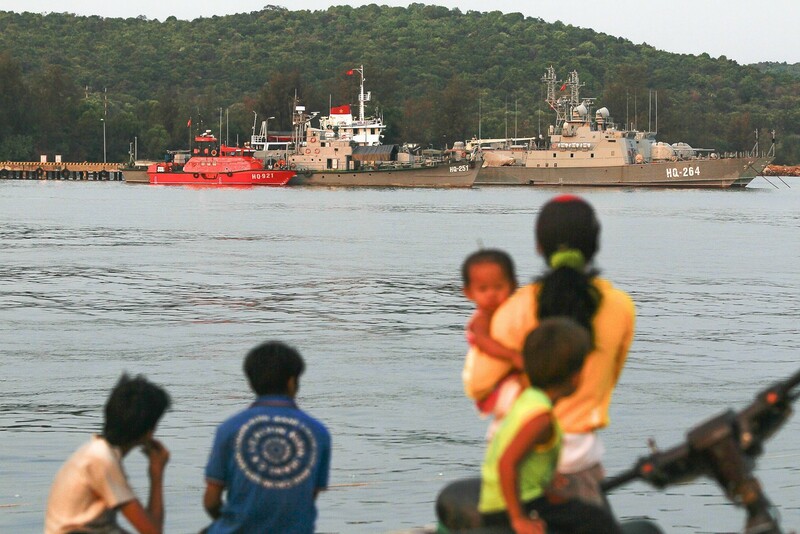 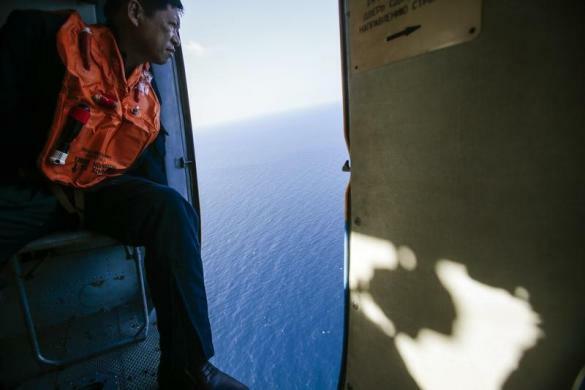 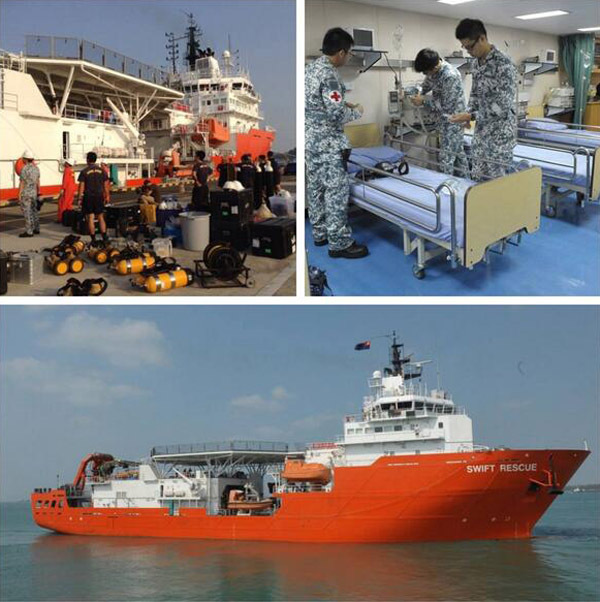 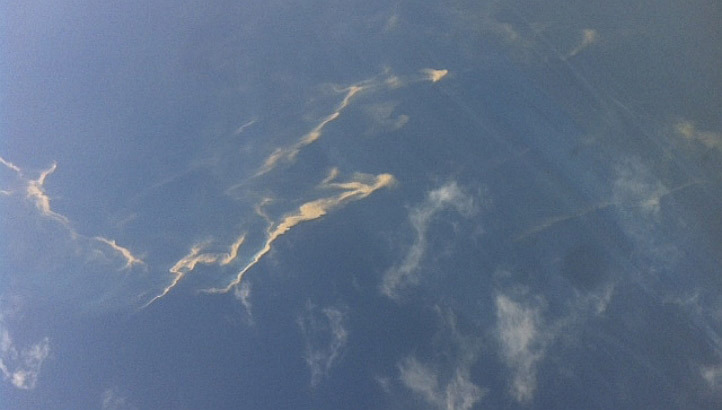 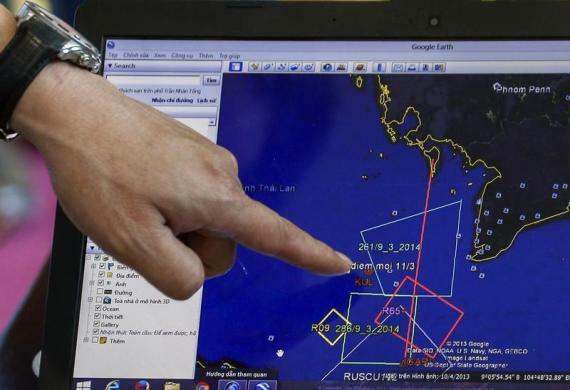 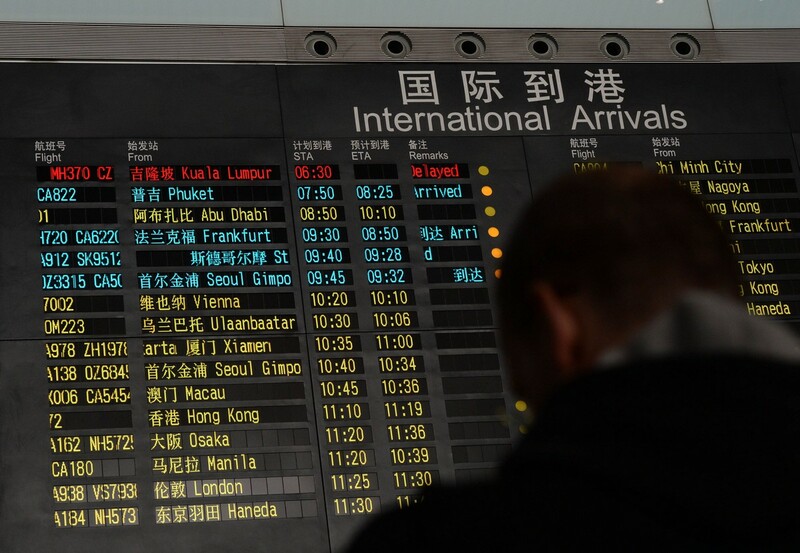 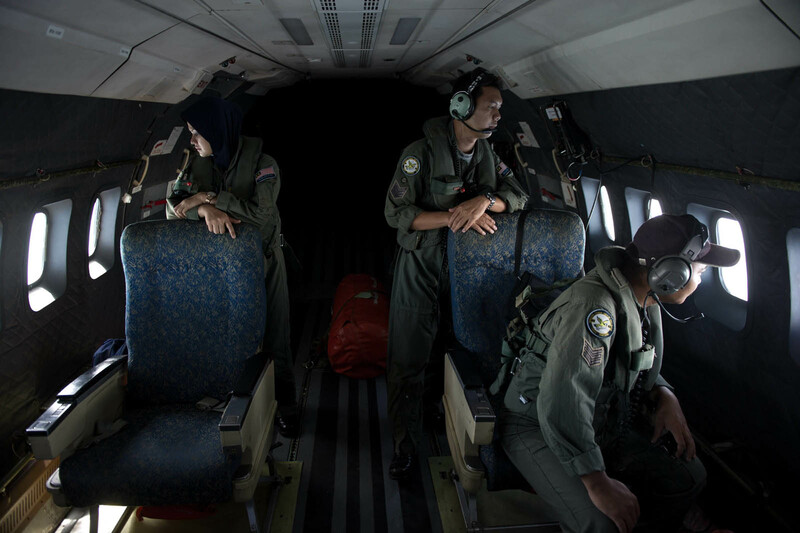 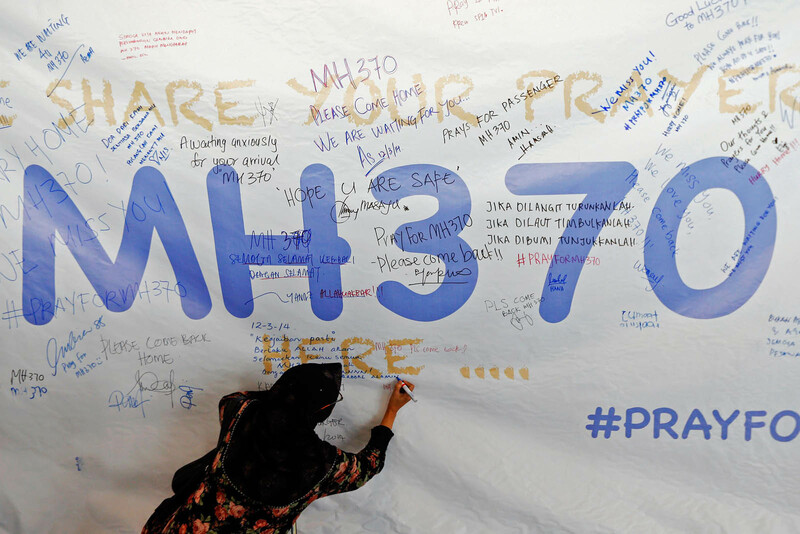 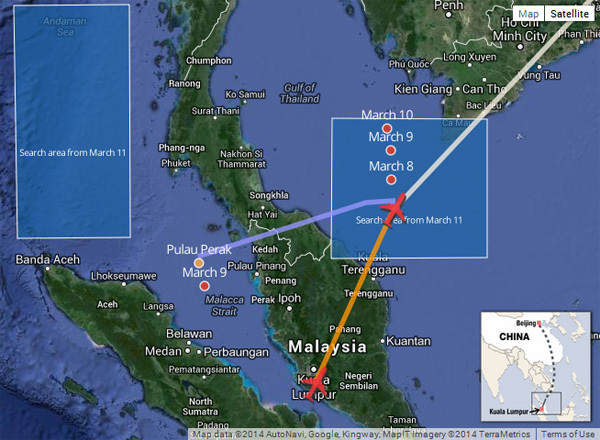 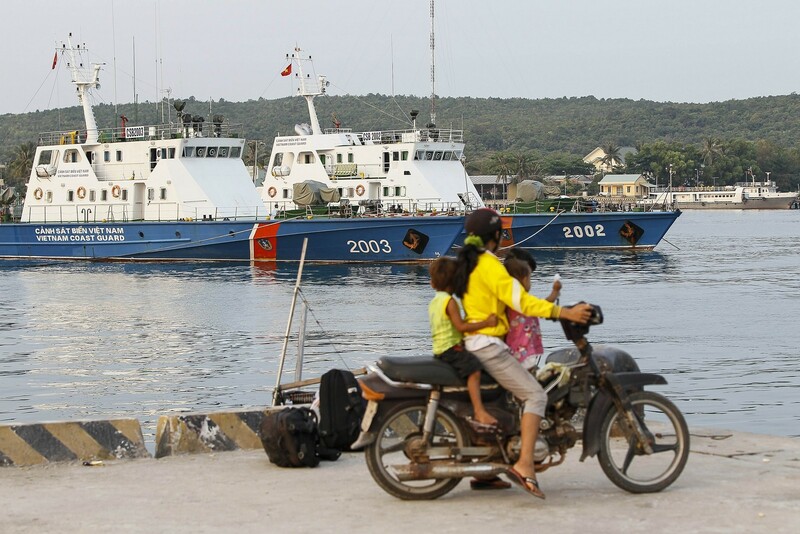 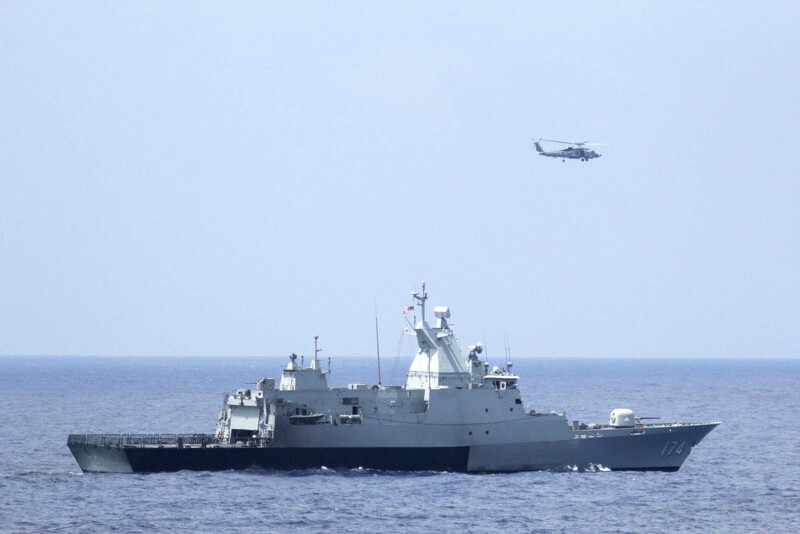 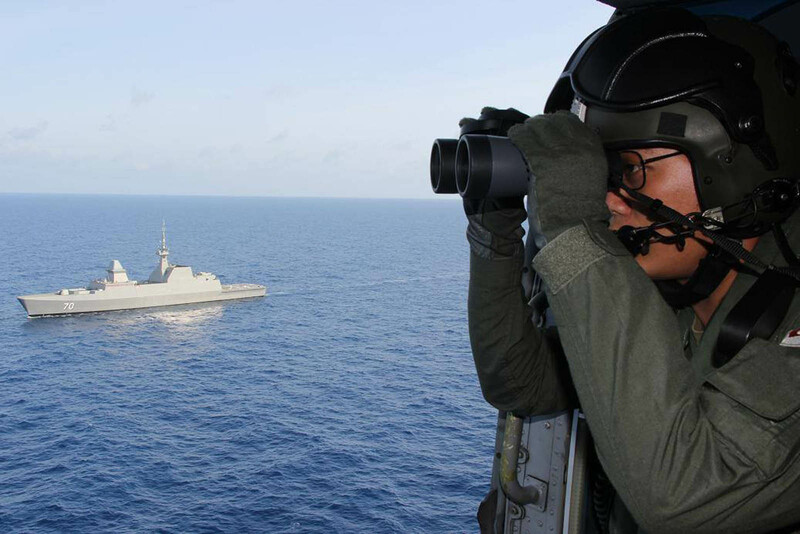 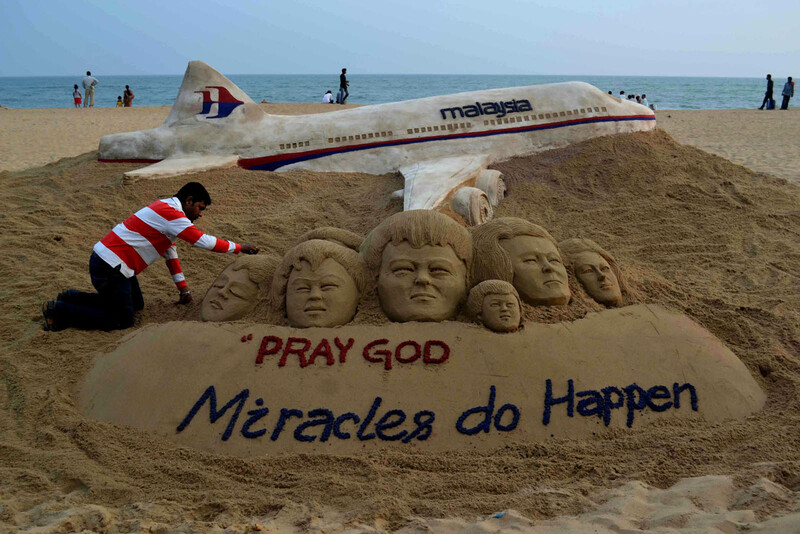 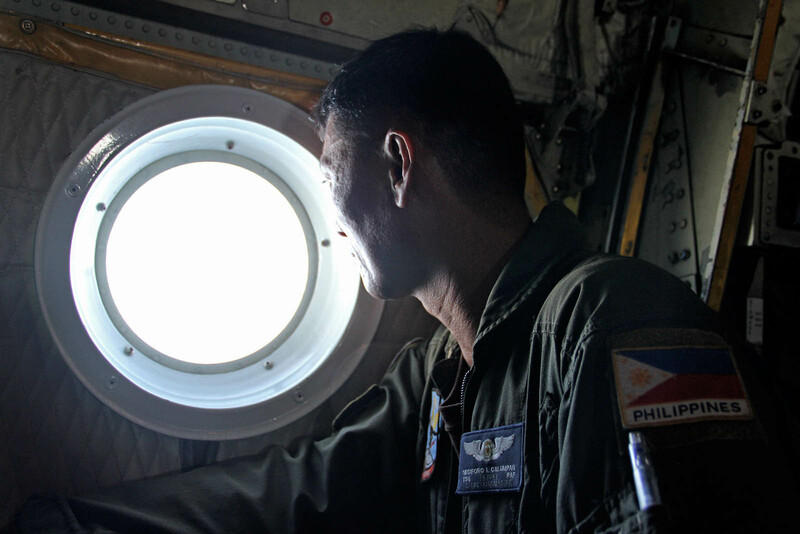 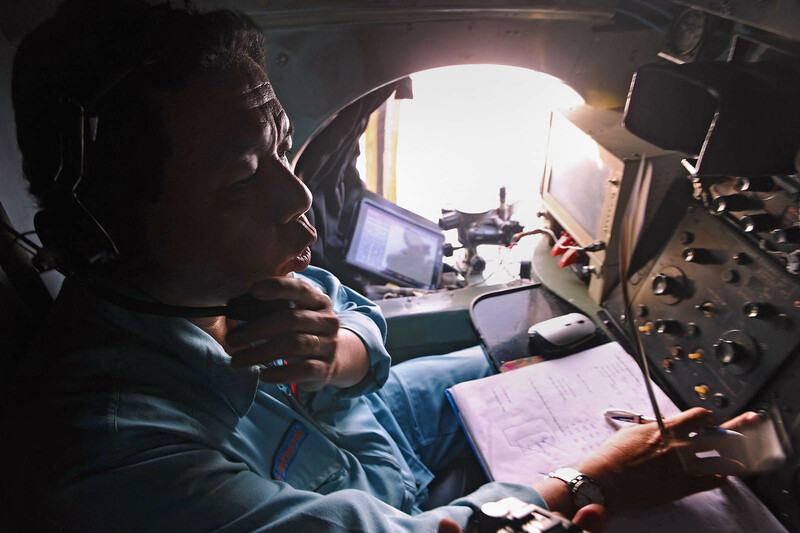 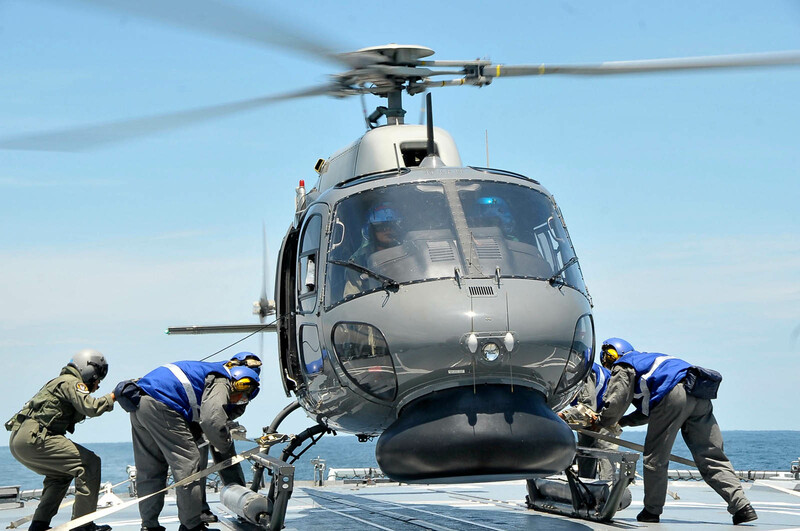 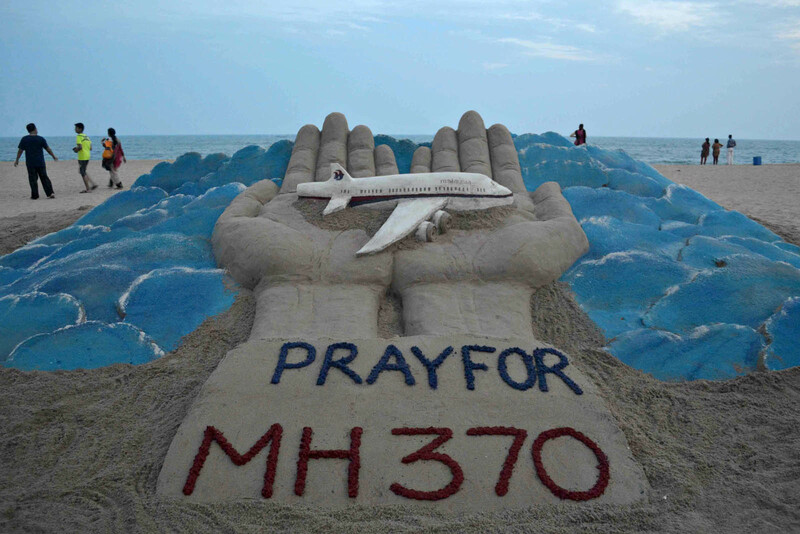 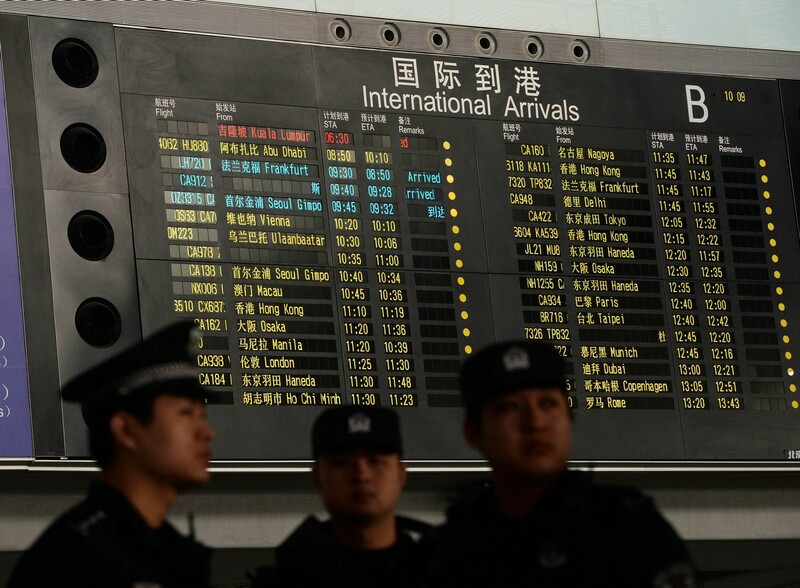 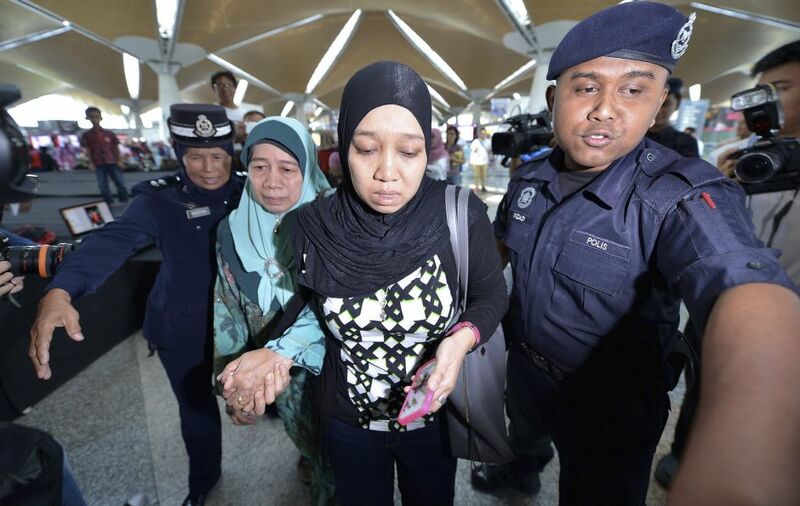 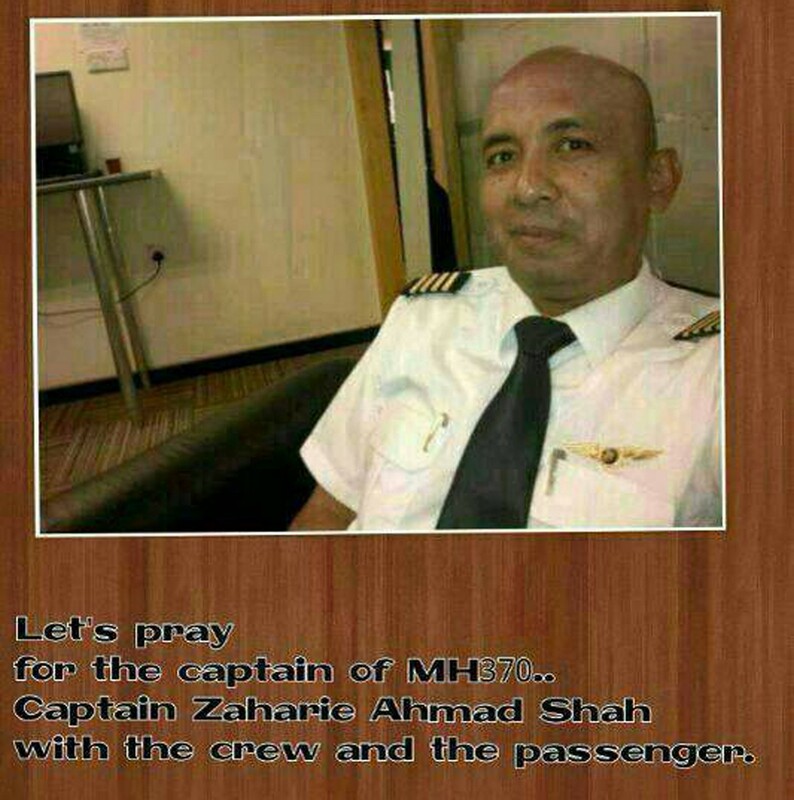 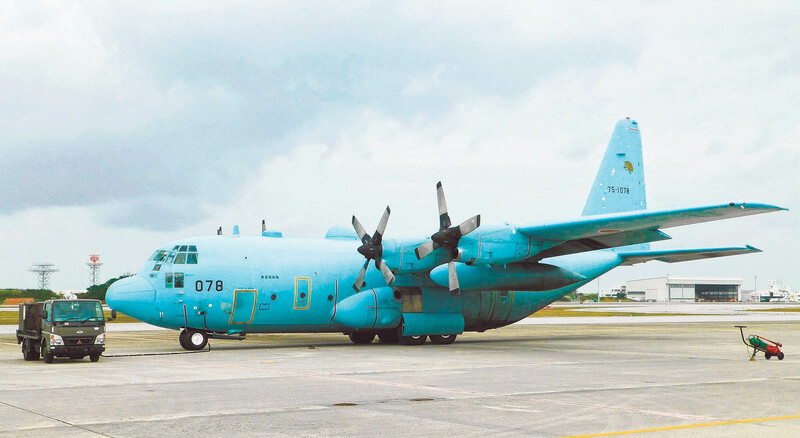 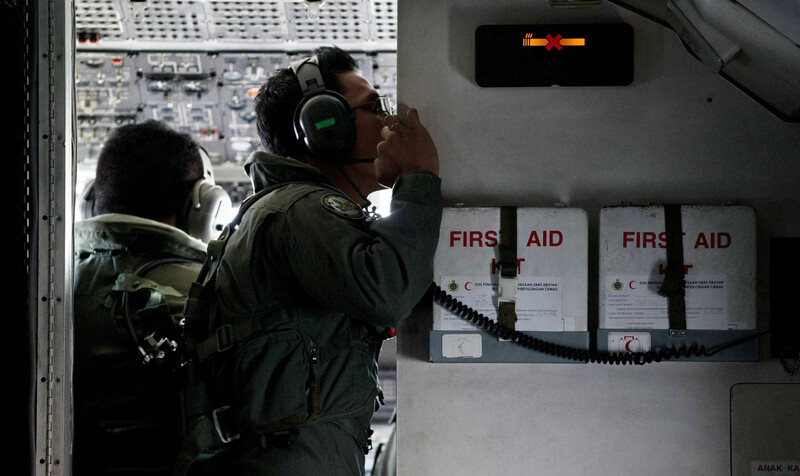 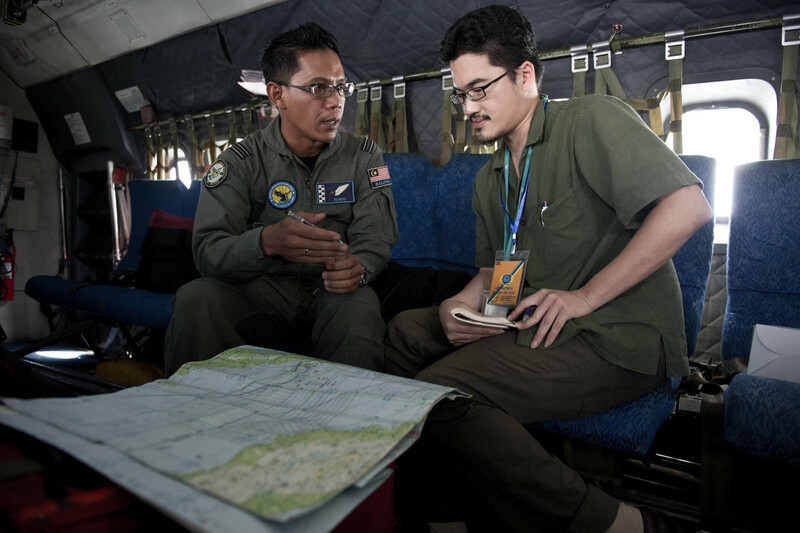 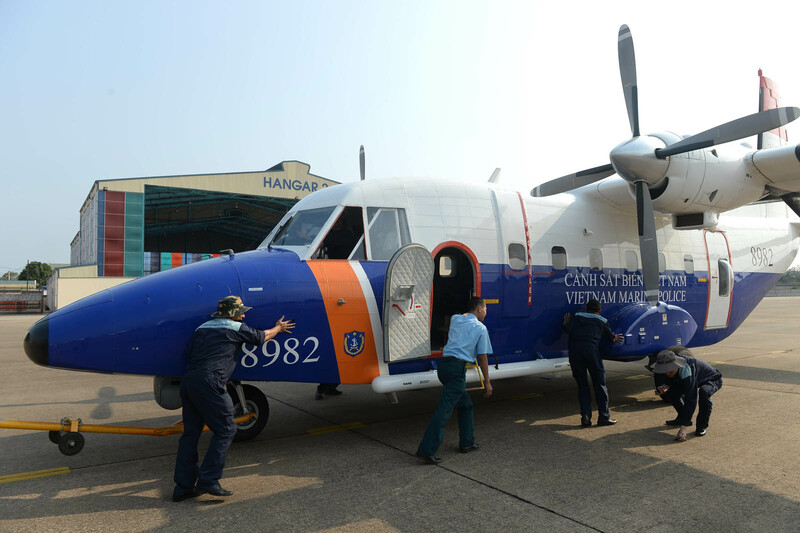 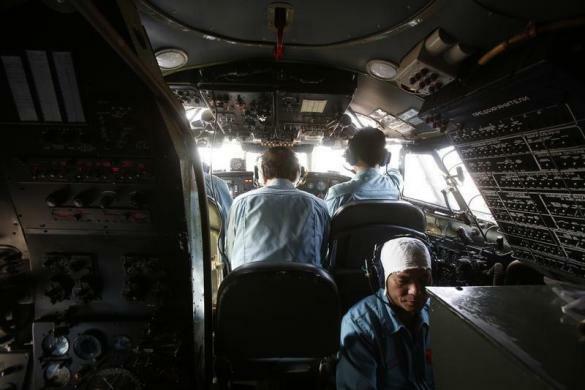 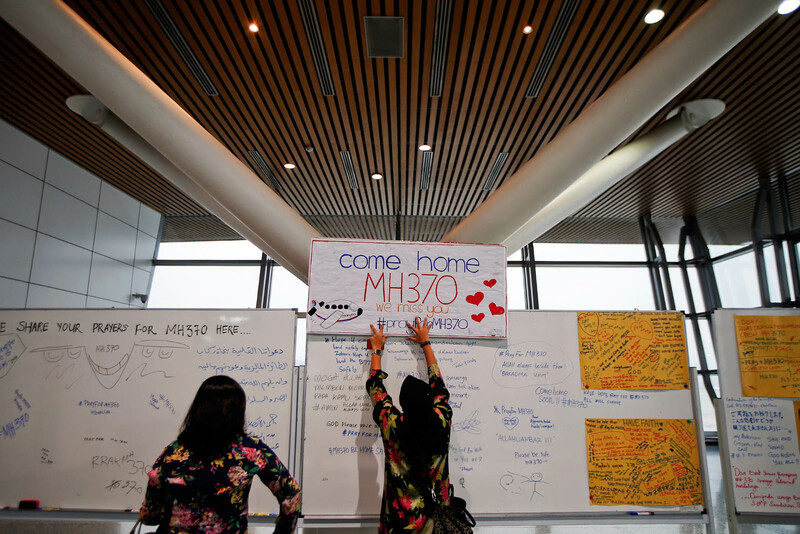 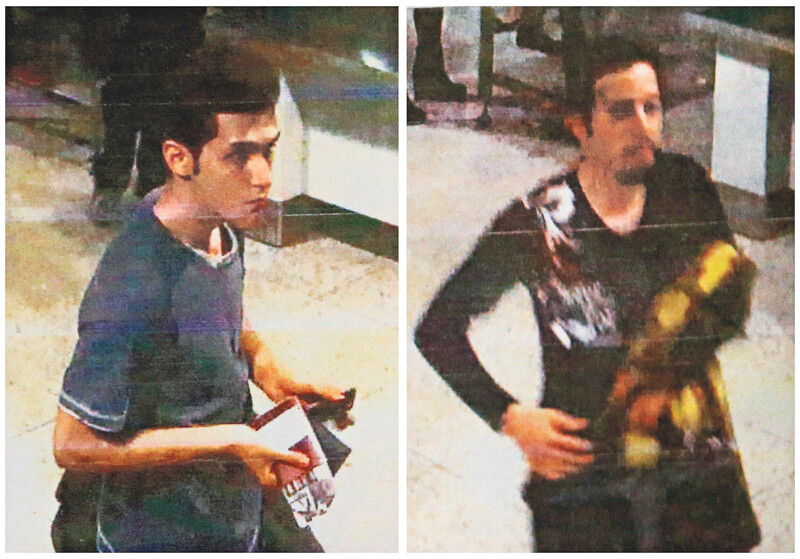 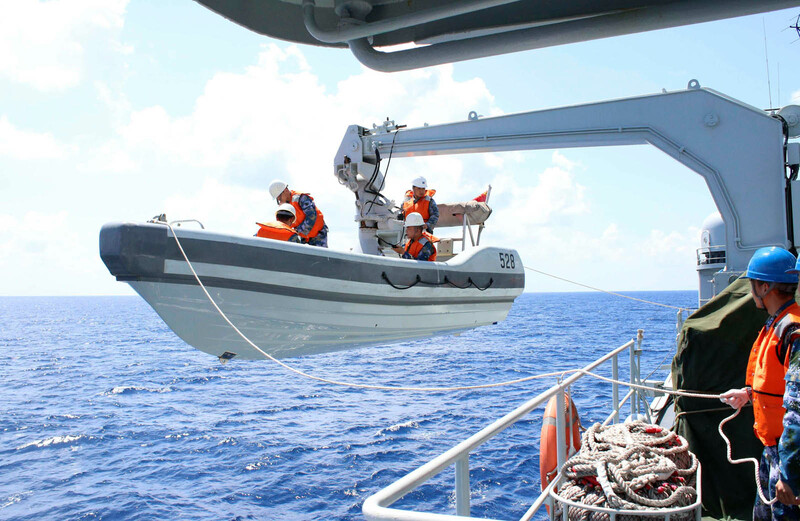 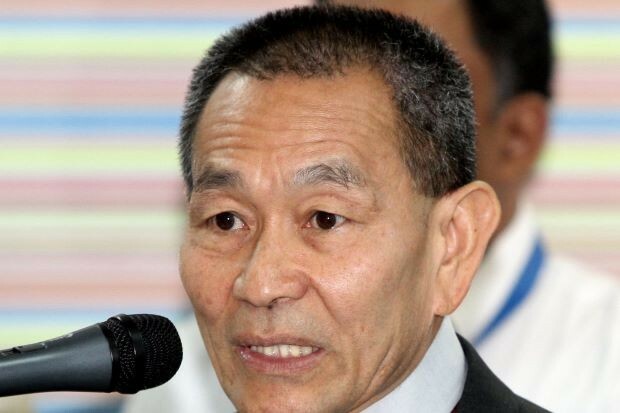 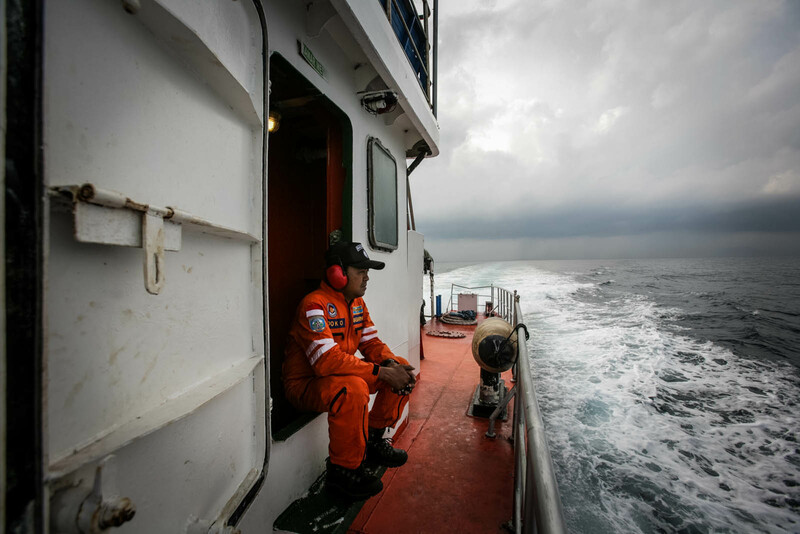 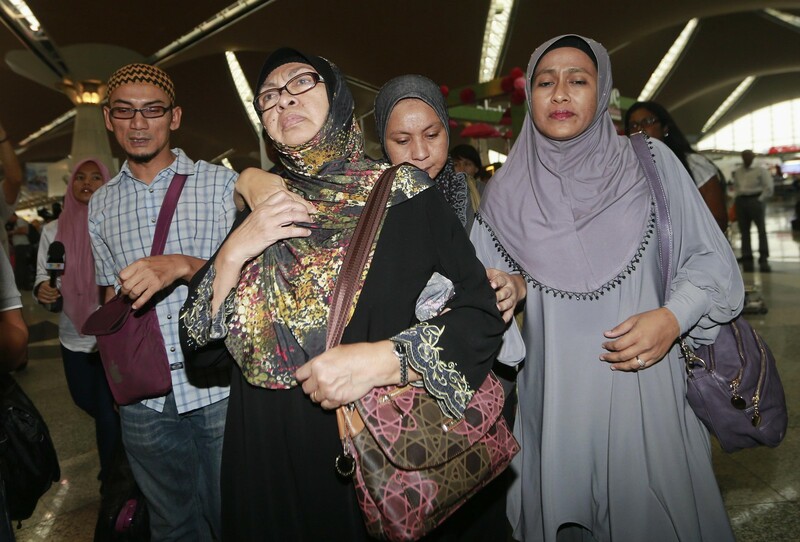 "Please, find them," he said calmly on Wednesday to the Malaysian ambassador to China, Datuk Iskandar Sarudin, and officials from Malaysia's civil aviation authority. 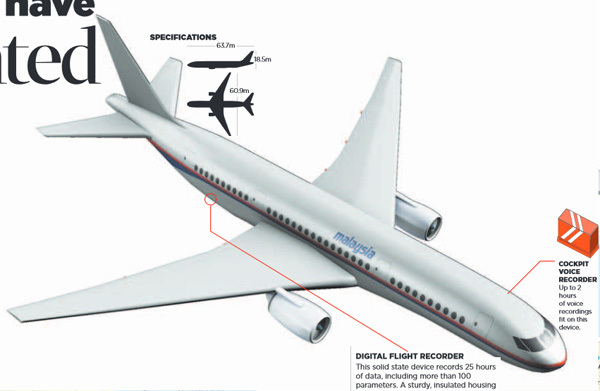 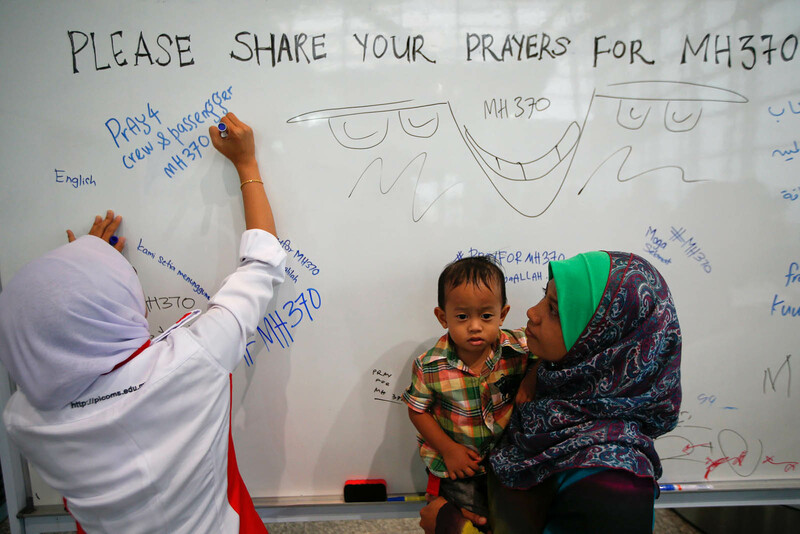 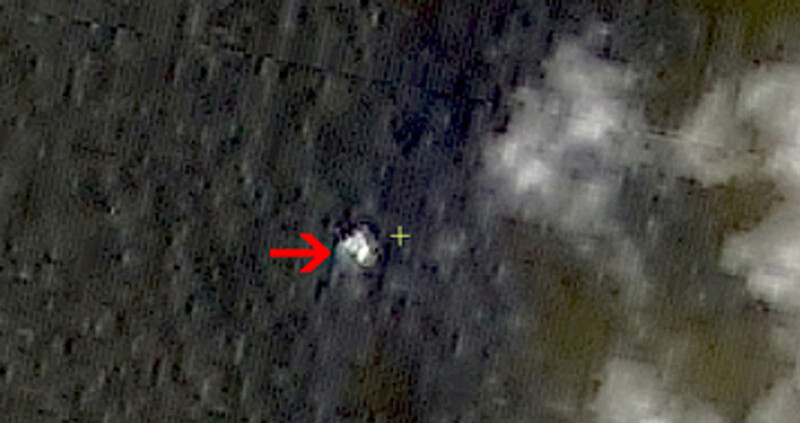 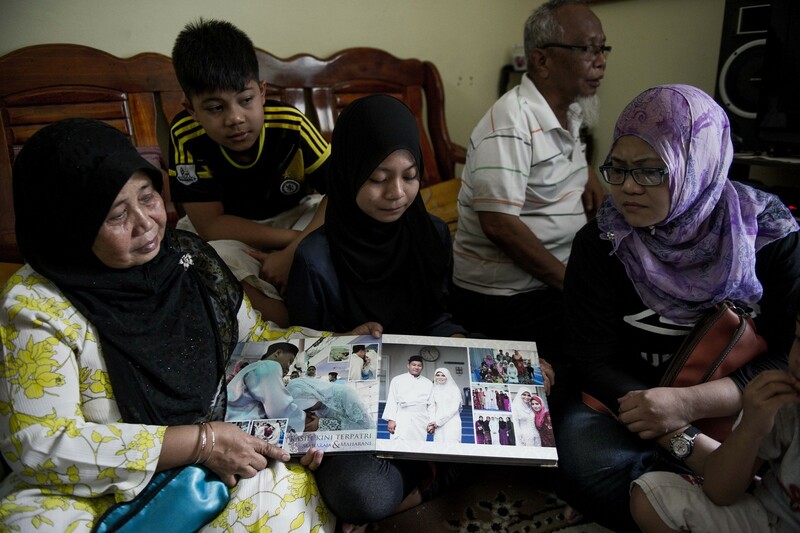 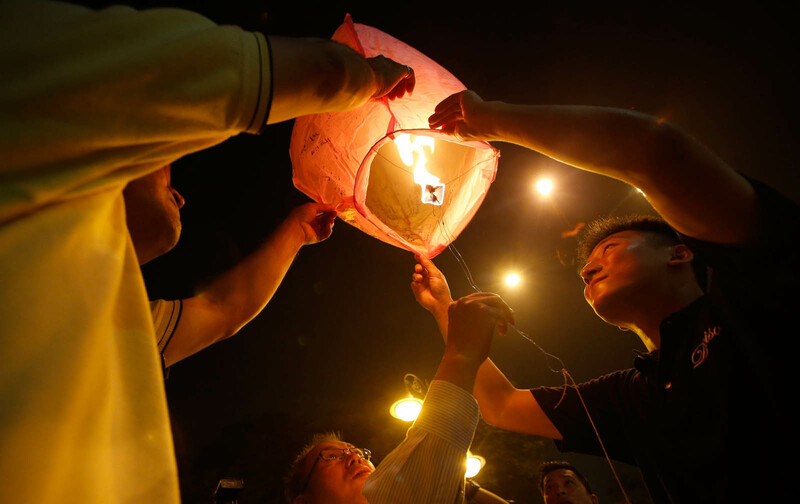 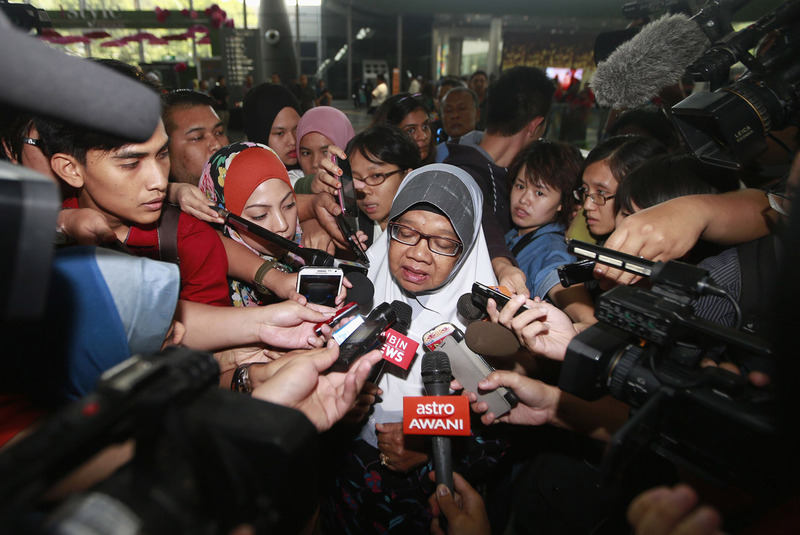 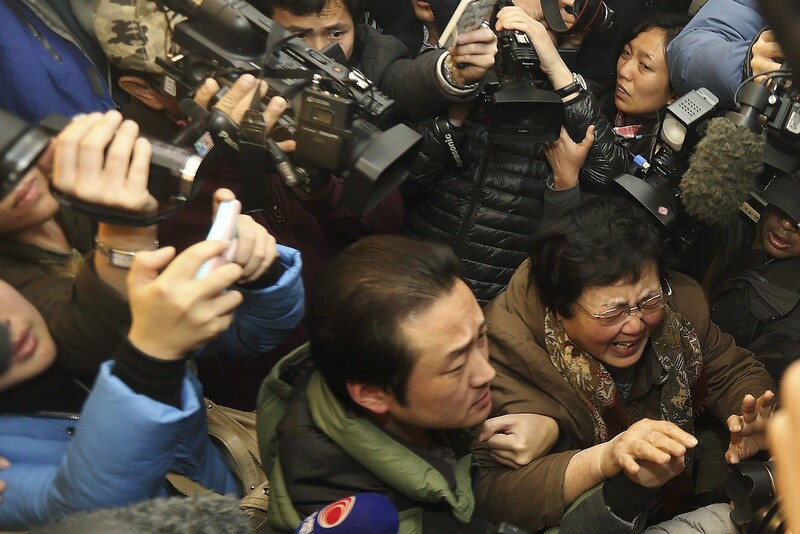 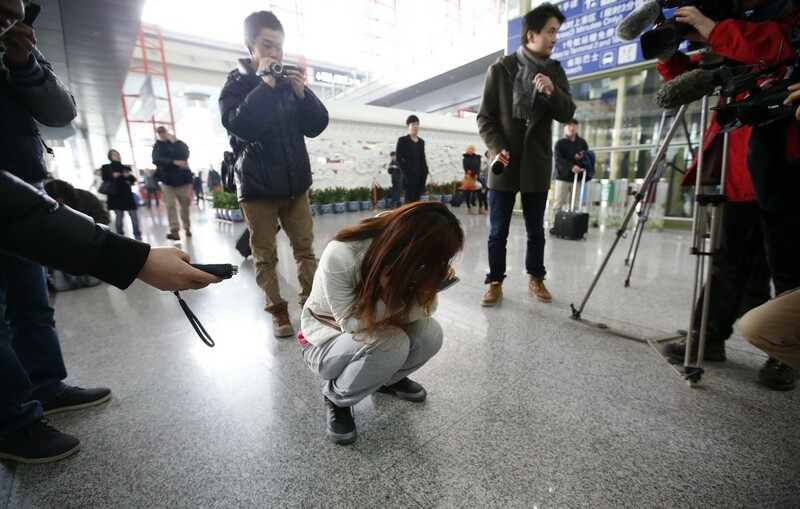 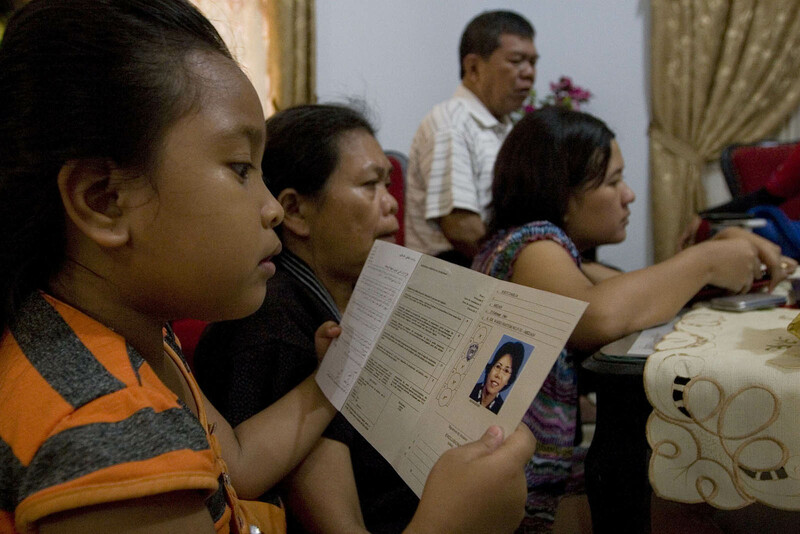 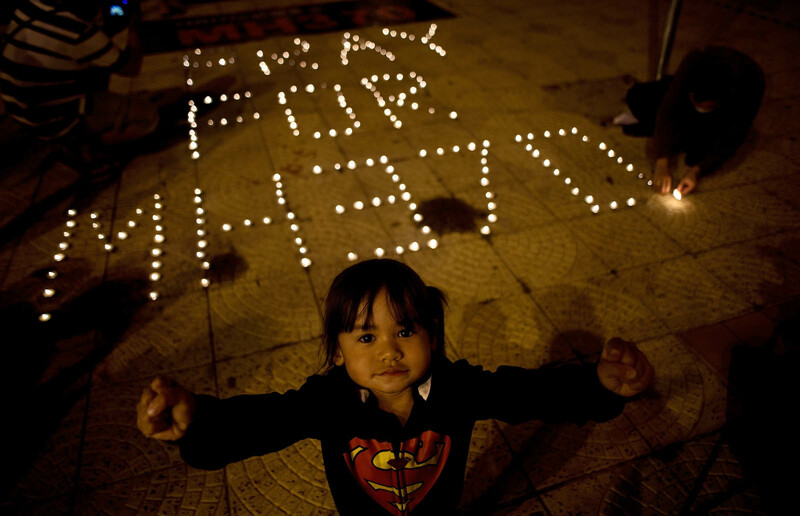 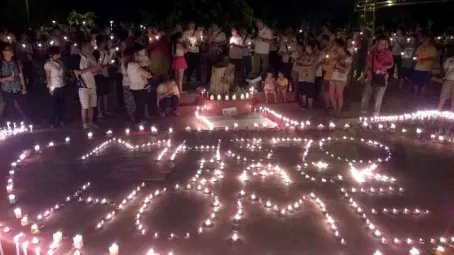 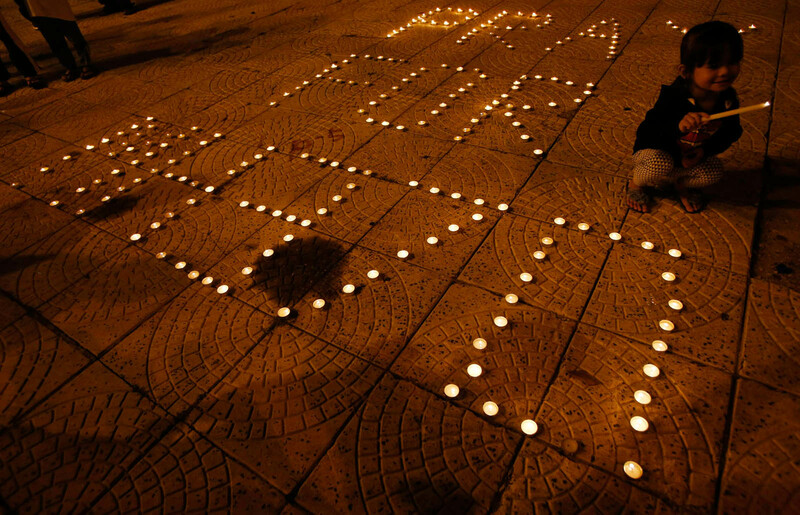 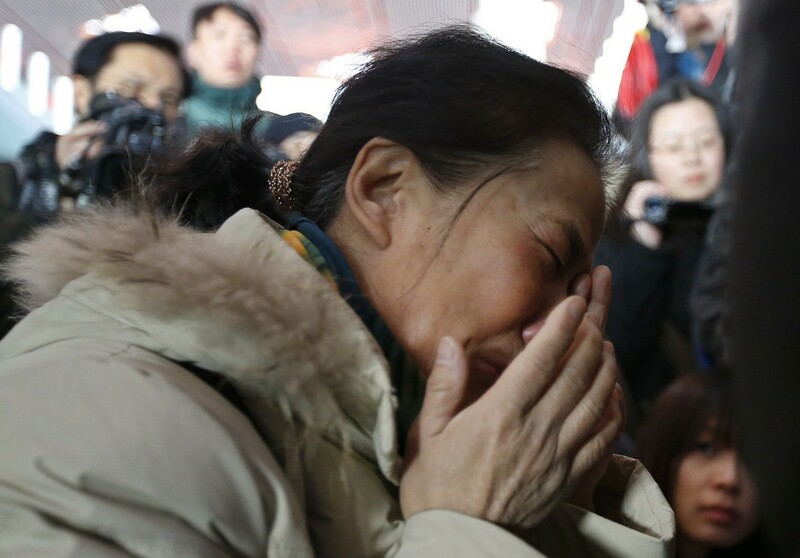 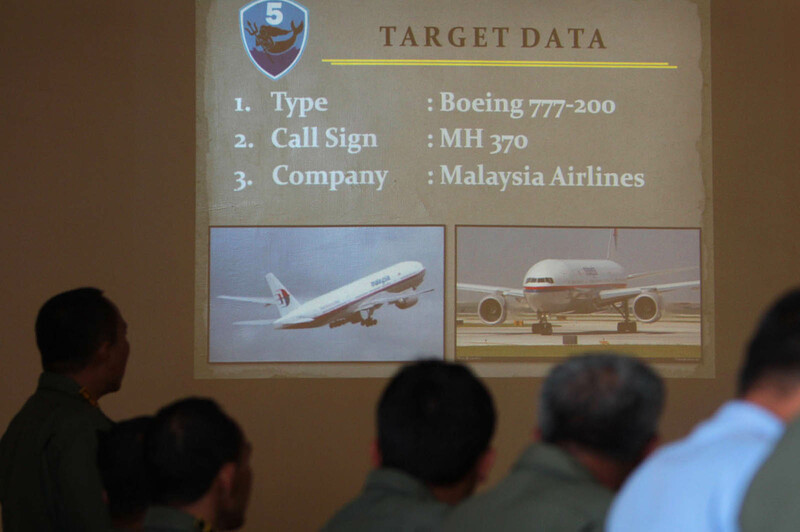 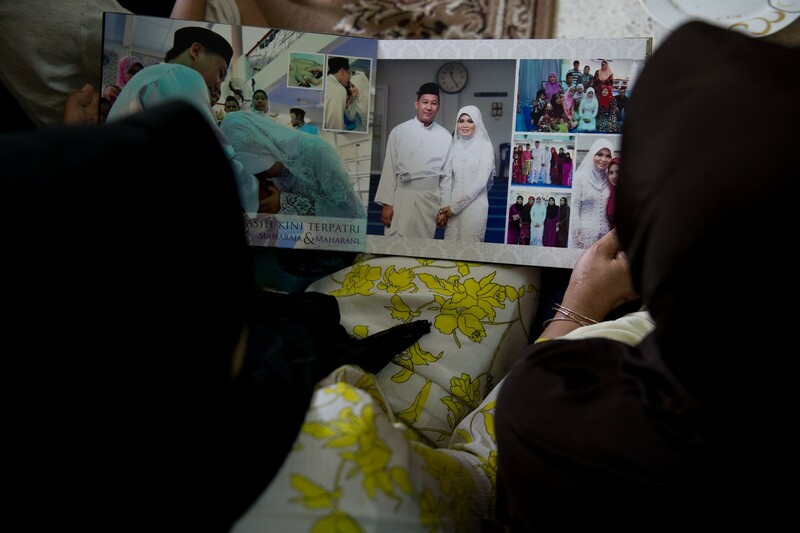 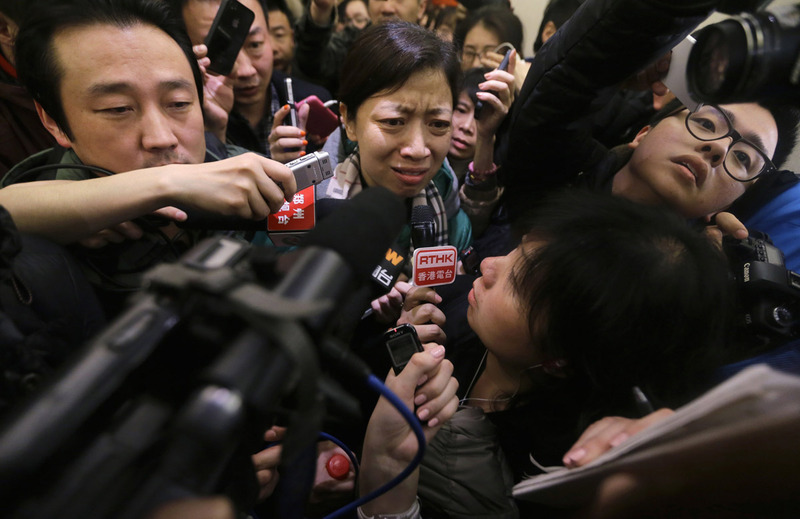 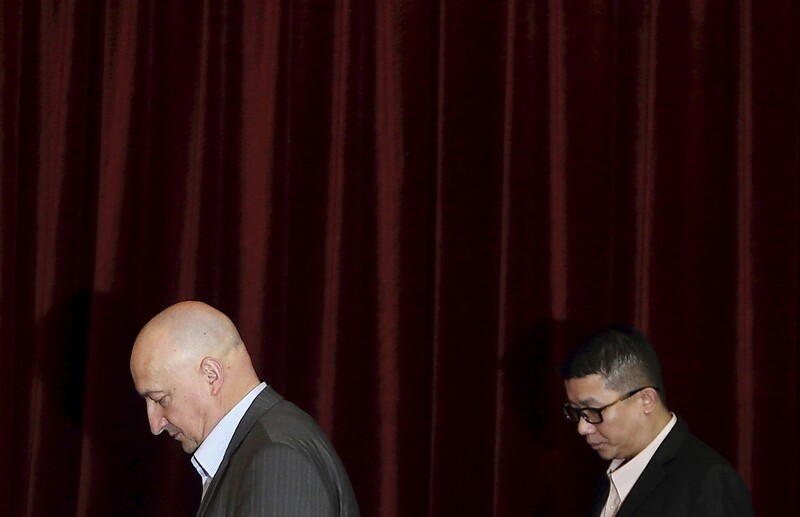 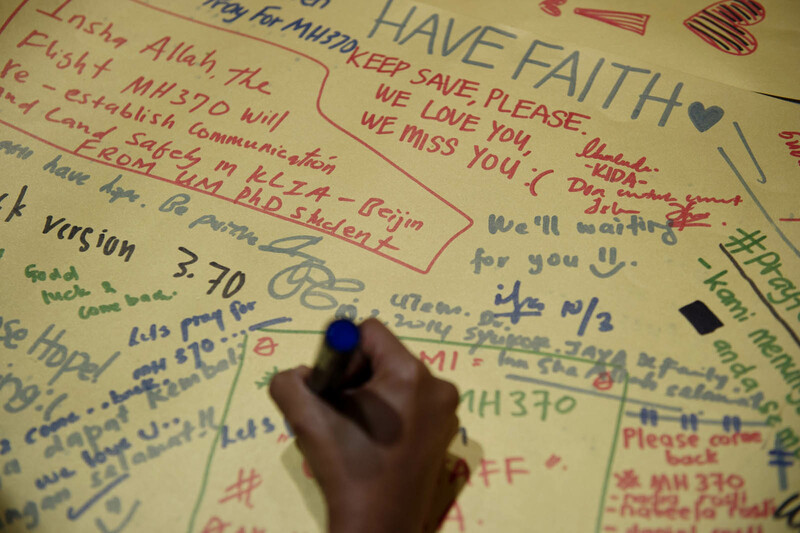 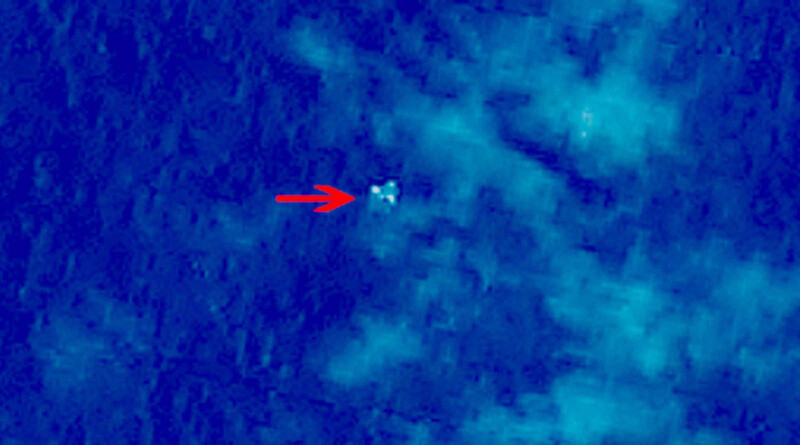 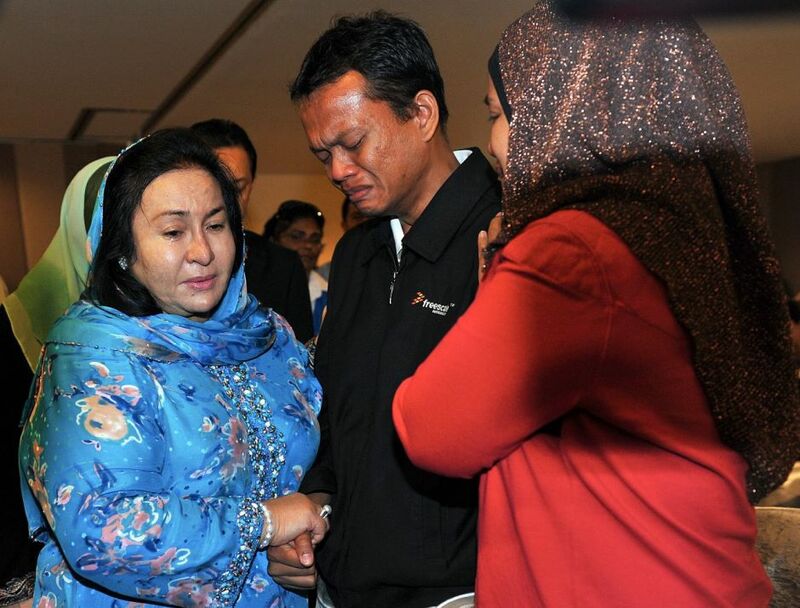 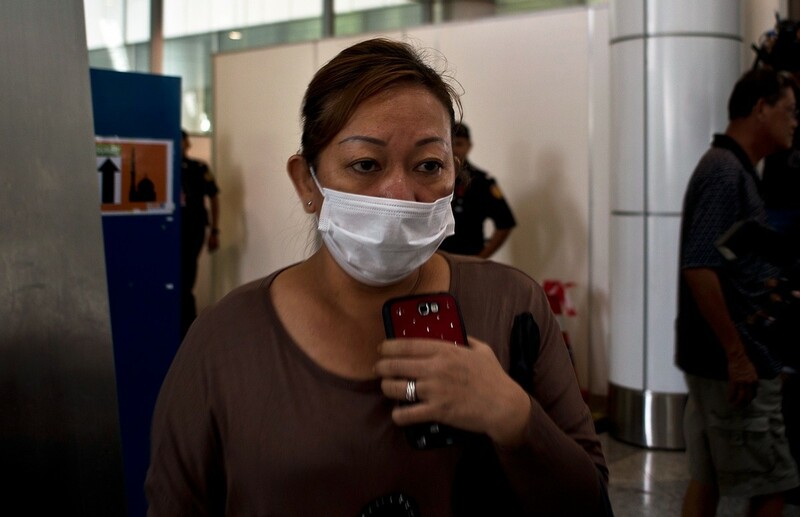 It was the fifth day after Flight MH370 disappeared early on last Saturday, and in both Beijing and Kuala Lumpur, anguished family members met Malaysian officials, waiting for any news at all. 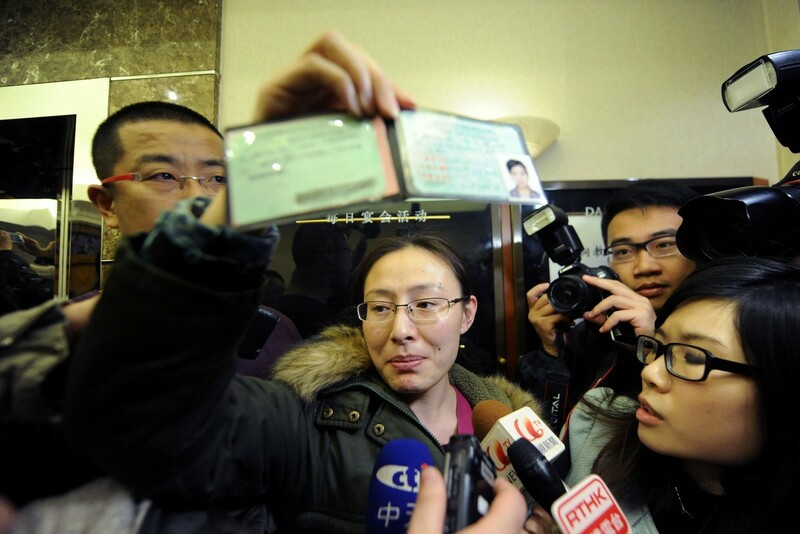 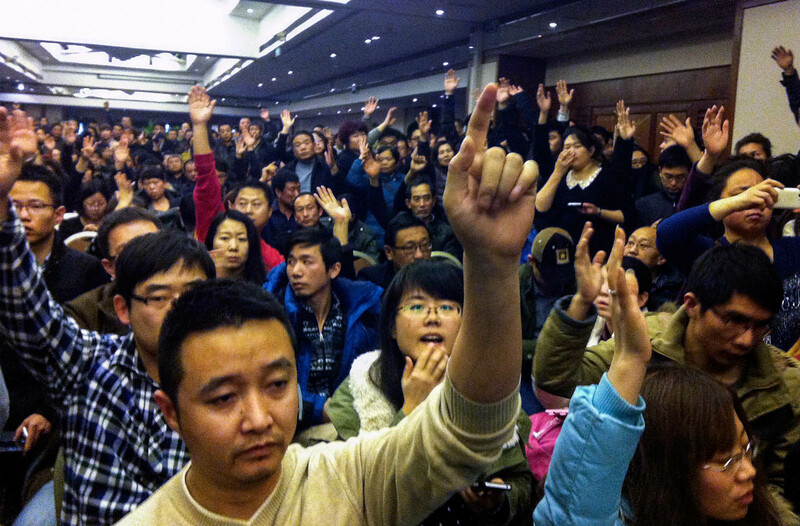 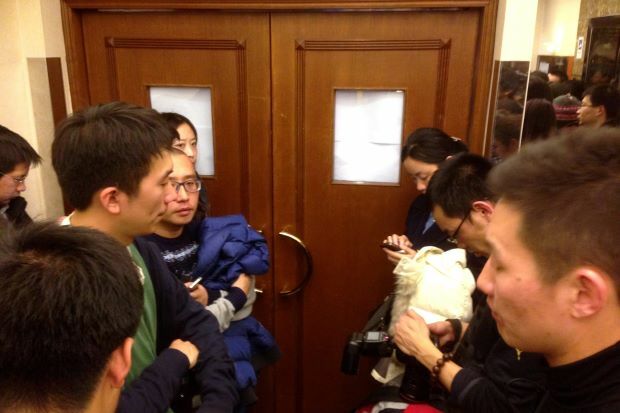 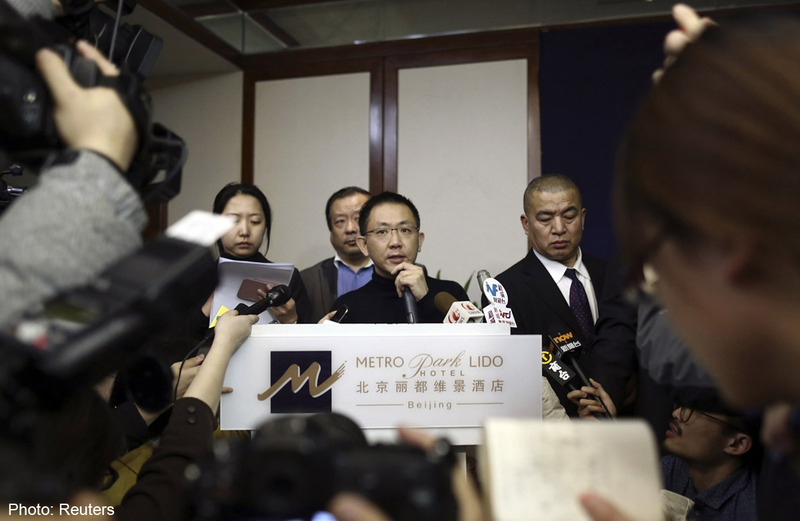 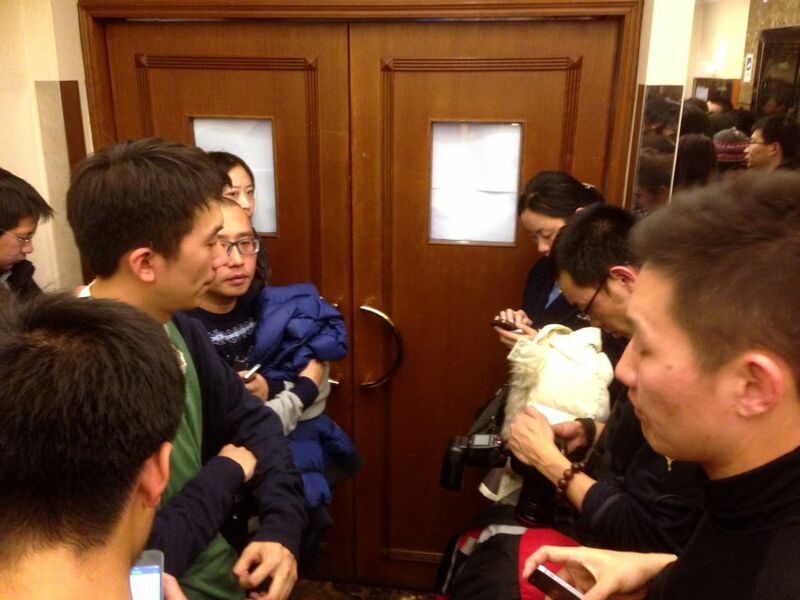 At Beijing's Metropark Lido Hotel, more than 200 relatives have been cooped up. 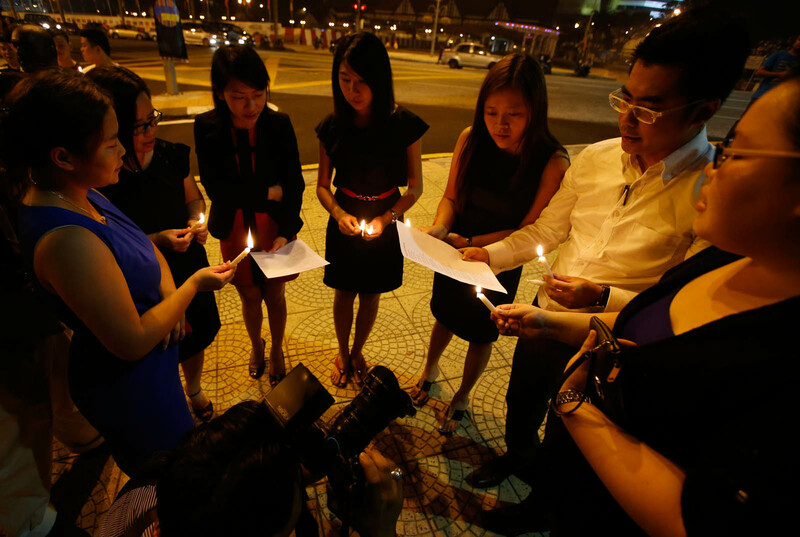 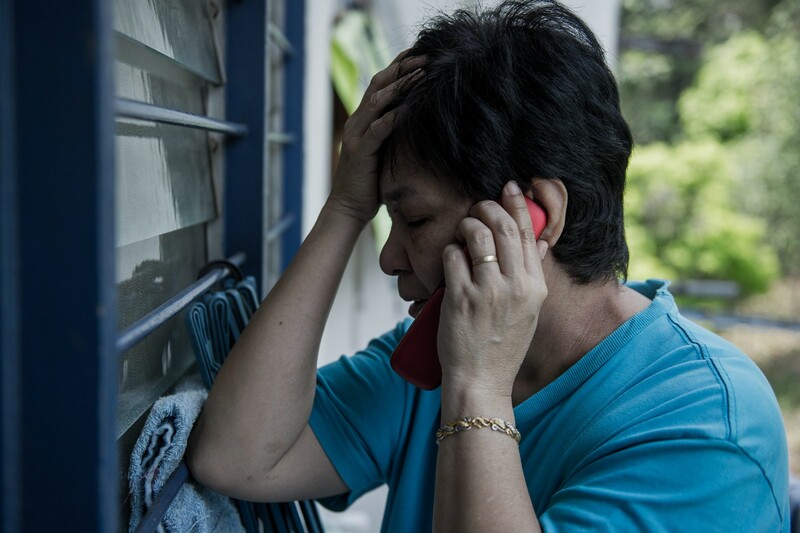 Frustration and anger at the lack of answers had led some to hurl objects at officials and heckle them, or push aggressive photographers away, but most family members have spent their time quietly hoping, The Straits Times observed. 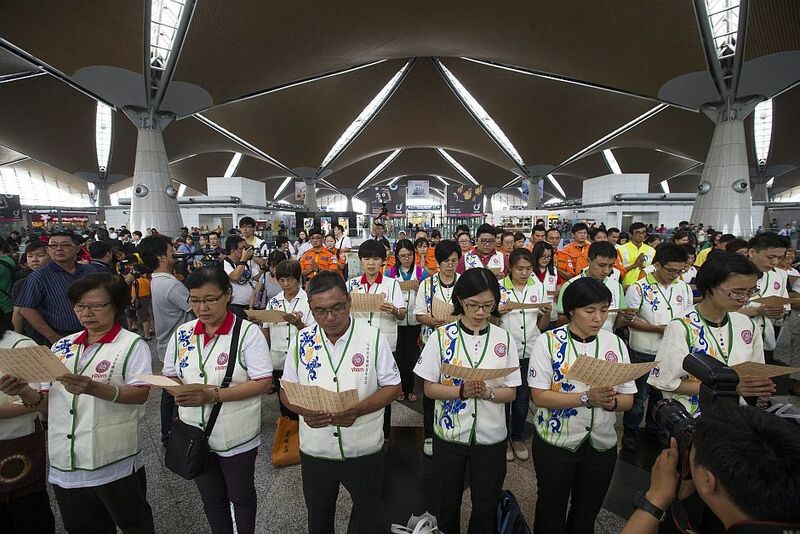 Some grip well-worn Bibles, or speak softly to counsellors from the Taiwanese Buddhist Tzu Chi Foundation. 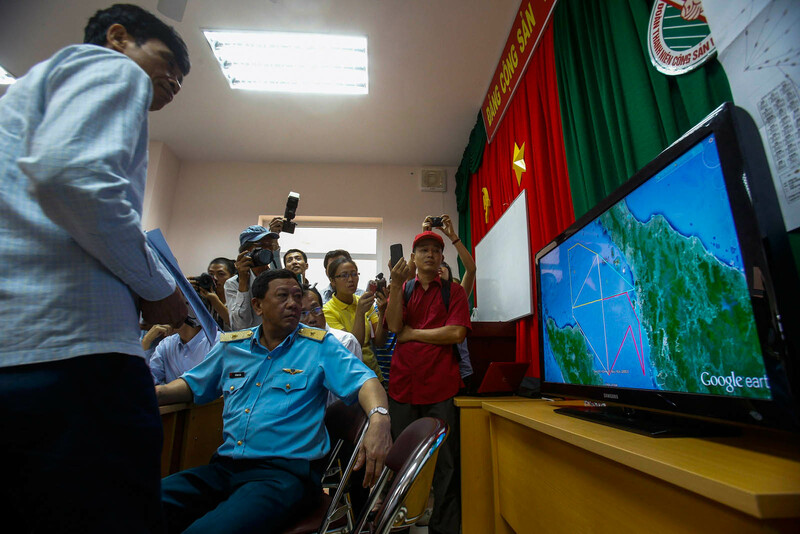 Others are glued wordlessly to the TV news, or are chain-smoking. 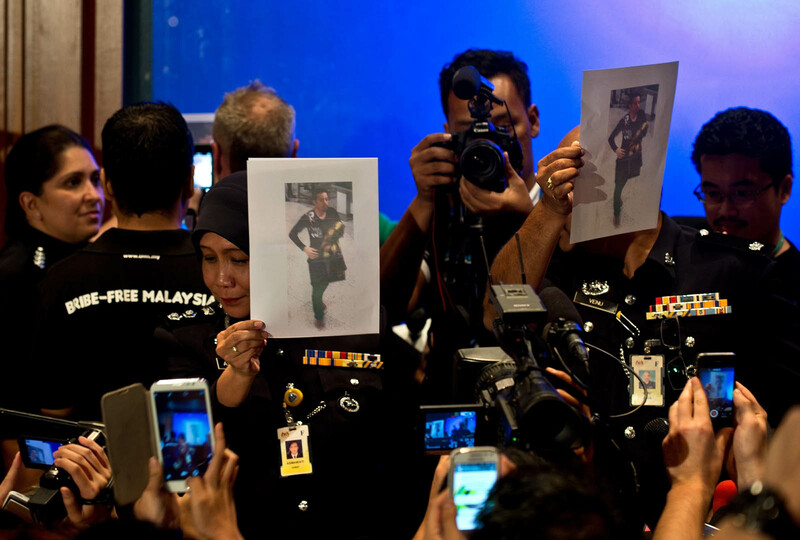 They trudge back and forth between the hotel's lobby restaurant, where they have meals provided by MAS, and a set of rooms whose doors are ringed by camera-wielding journalists. 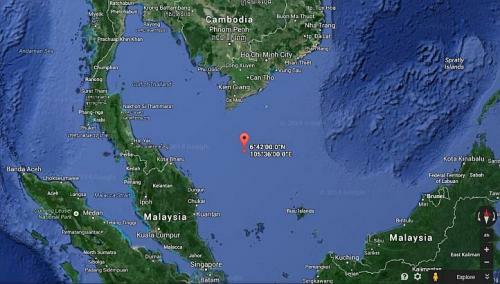 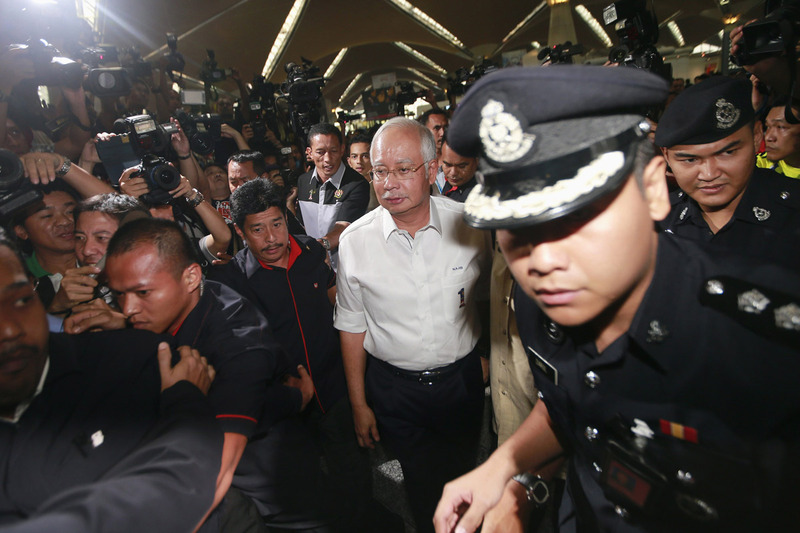 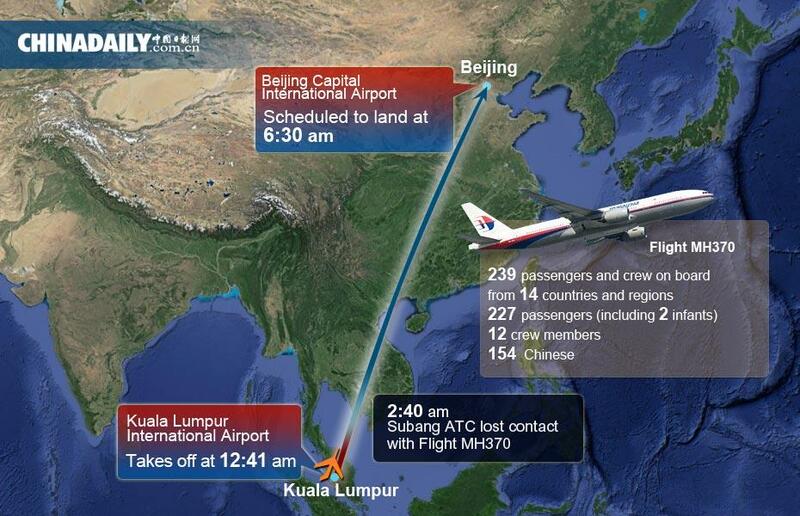 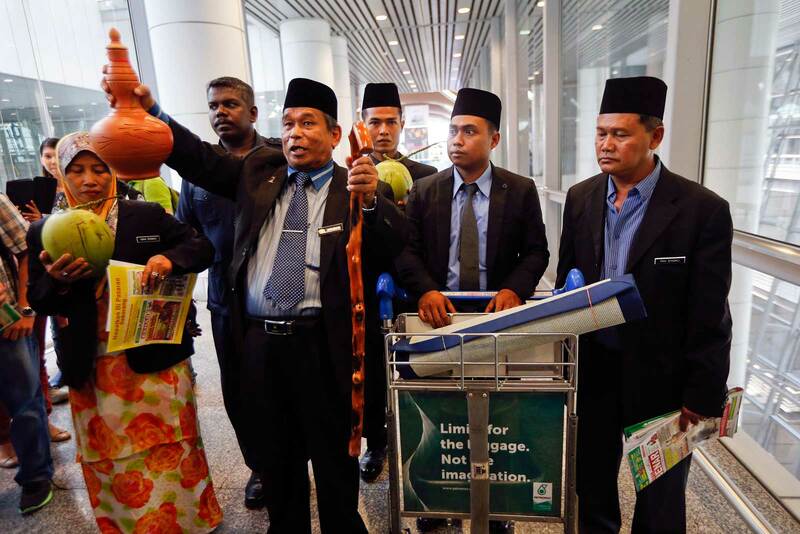 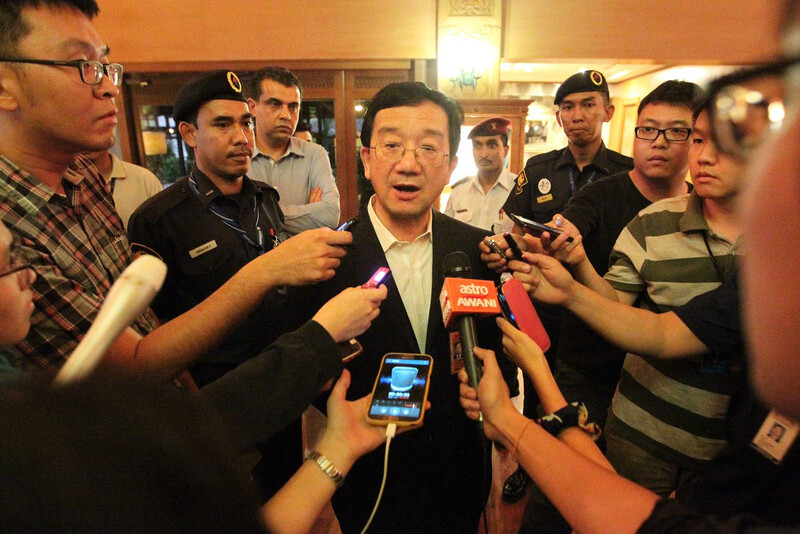 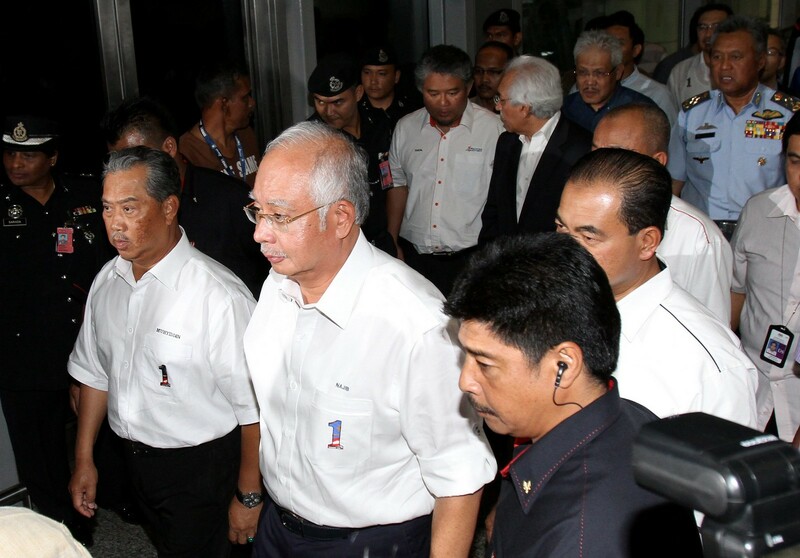 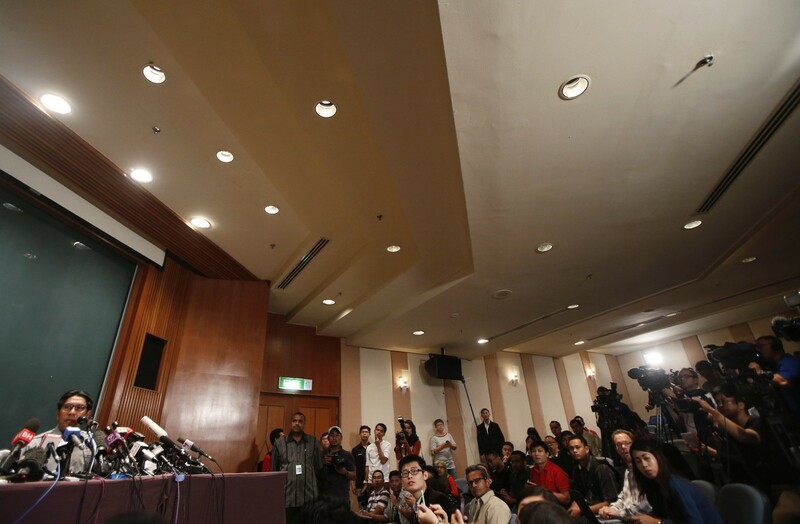 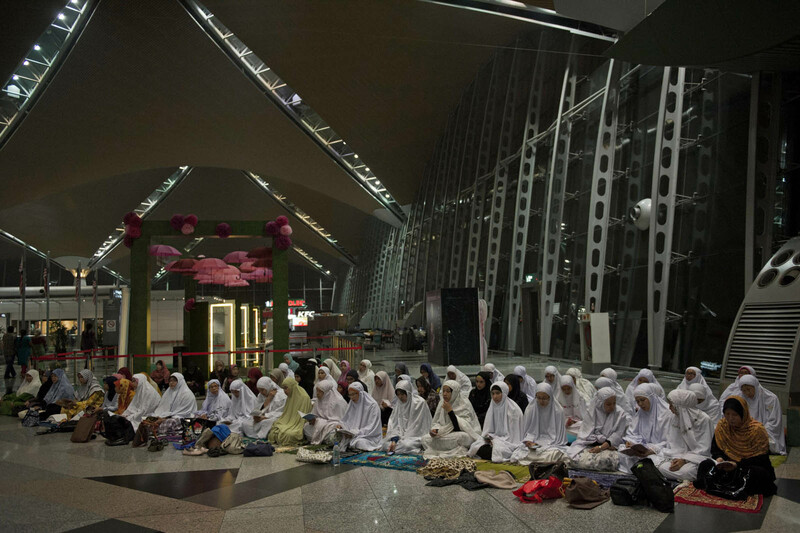 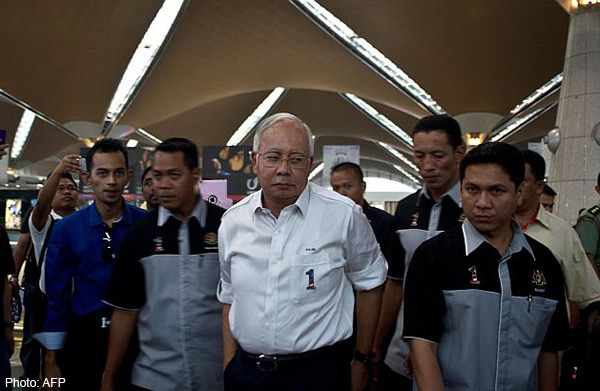 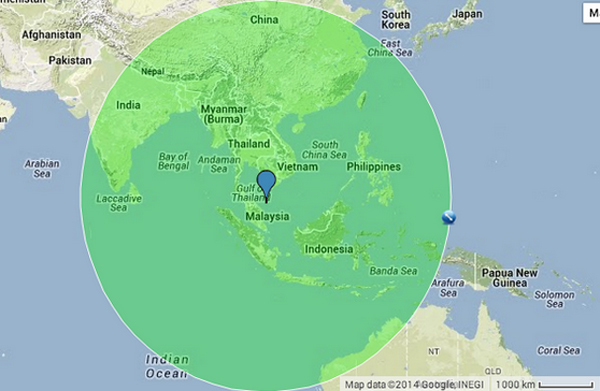 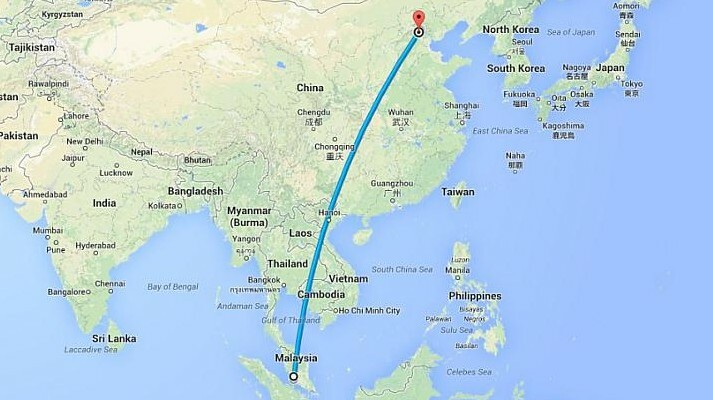 Most who spoke to The Straits Times in Beijing said they did not see the point of going to Kuala Lumpur. 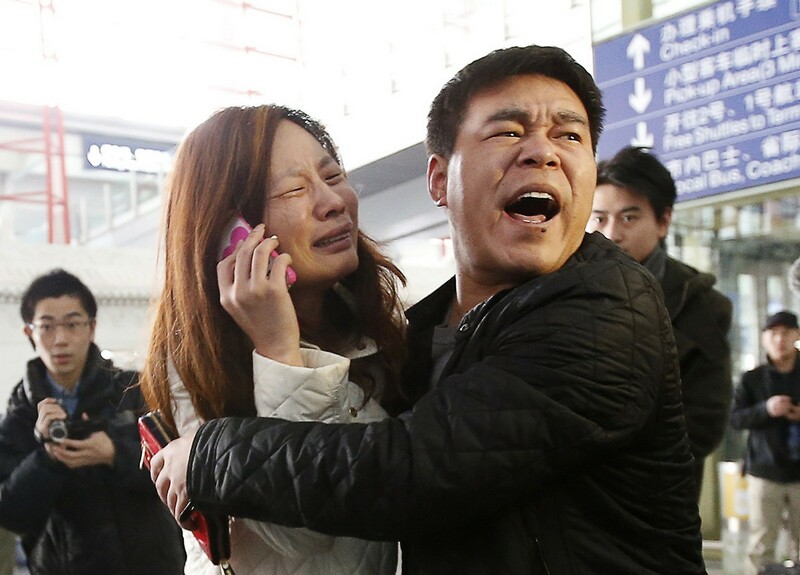 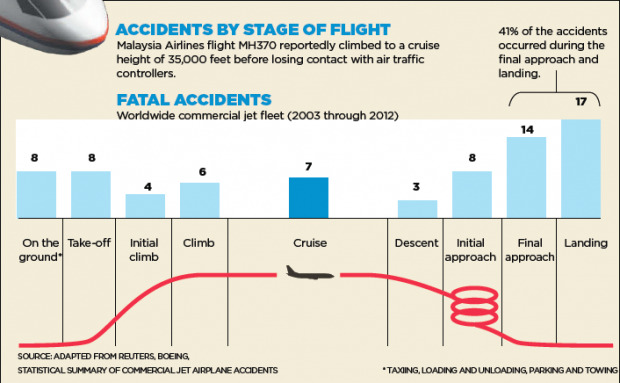 "We would just be waiting there, like here," said one woman whose husband was on the plane. 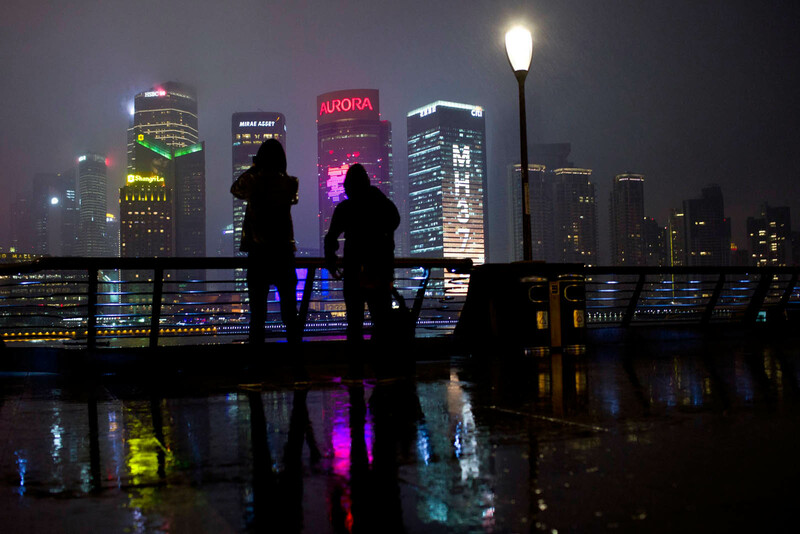 "That's a foreign country, and we don't speak the language." 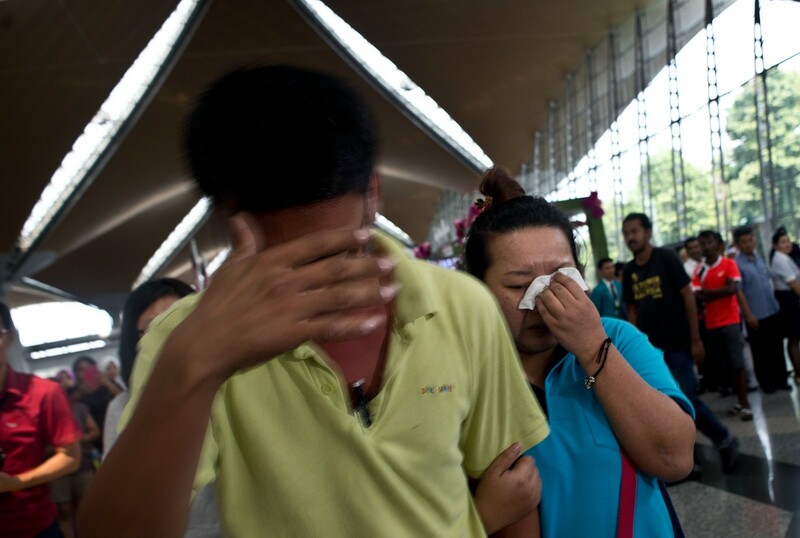 In Malaysia, Chinese family members have been put up at the five-star Cyberview Resort in Cyberjaya, a 25-minute drive from the KL International Airport (KLIA). 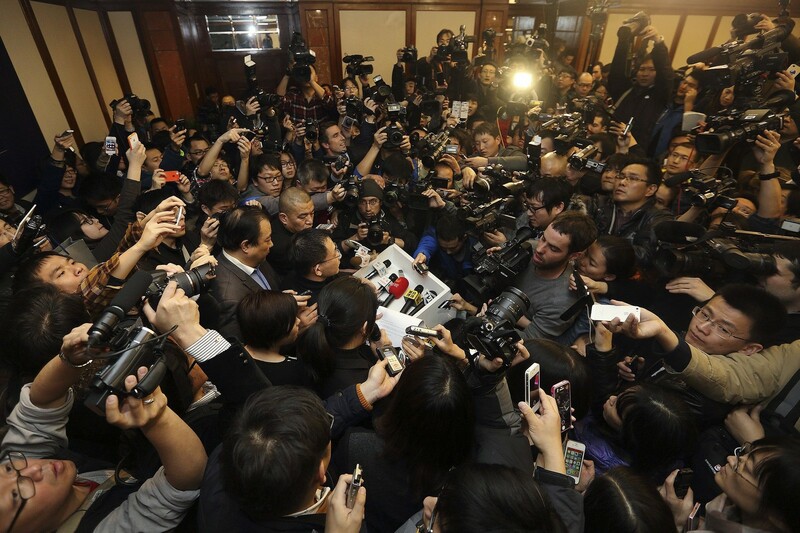 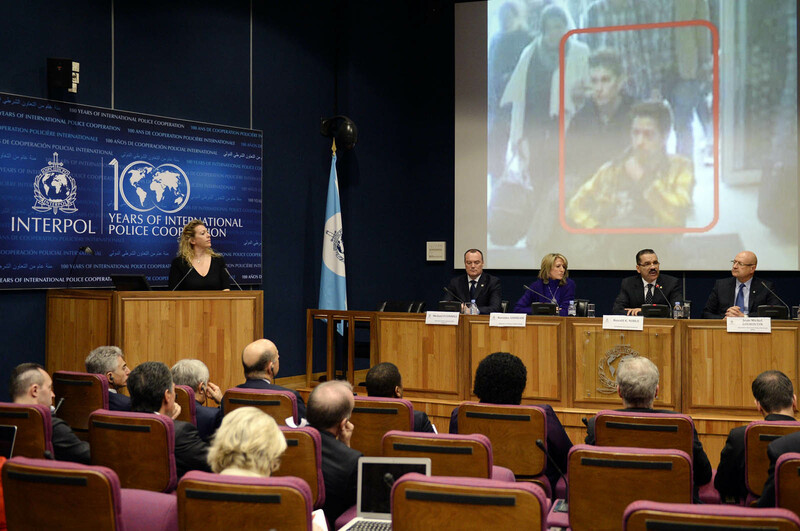 What families in both places cannot avoid is the intense media presence. 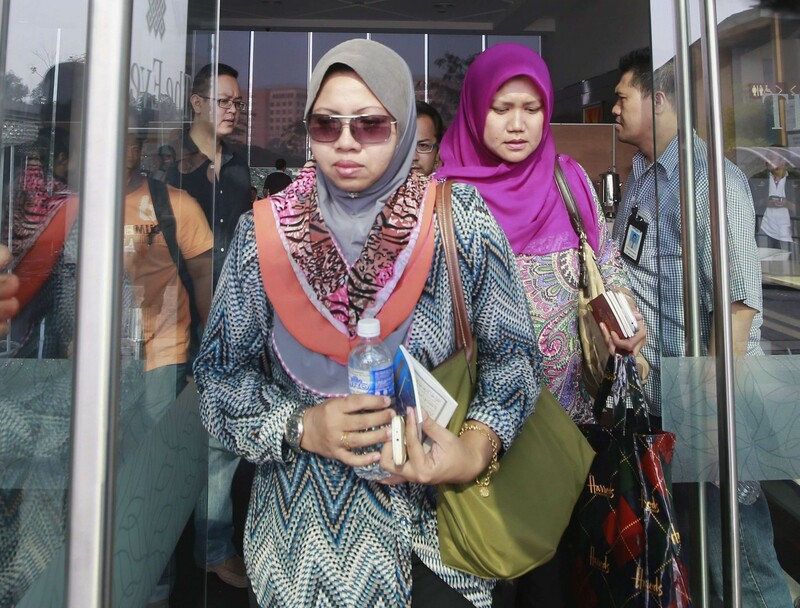 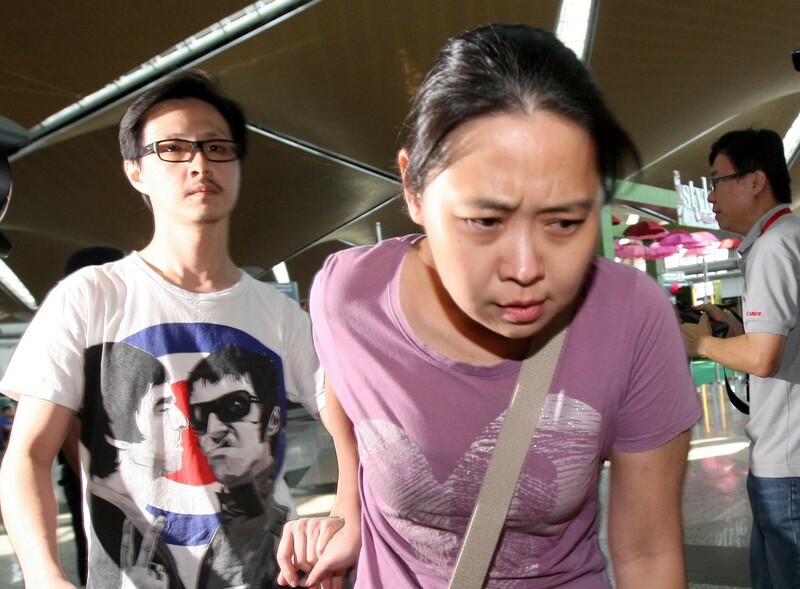 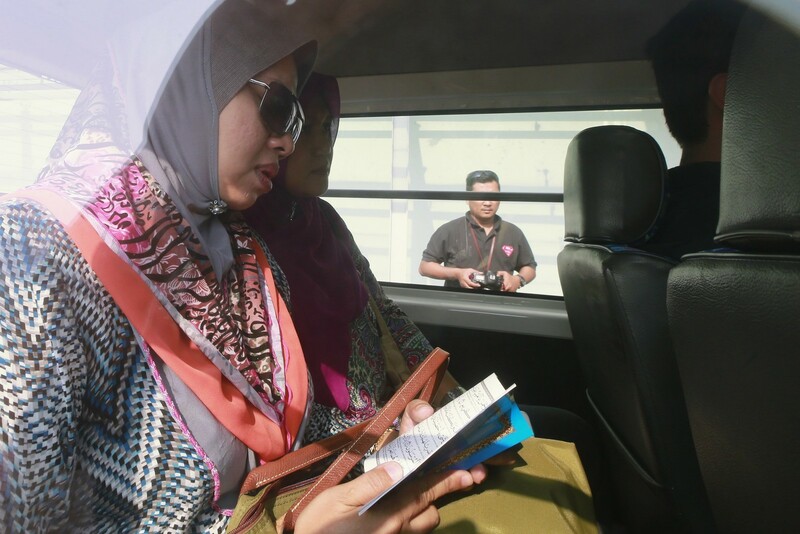 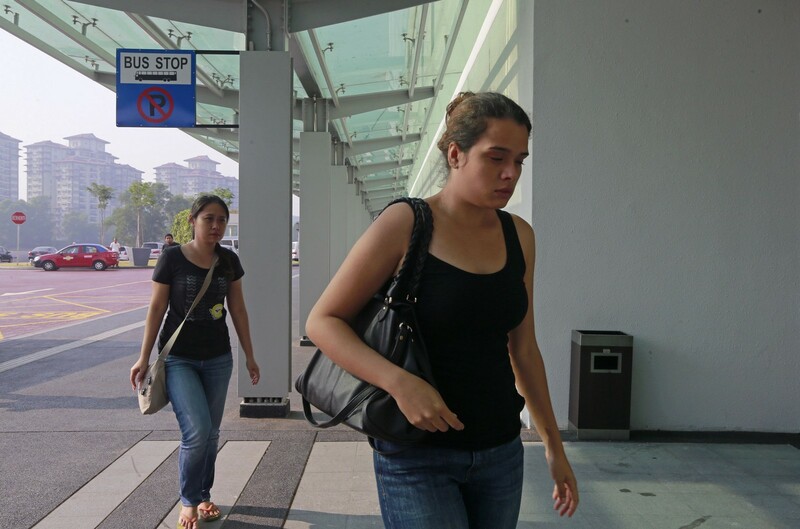 At Cyberjaya on Tuesday, a group of five Chinese relatives, including a pregnant woman, got caught in the scrum of photographers while on their way to lunch at the hotel restaurant. 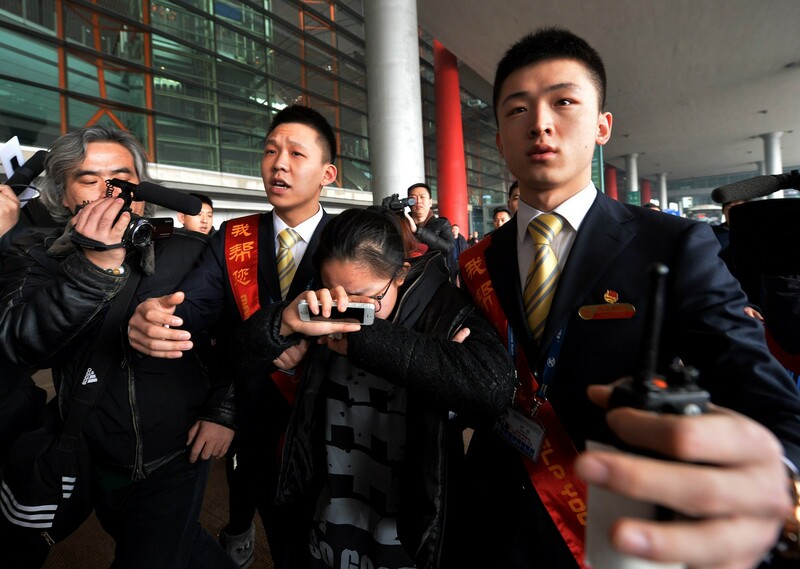 One of them struck a photographer, shouting: "Why are we being treated like this? 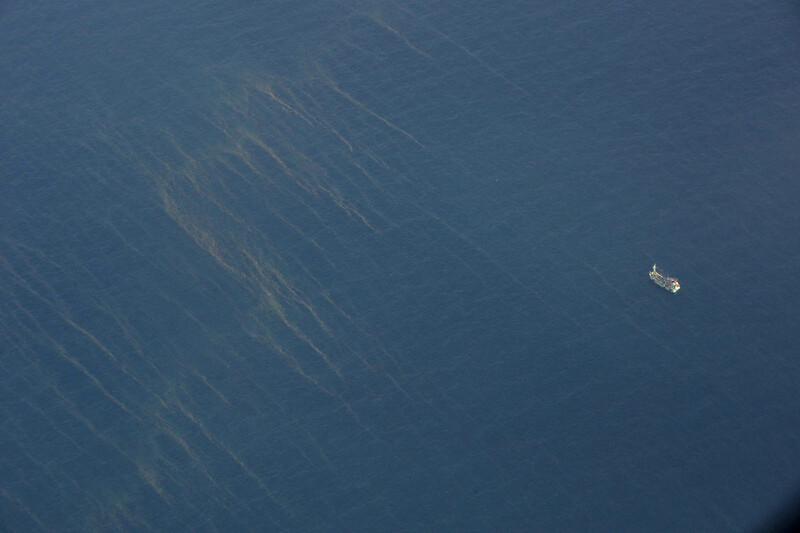 Leave us alone! 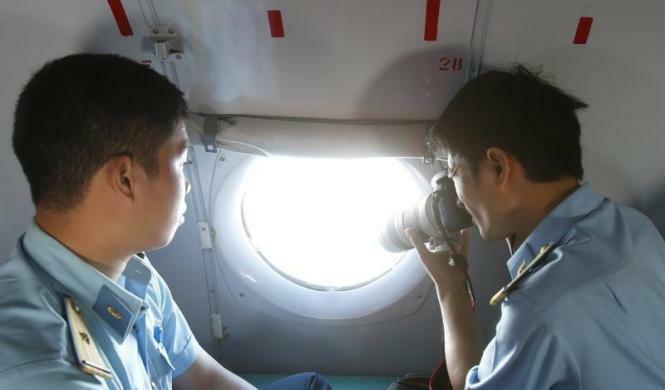 Stop photographing!" 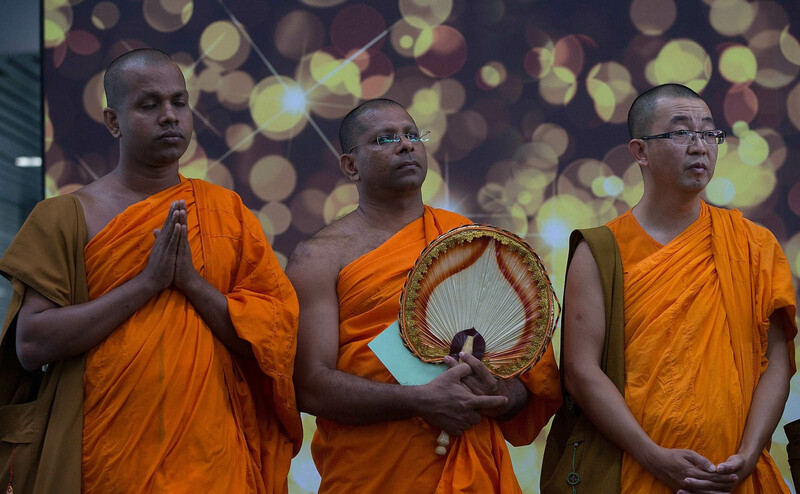 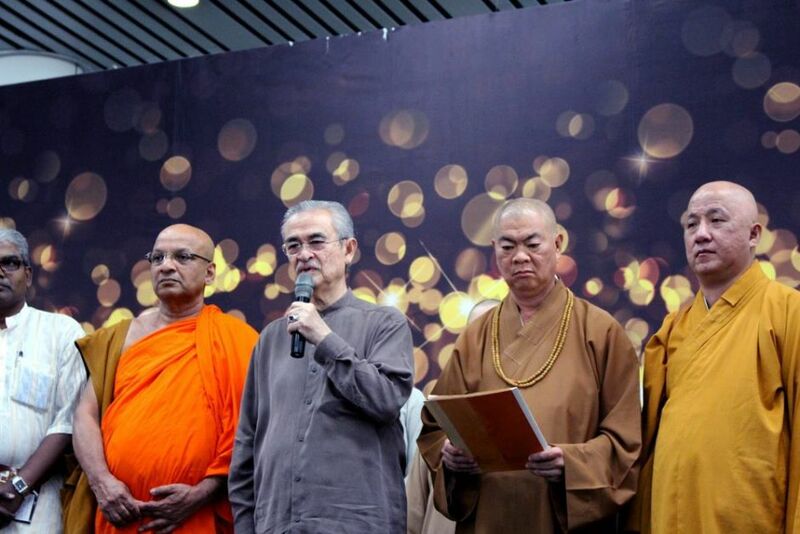 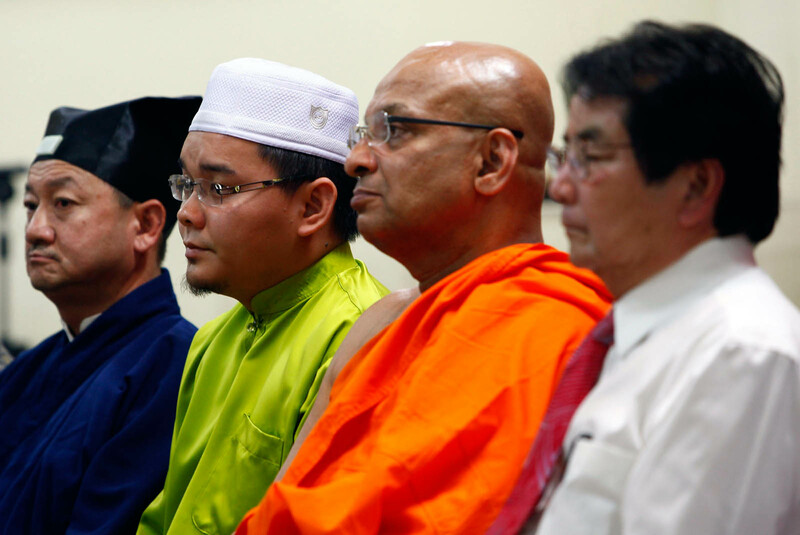 The plight of the families has prompted four Malaysians from Buddhist societies, including Ms Barbara Yen, 67, to volunteer their counselling services. 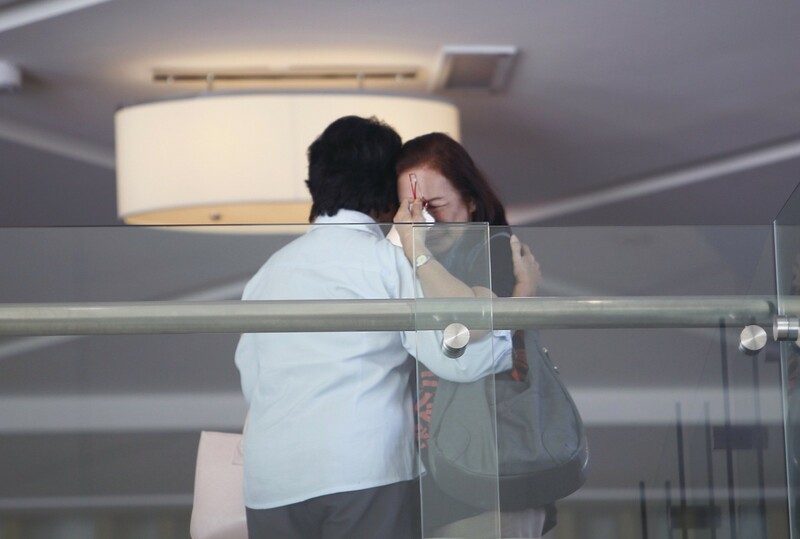 "The anxiety is there and they need comfort and understanding," she told reporters. 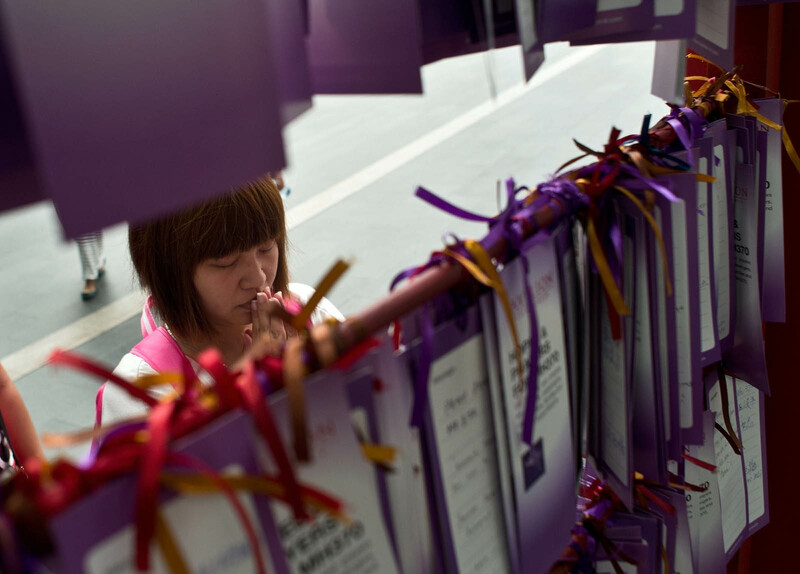 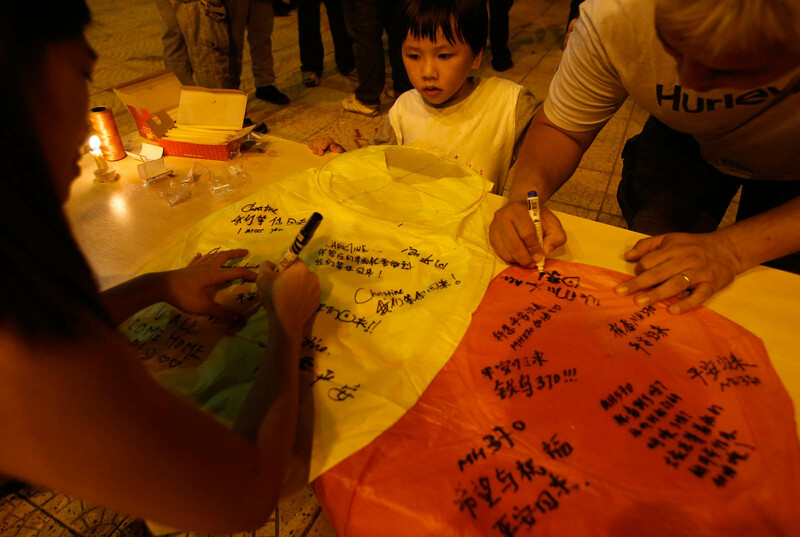 In Beijing, spending time together has brought about a sense of unity among the waiting family members, and their collective action has yielded results. 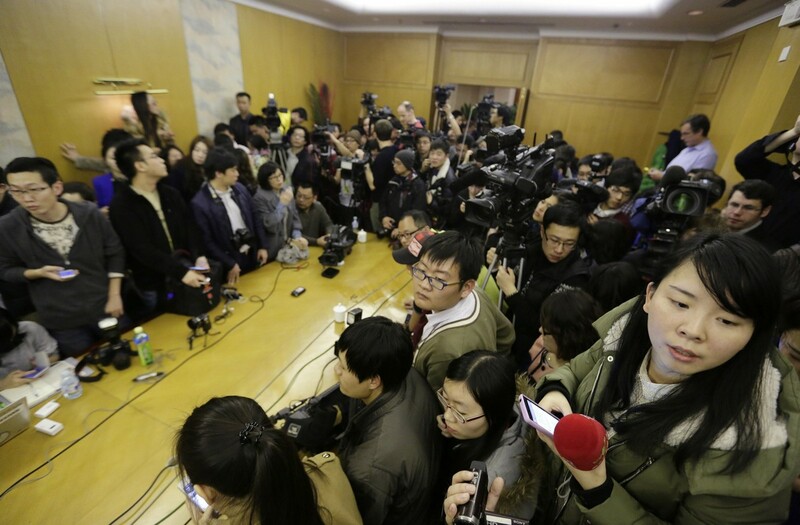 On Sunday, when they were crammed into a chaotic, claustrophobic room without enough chairs, a man in his 30s got about 100 families to sign a petition requesting assistance from the Chinese authorities. 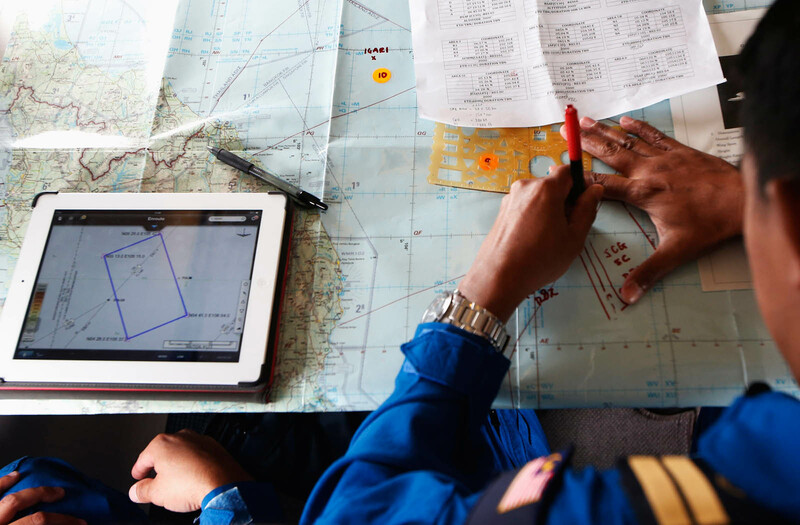 The next day, a much bigger space was made available, with different counters for different tasks. 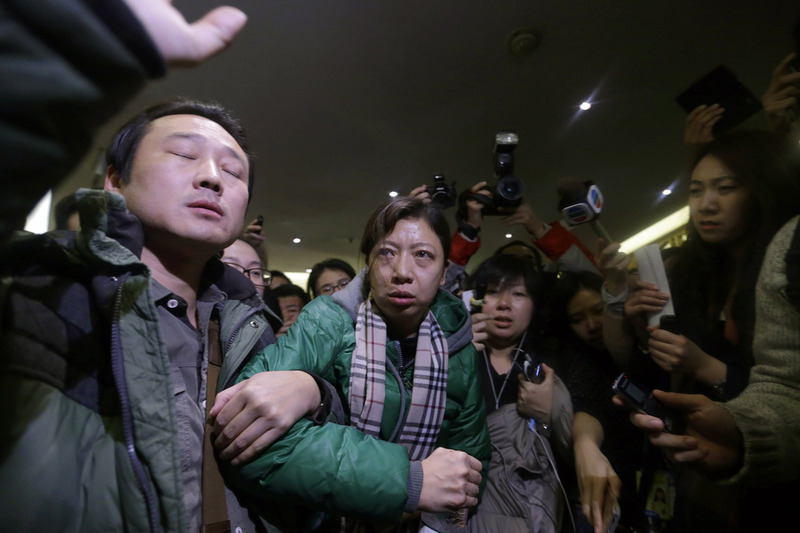 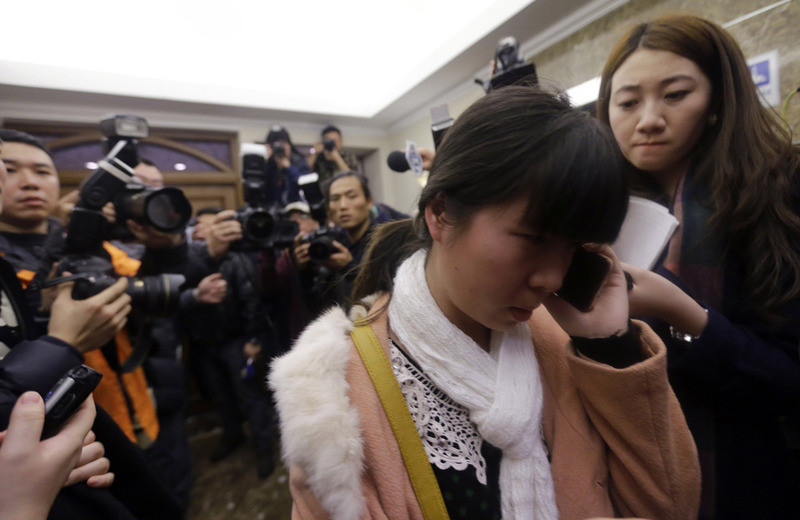 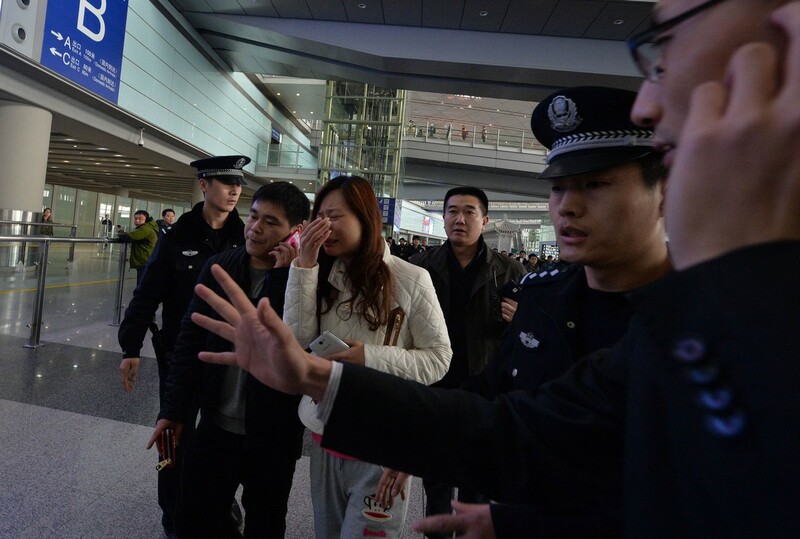 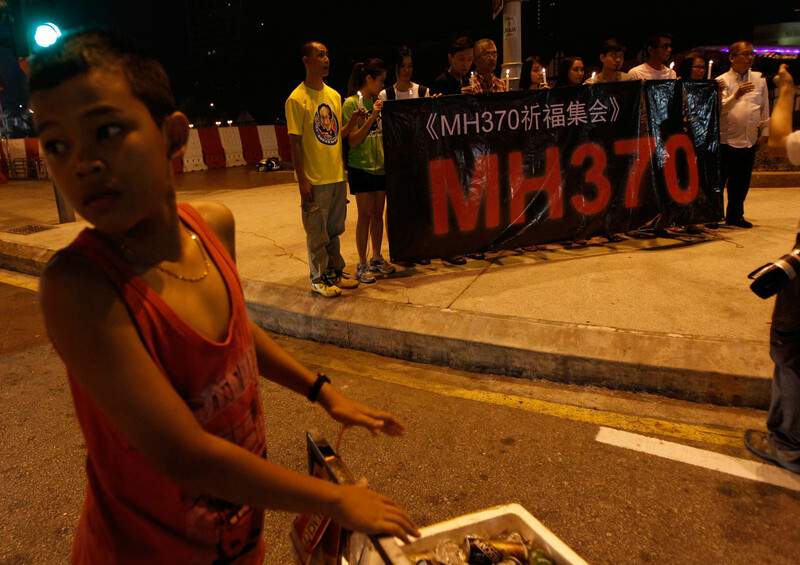 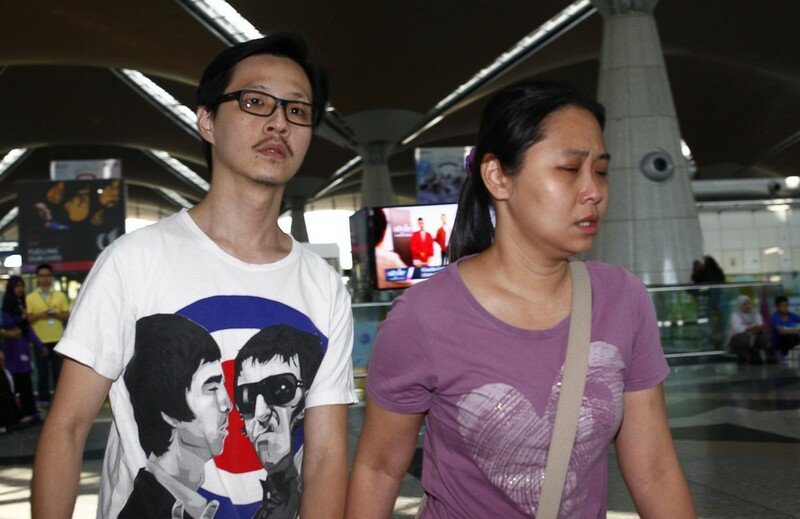 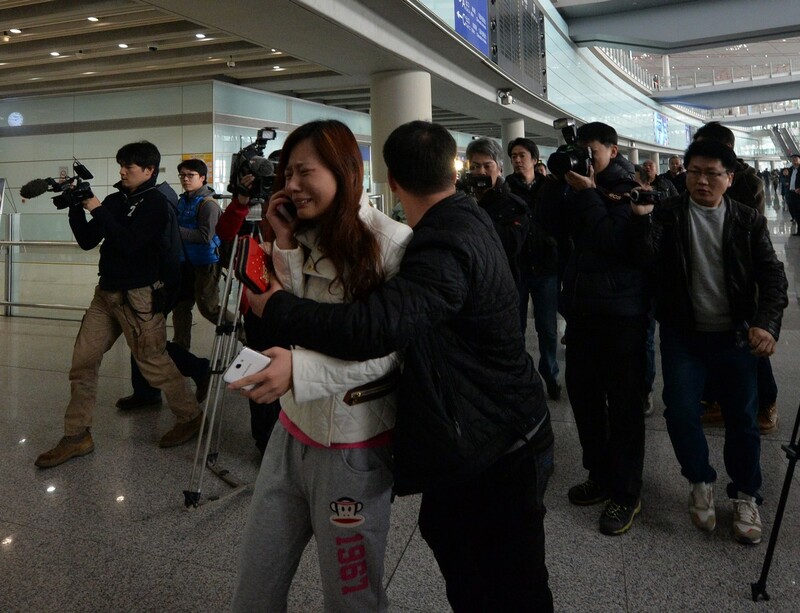 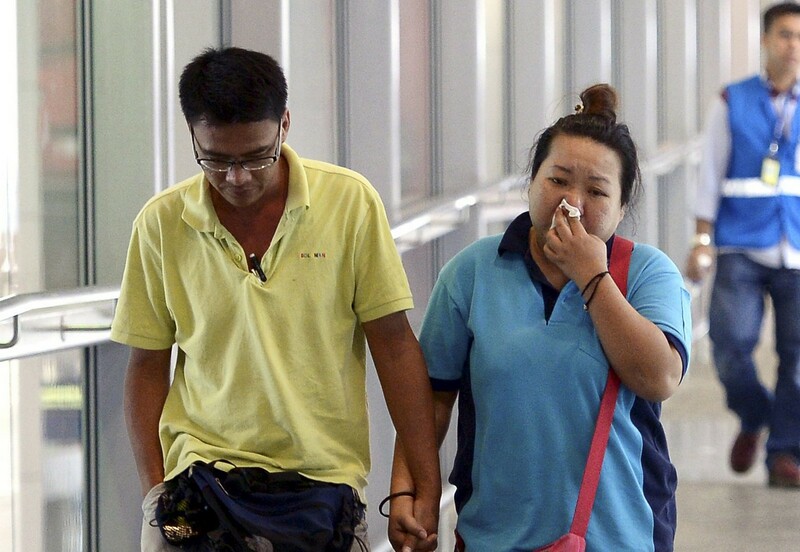 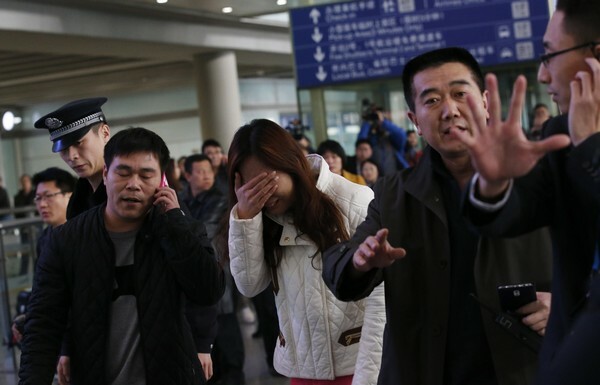 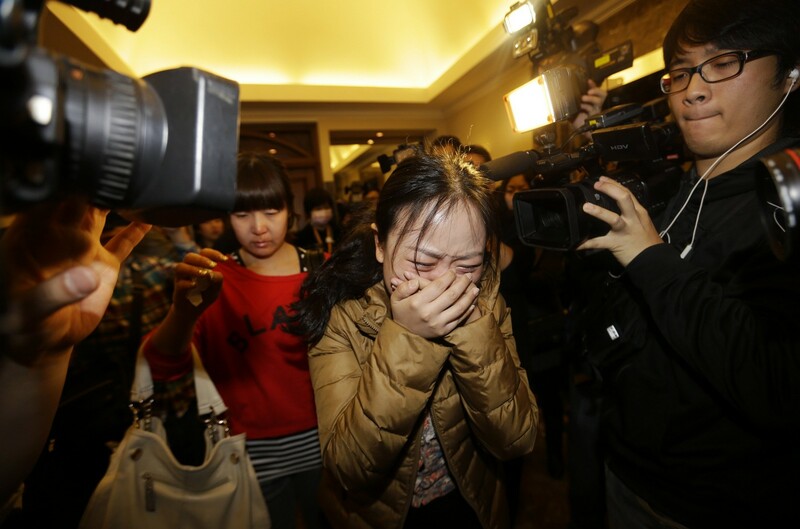 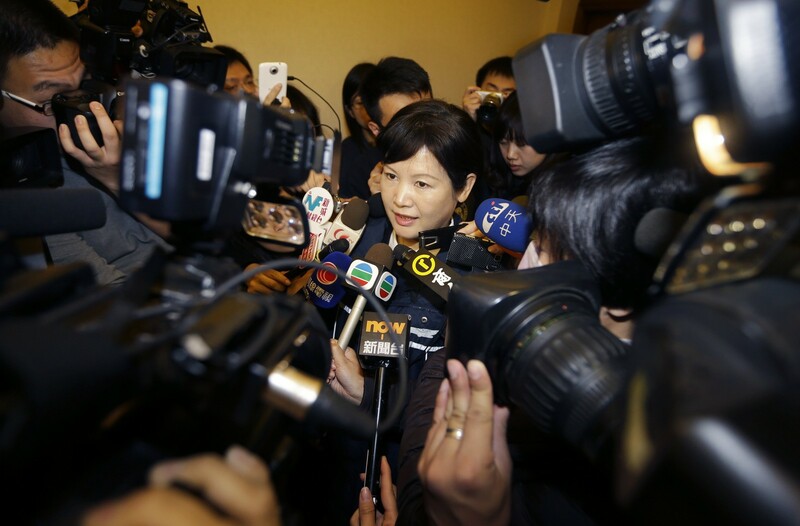 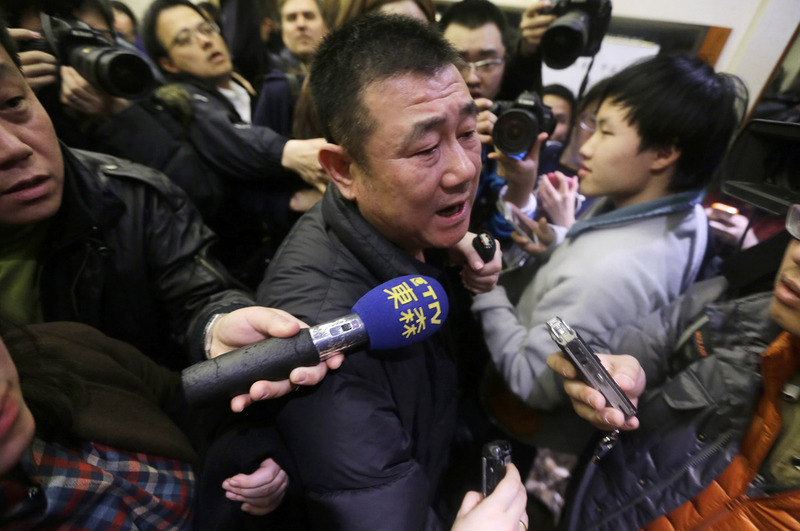 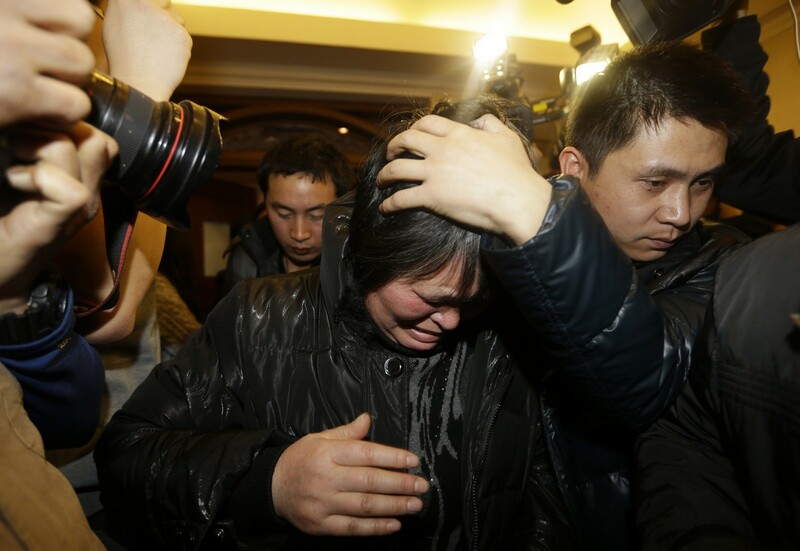 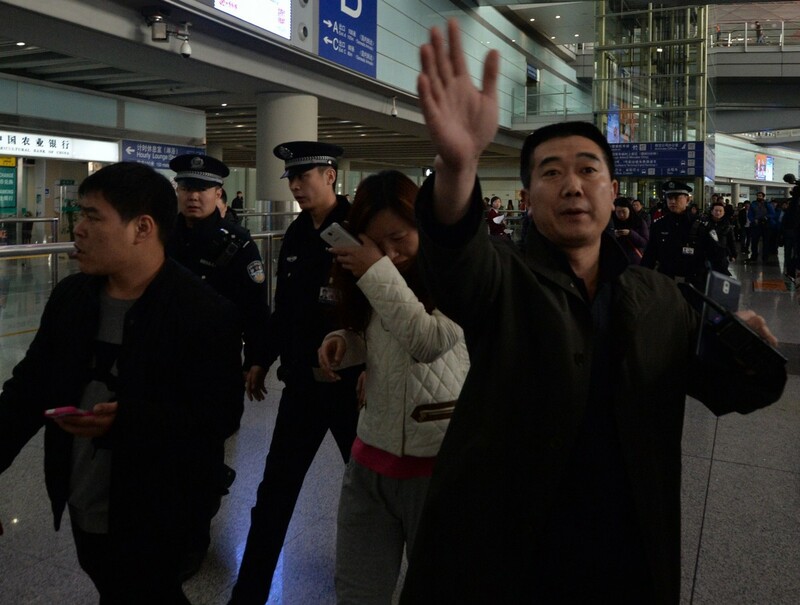 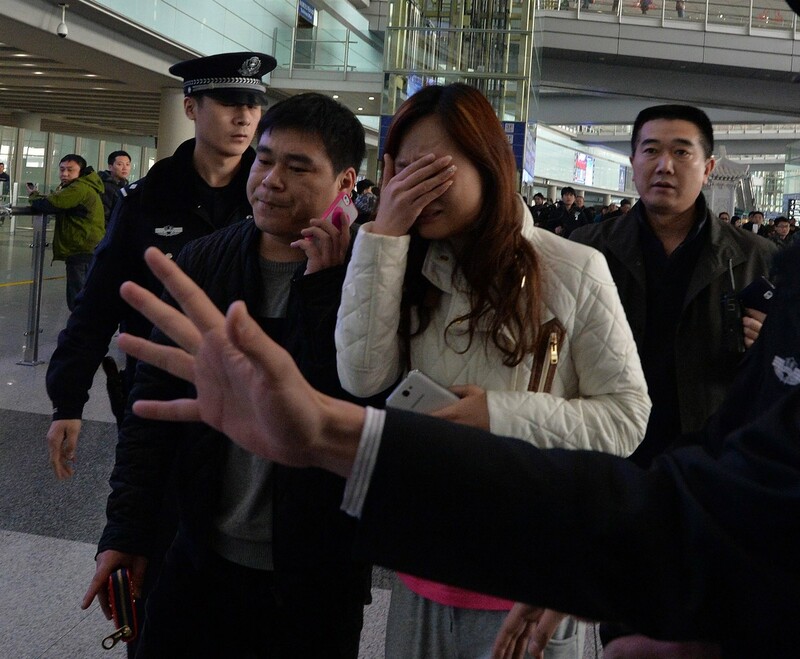 The airline also reportedly offered 31,000 yuan (S$6,400) to each family as "spending money". 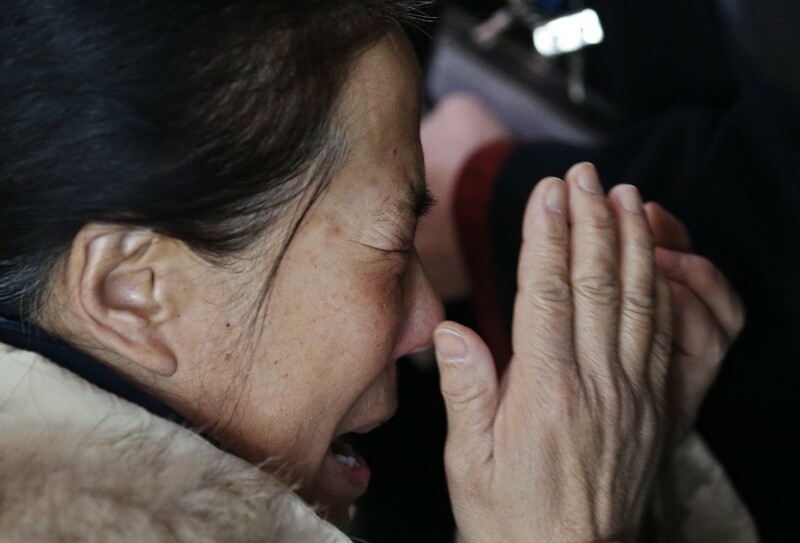 With each day that the search has gone on, intense emotions are draining away, to be replaced by fatigue, helplessness and even hope. 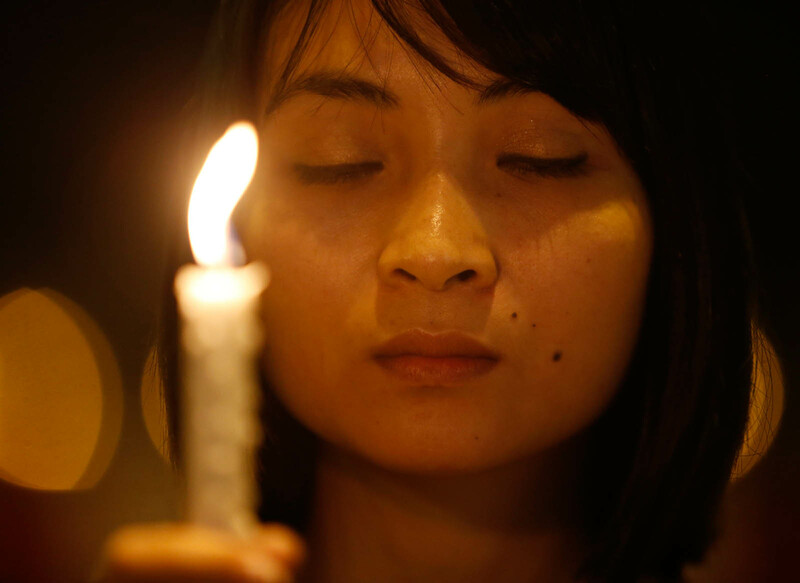 "What's the point of being angry any more?" 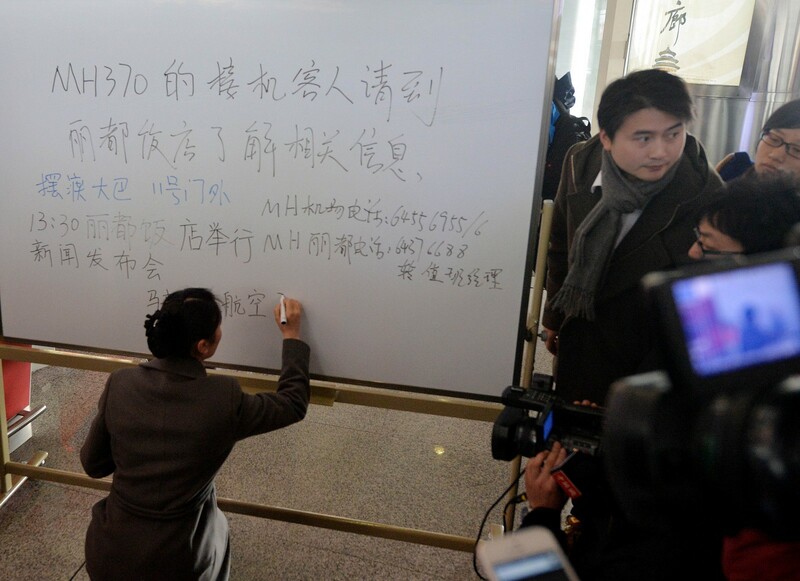 said a woman from Shandong province who gave her name as Madam Nan. 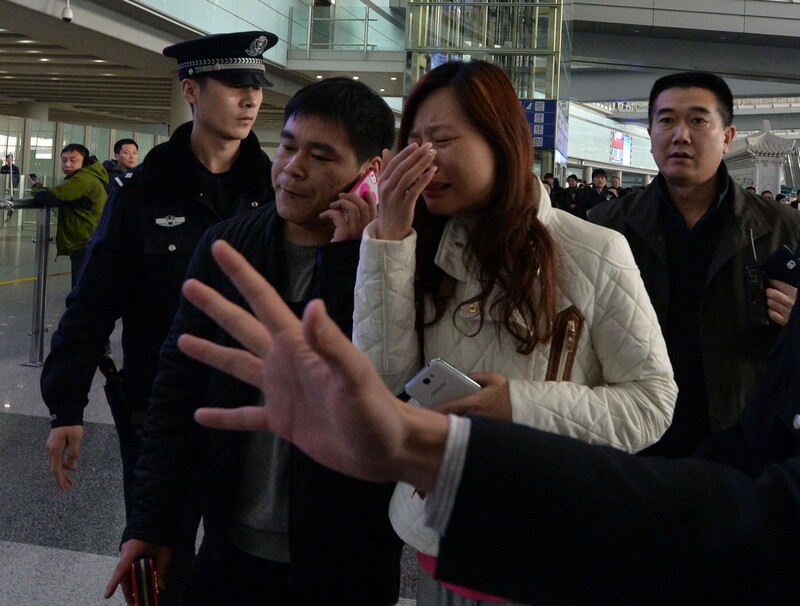 Her husband was on the plane. 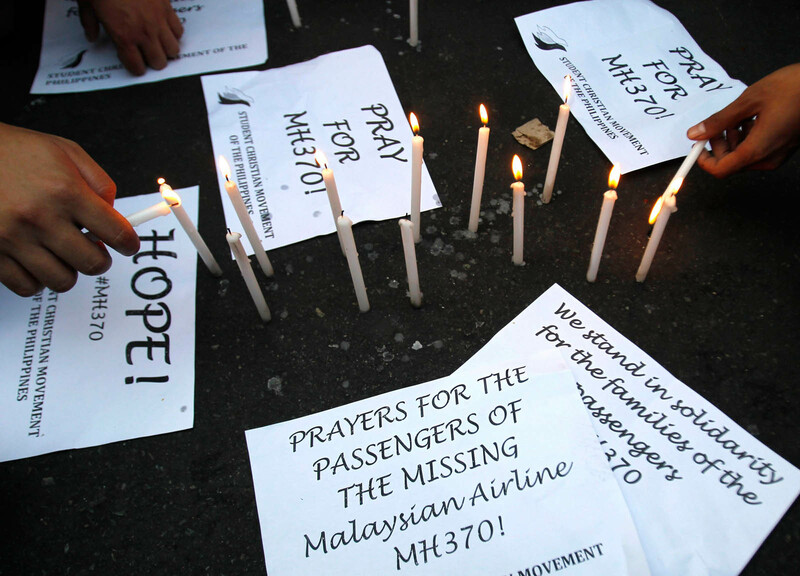 "No matter what, all we can do is wait, and hope for good news." 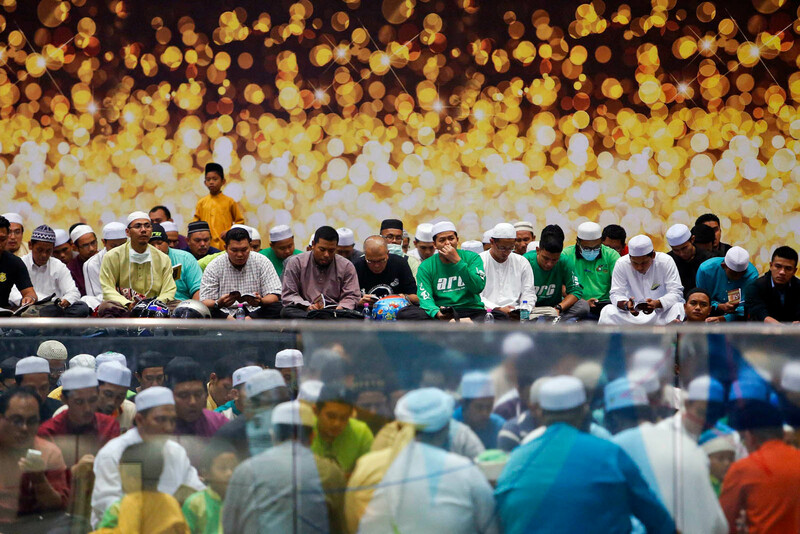 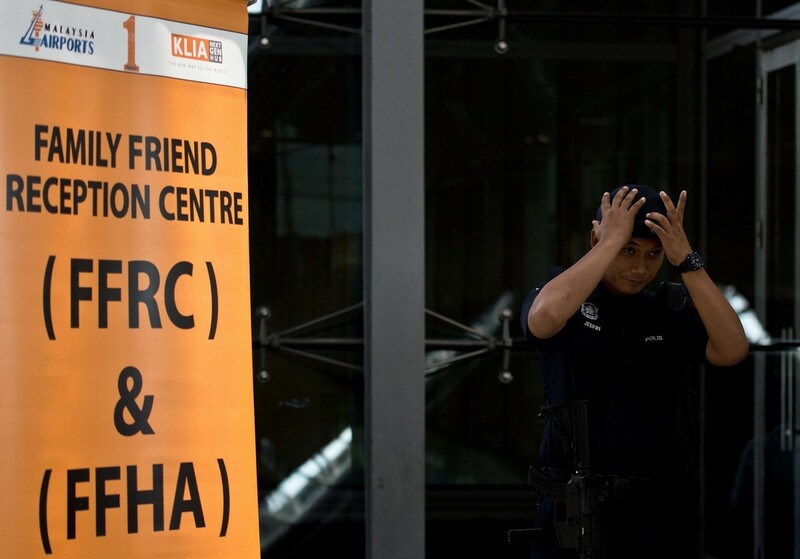 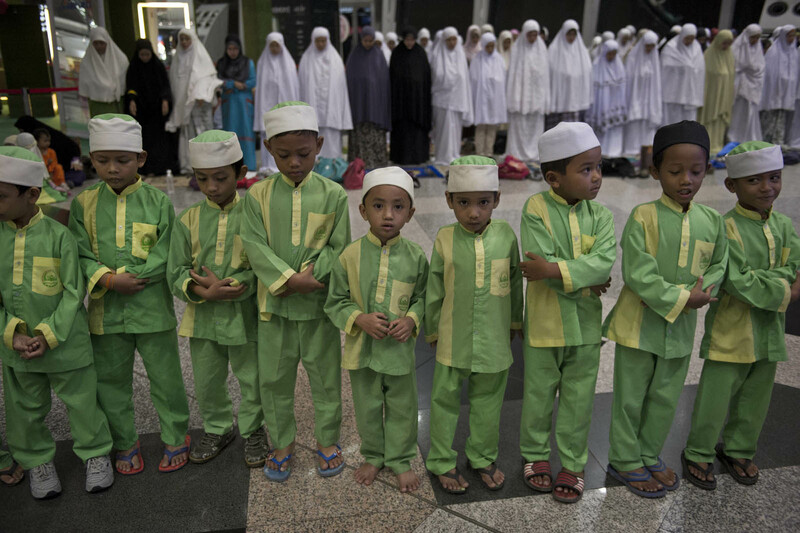 Meanwhile, the dozens of Malaysian families at the Everly Hotel in Putrajaya, not far from the KLIA, have been largely calm. 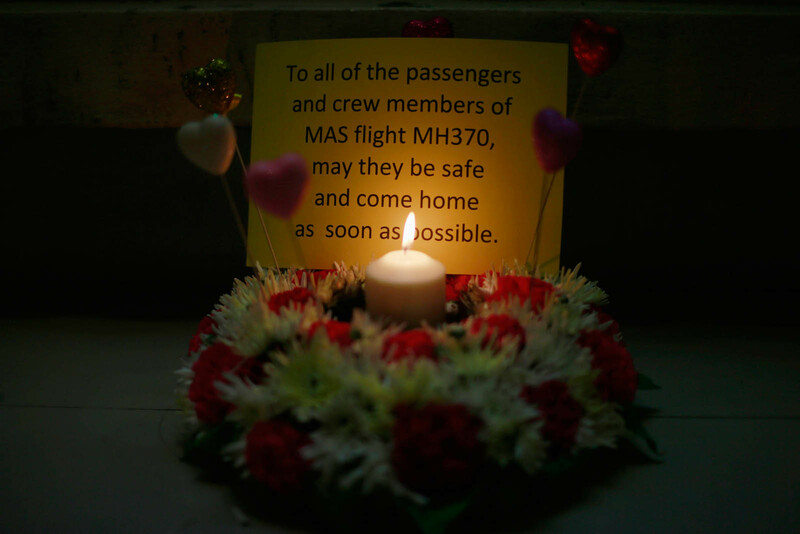 MAS has been releasing statements almost daily, focused on helping the families through their ordeal. 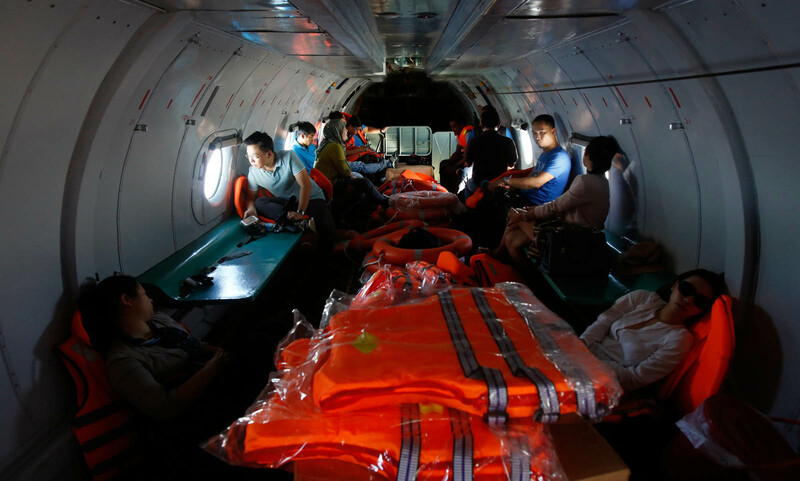 It has activated its Emergency Management Centre with volunteers drawn from among its employees to tend to family members. 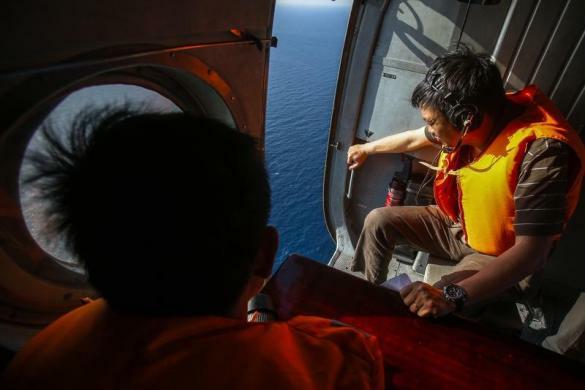 It has been providing information, accommodation, meals, medical care and emotional support since Saturday, but it has not disclosed how much financial support it has given. 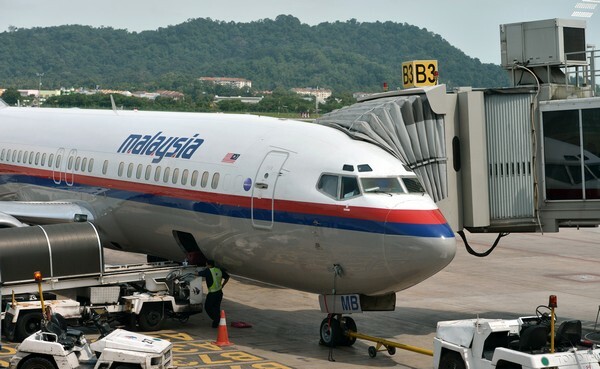 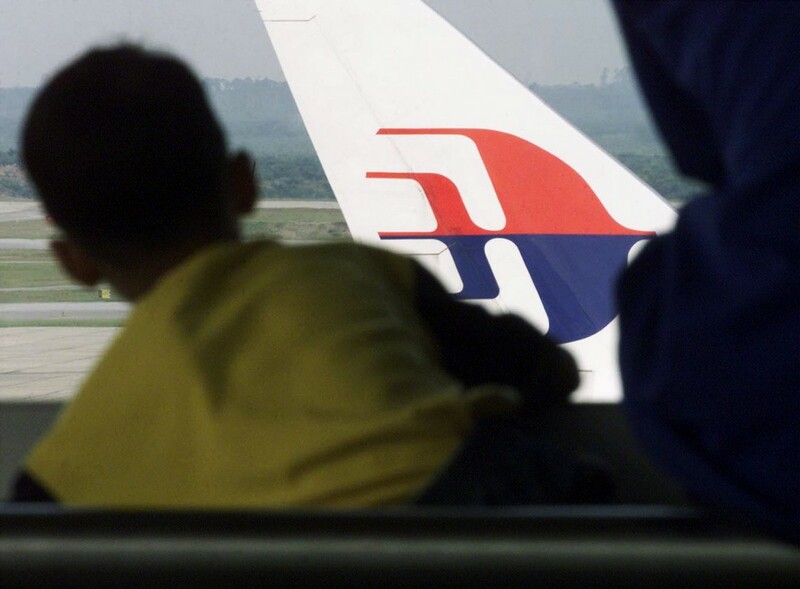 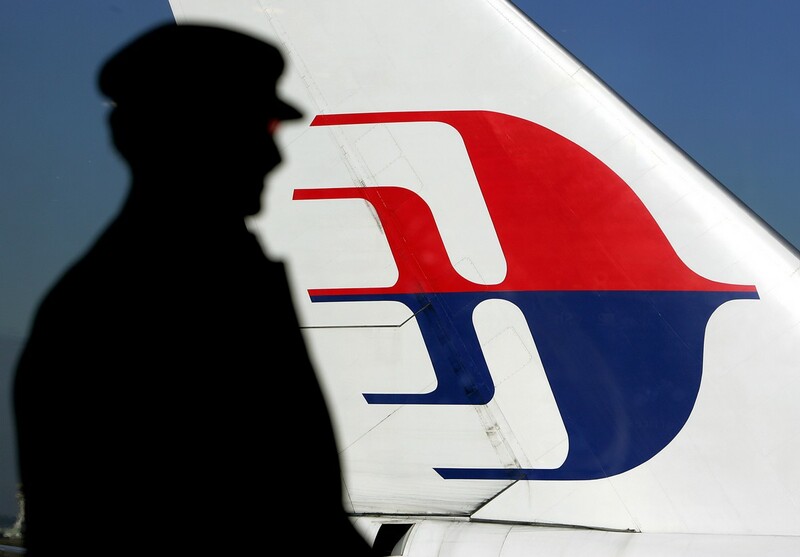 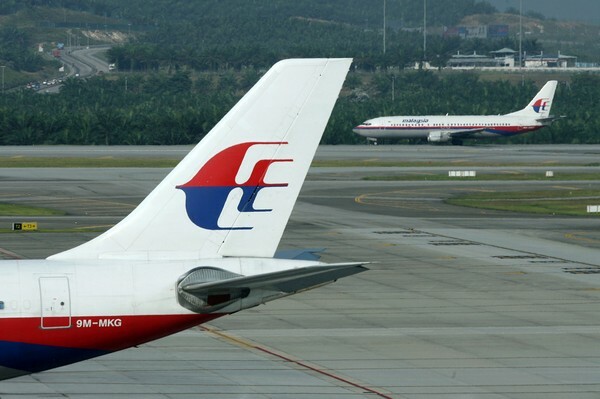 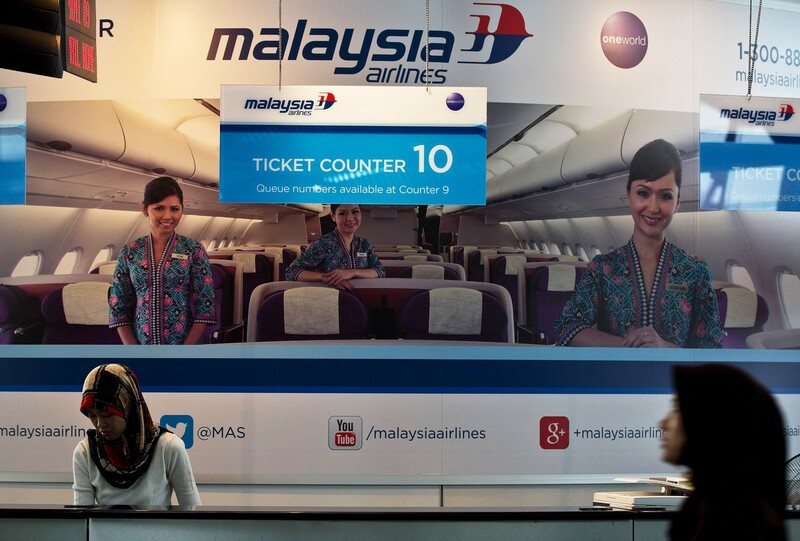 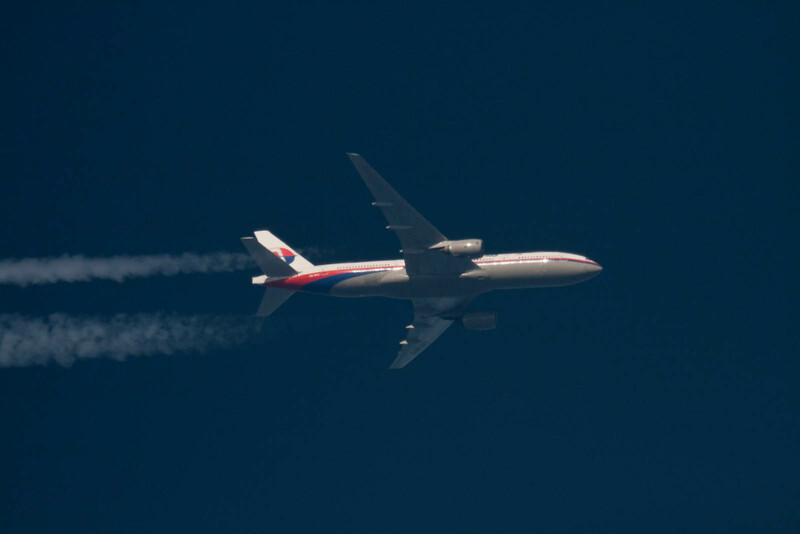 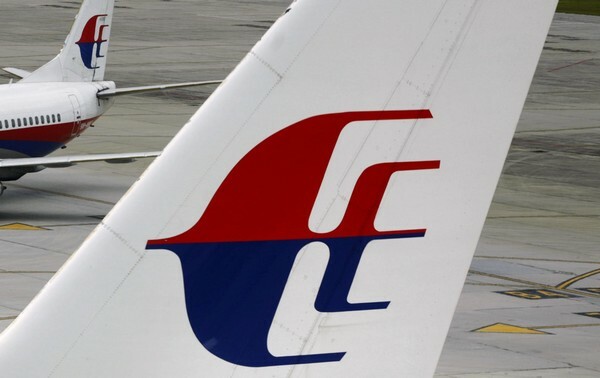 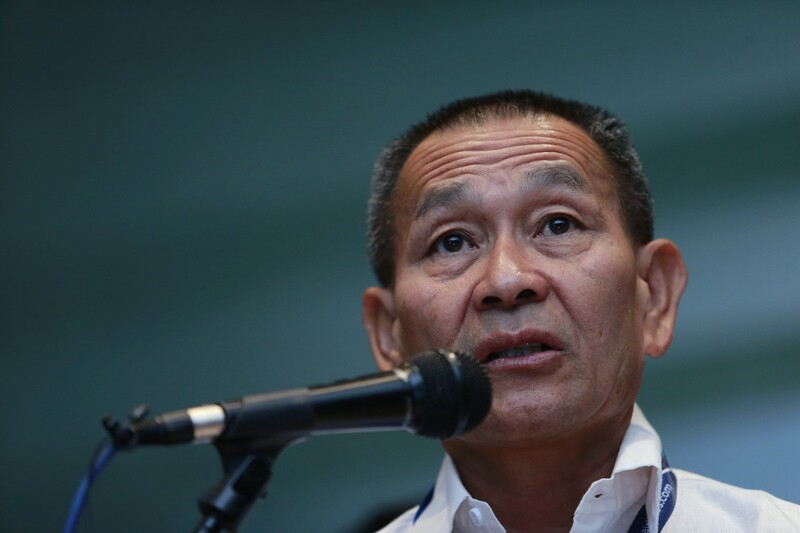 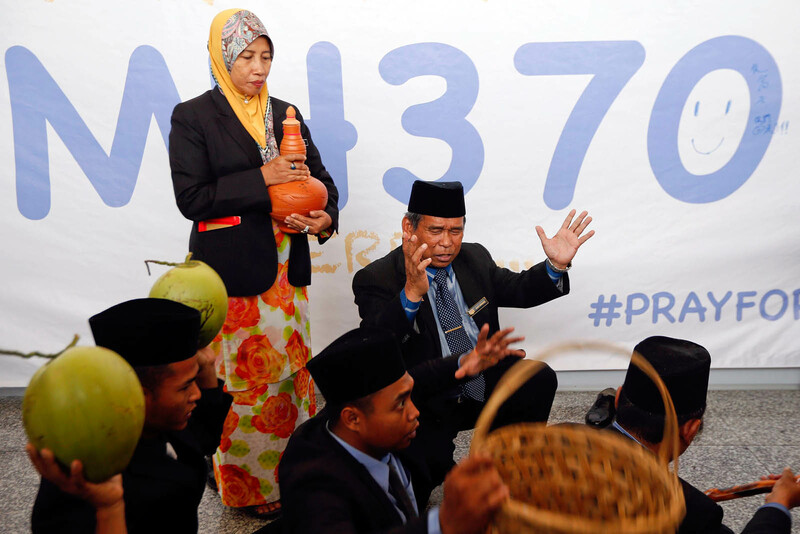 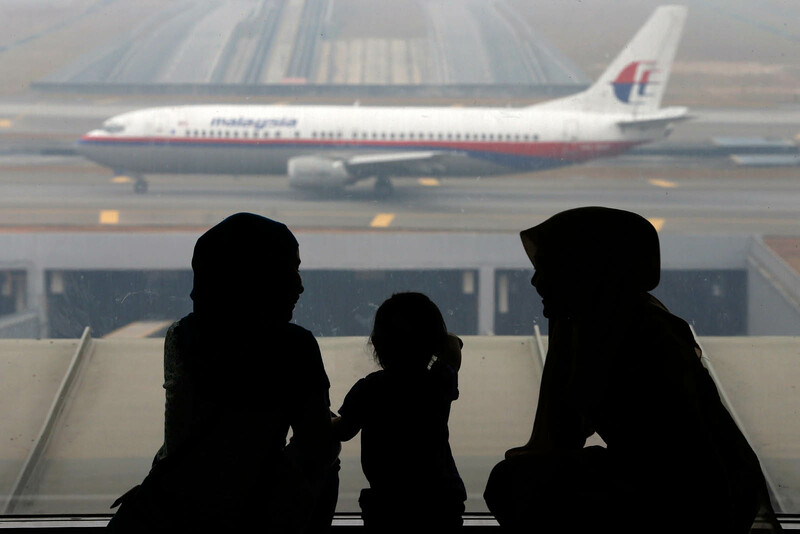 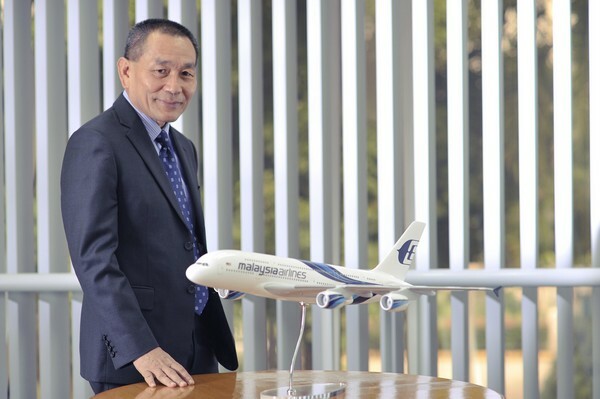 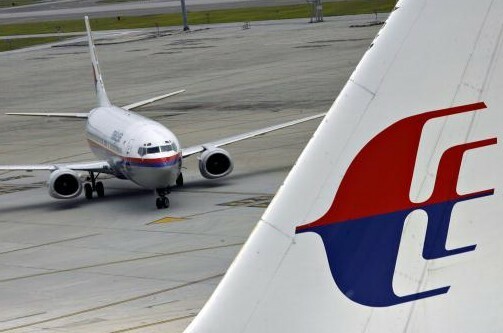 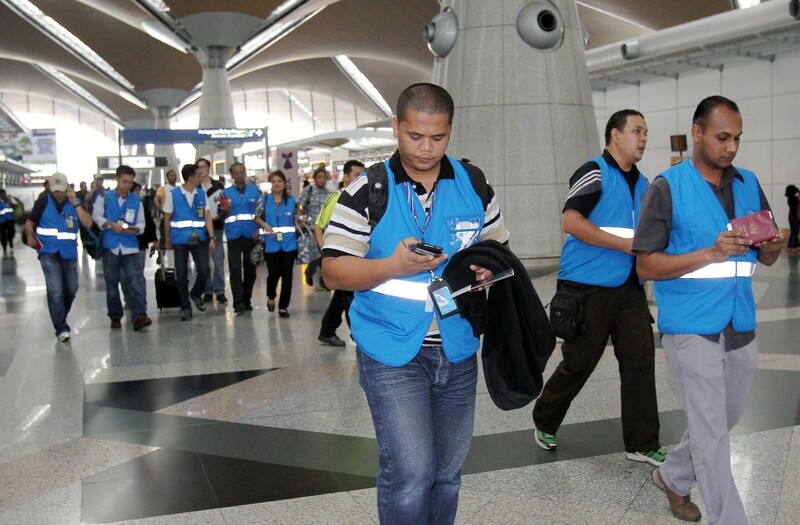 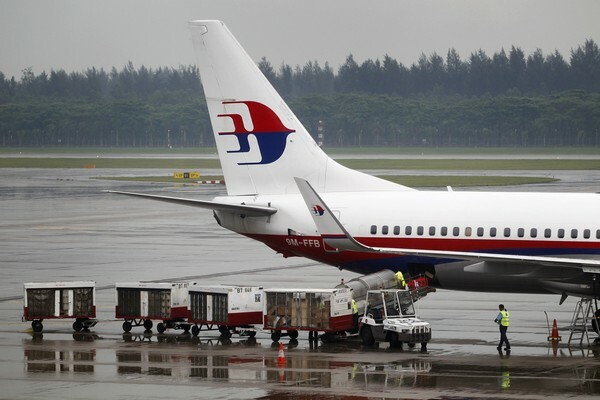 "An equal amount of initial financial assistance is being given to all families of passengers and crew over and above their basic needs," said MAS chief executive officer Ahmad Jauhari Yahya in a statement on Wednesday.